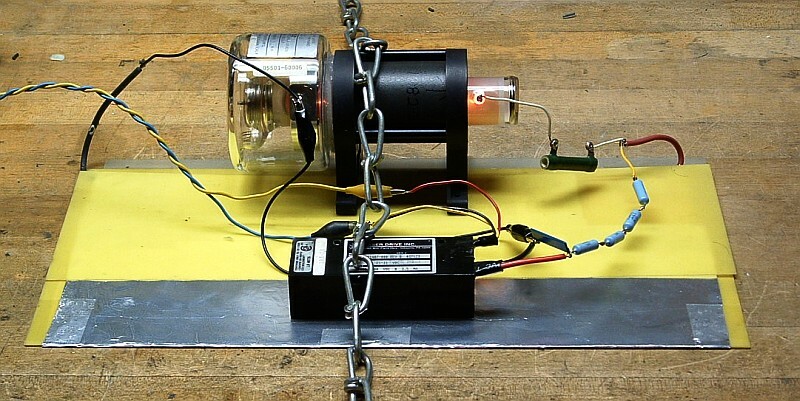 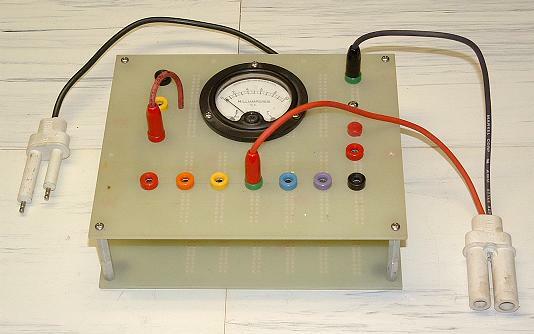 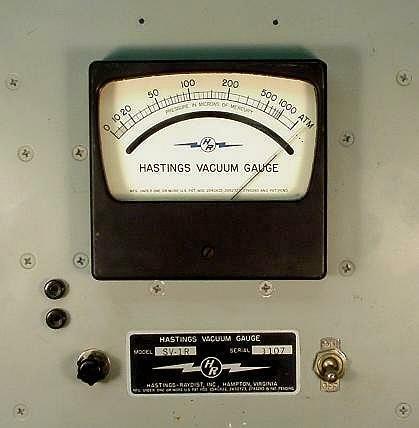 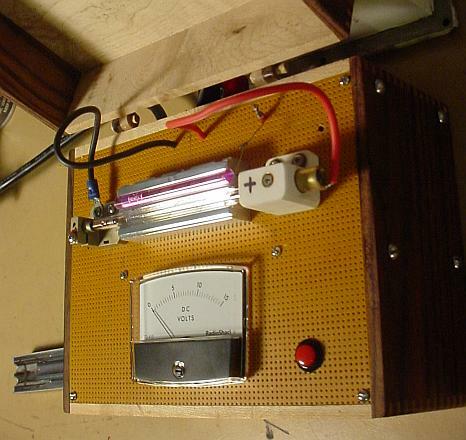 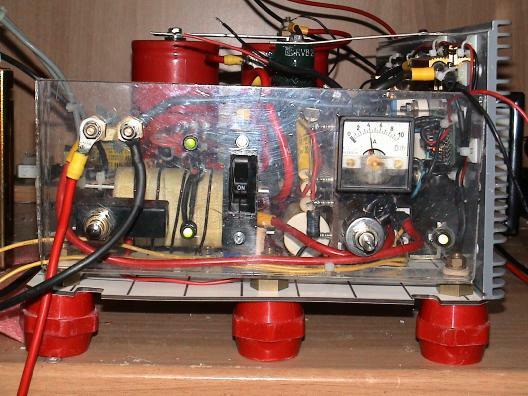 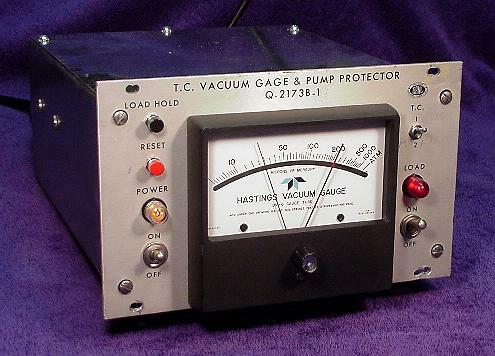 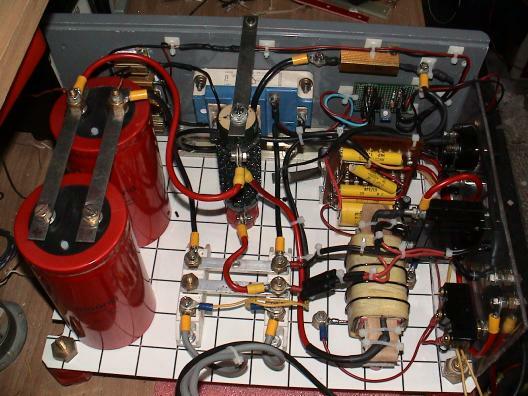 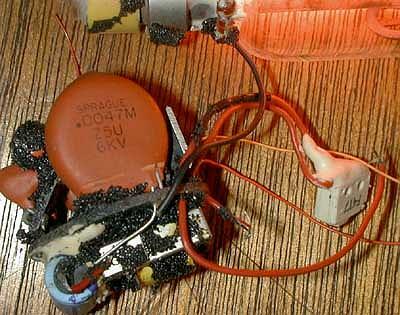 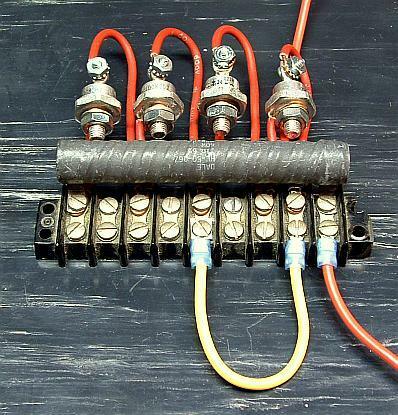 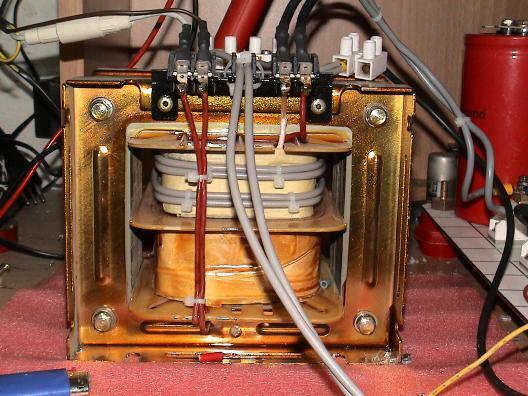 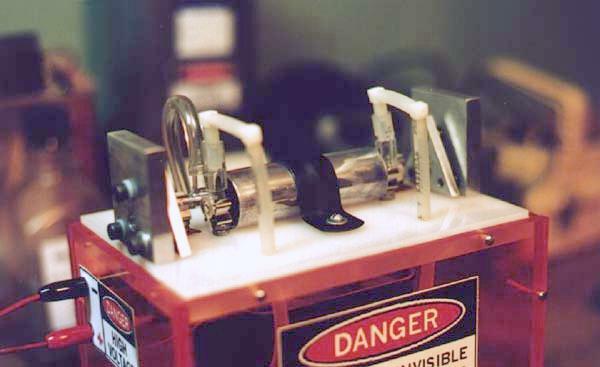 High Voltage Danger Label - 35 J Maximum at 1,000 VDC (hv35e1.gif). 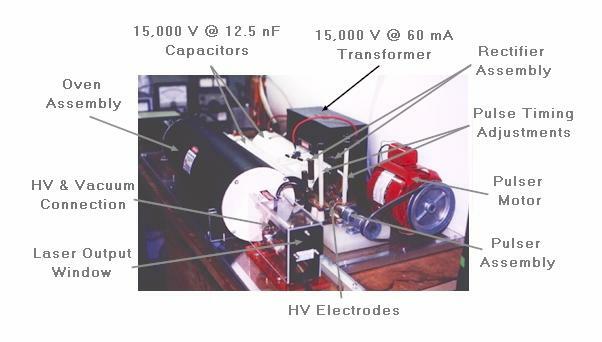 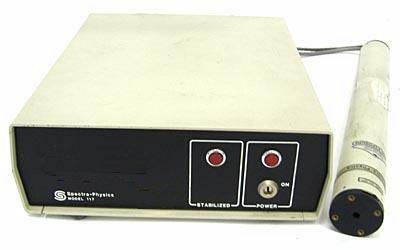 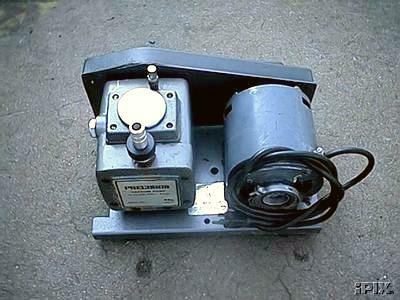 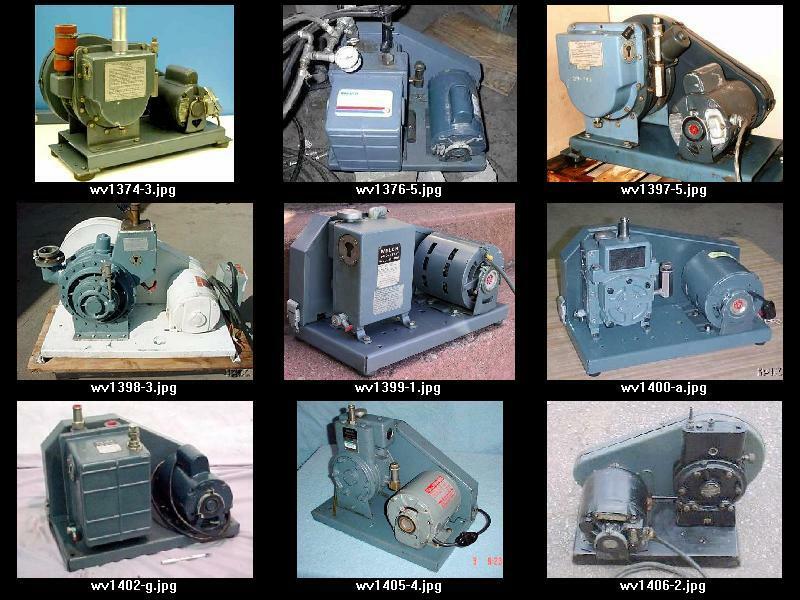 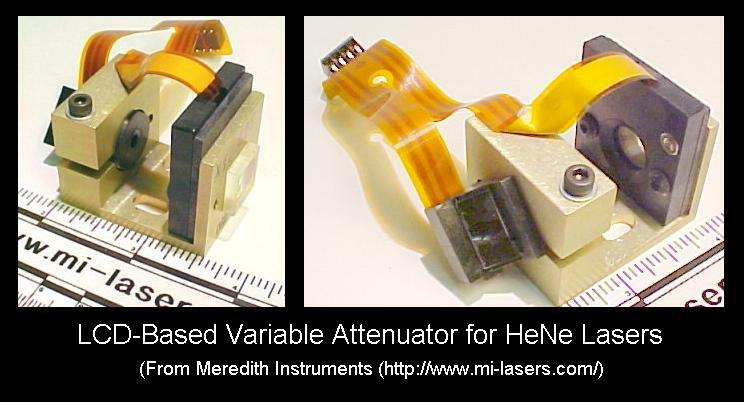 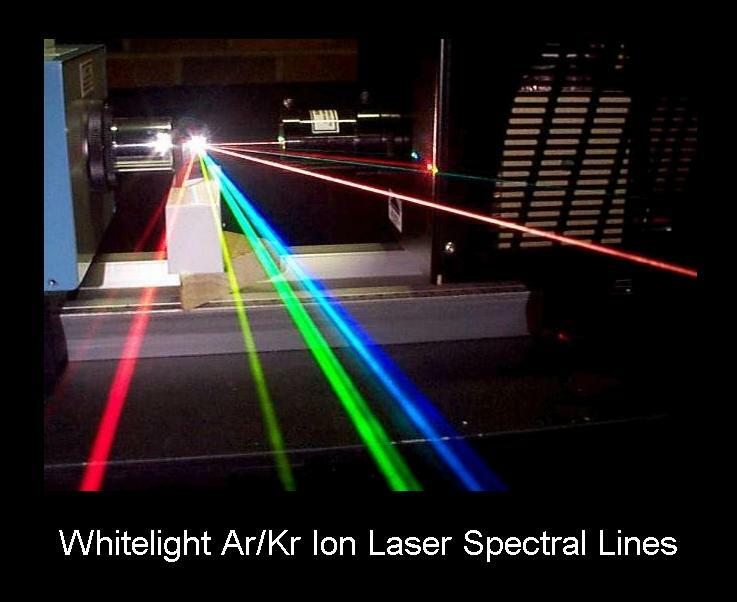 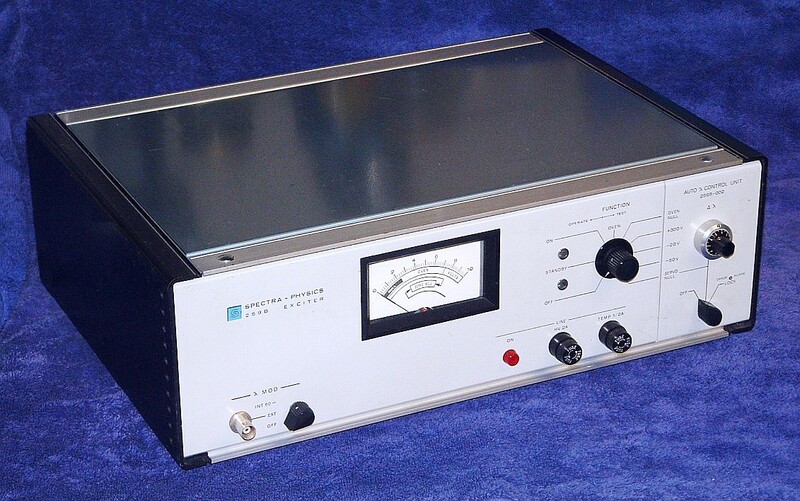 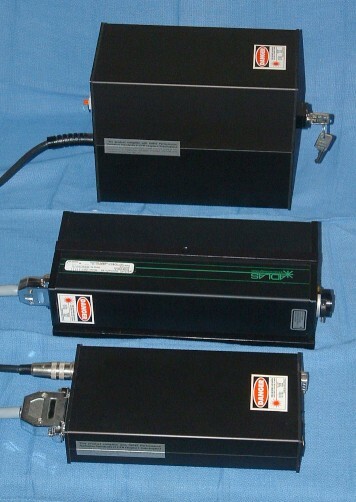 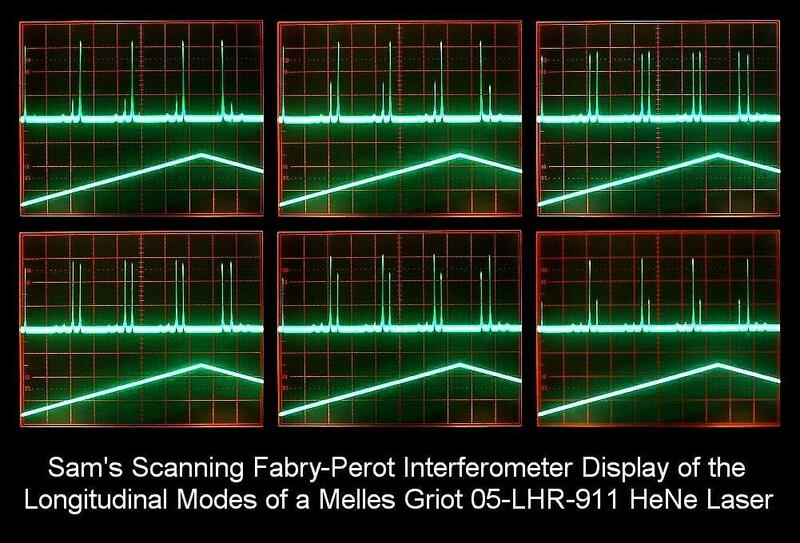 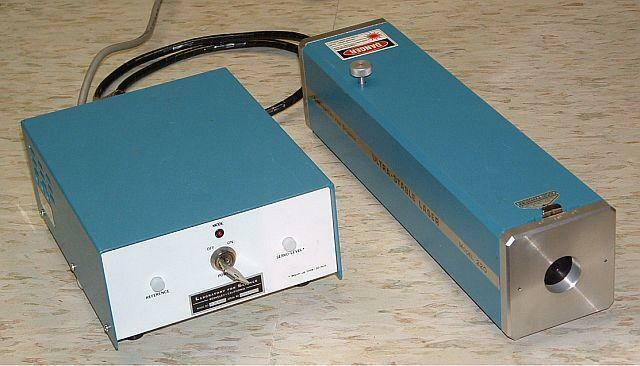 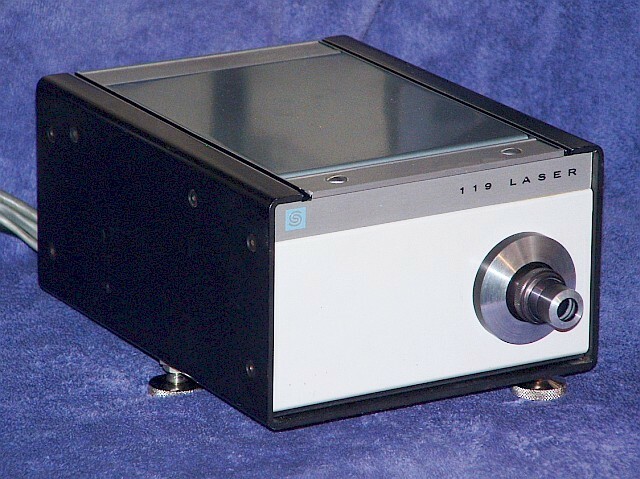 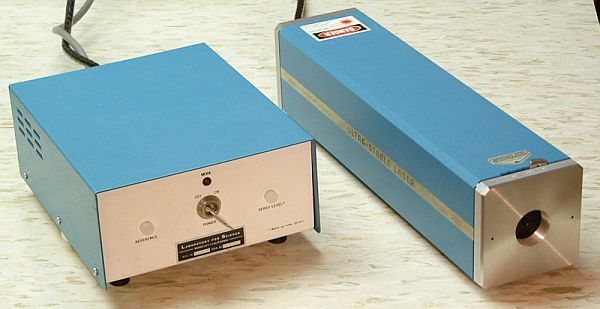 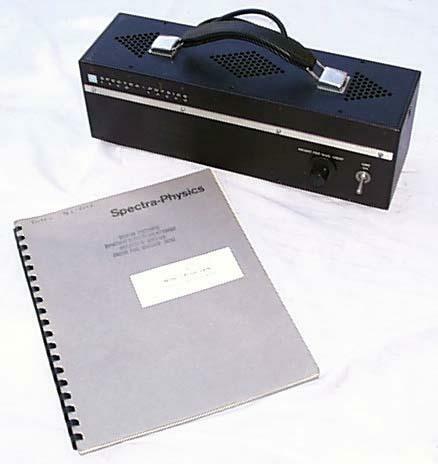 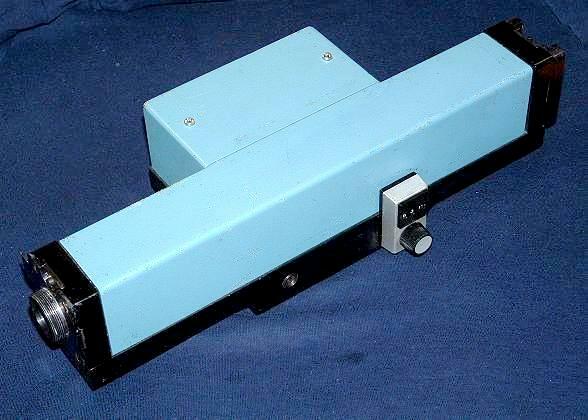 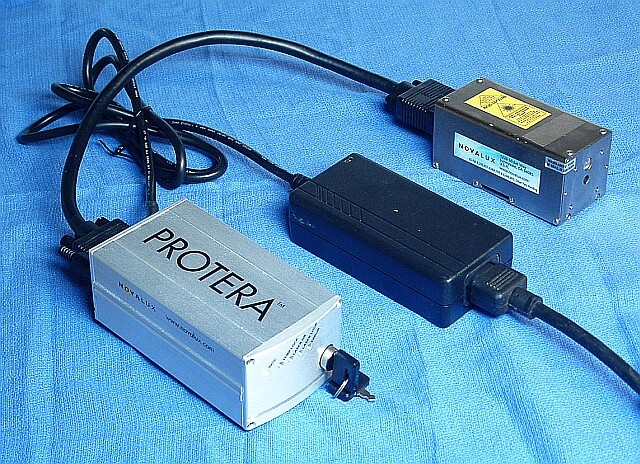 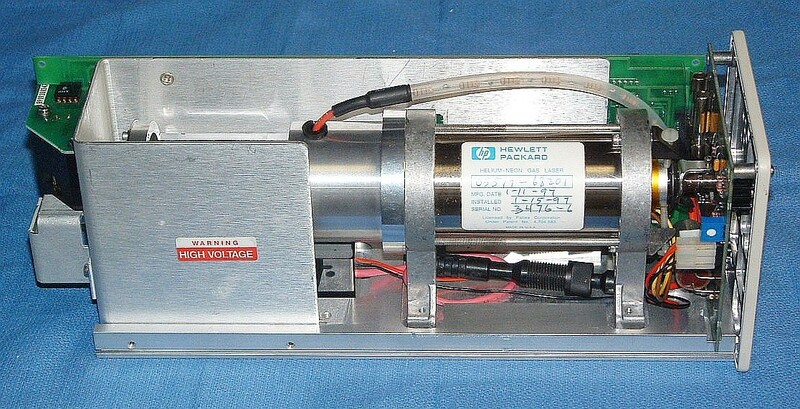 Types of Hewlett Packard/Agilent Interferometers (hpintrf1.gif). 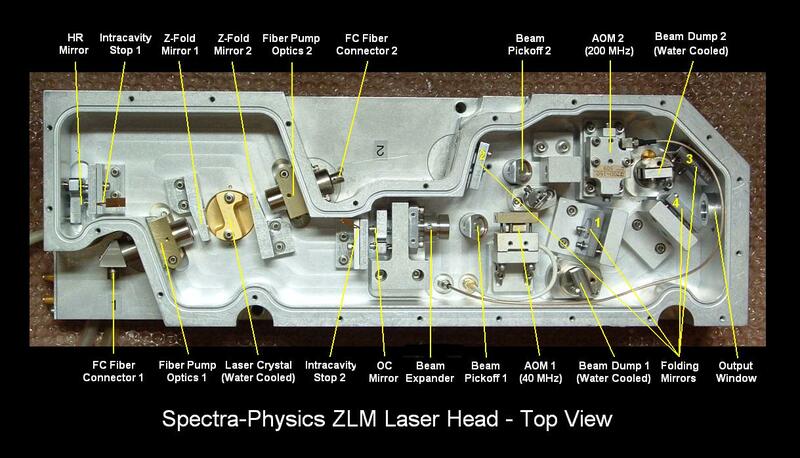 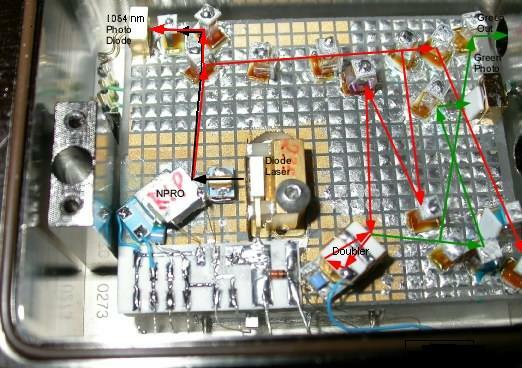 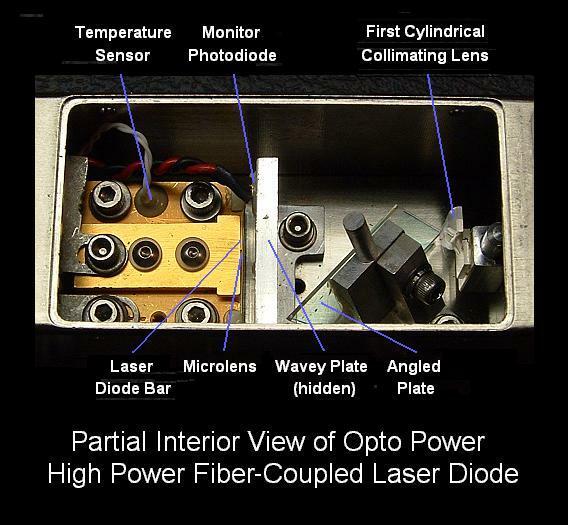 Diagram of Test Setup for HP/Agilent Laser Optical Frequency Comparison (tiltst3.gif). 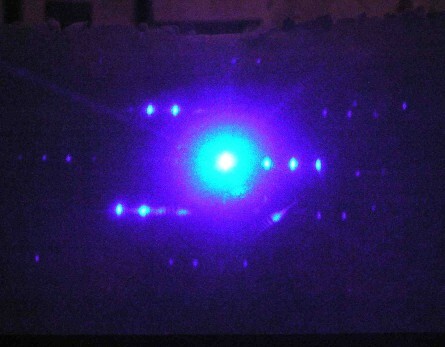 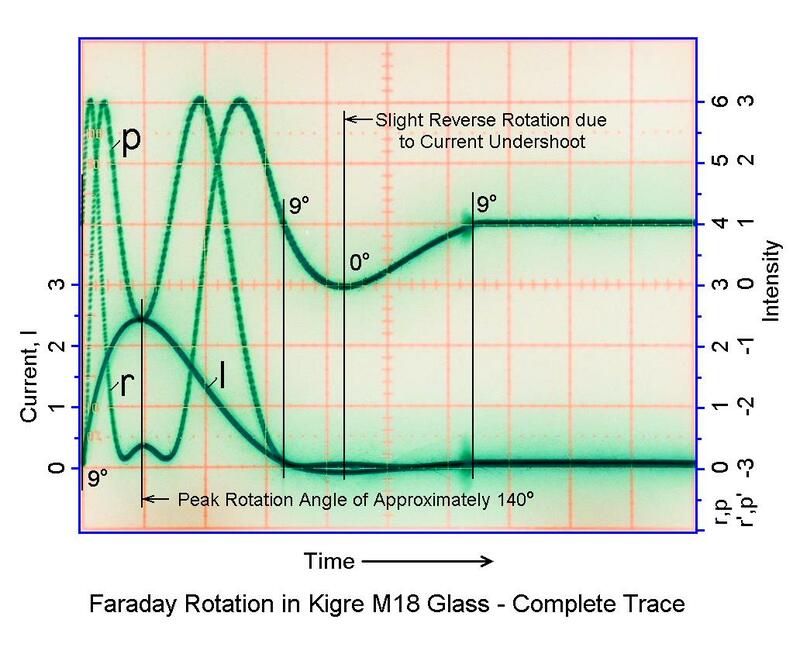 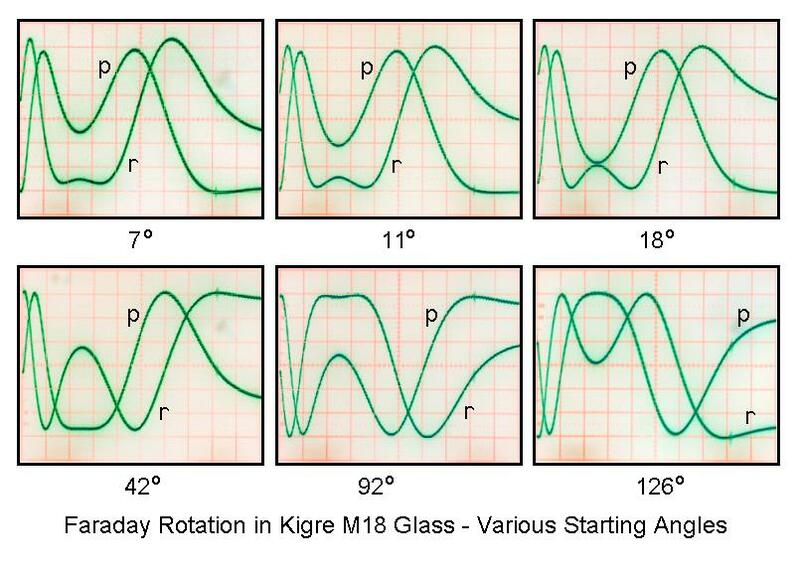 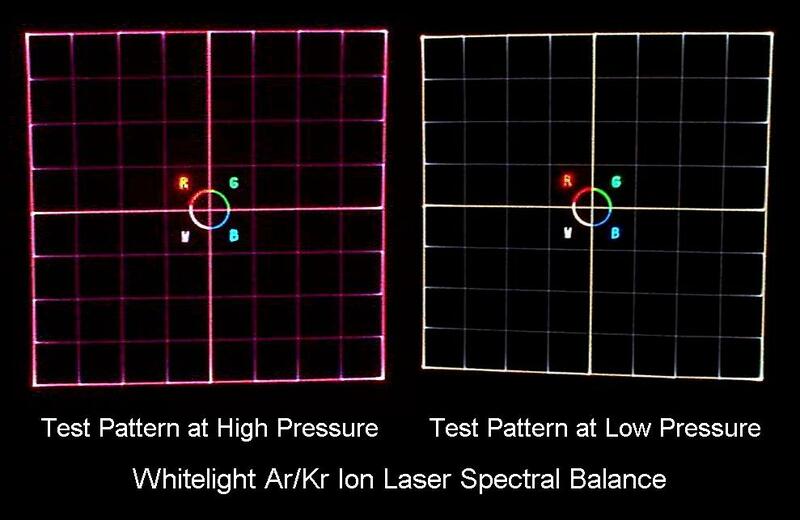 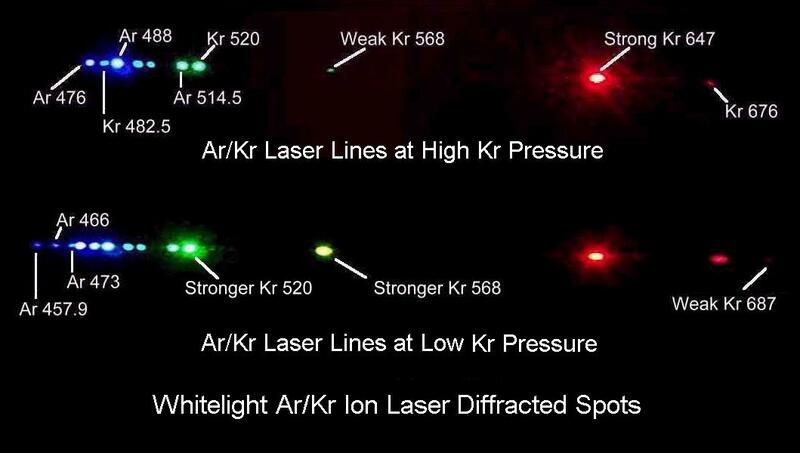 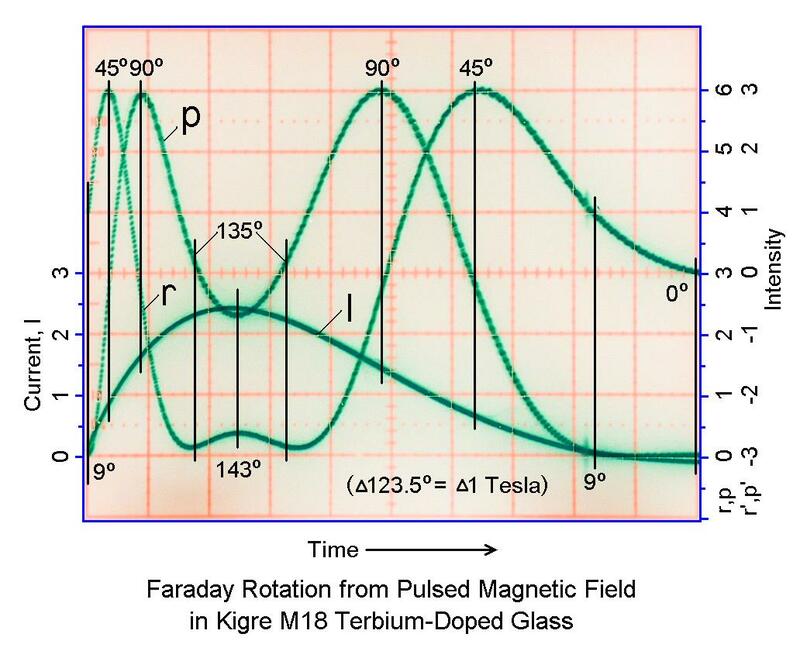 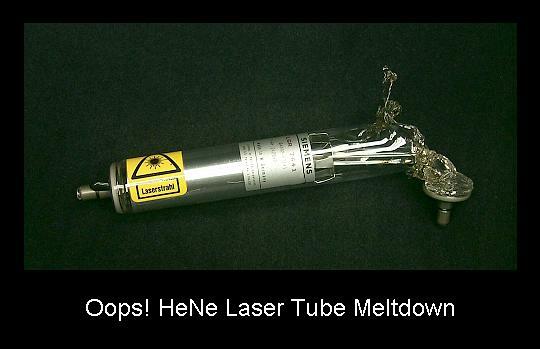 Longitudinal Modes of Typical Random Polarized 20 mW HeNe Laser (henemd20.gif). 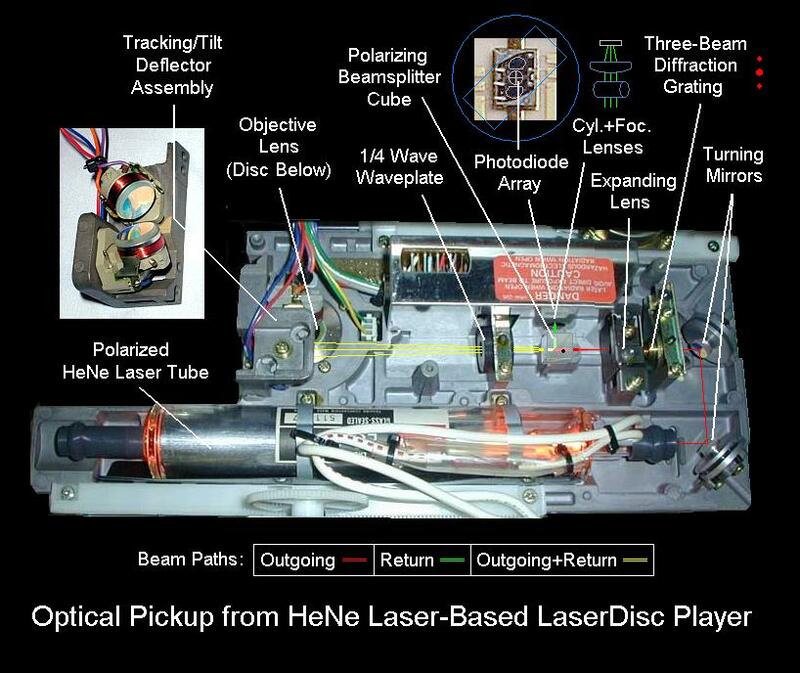 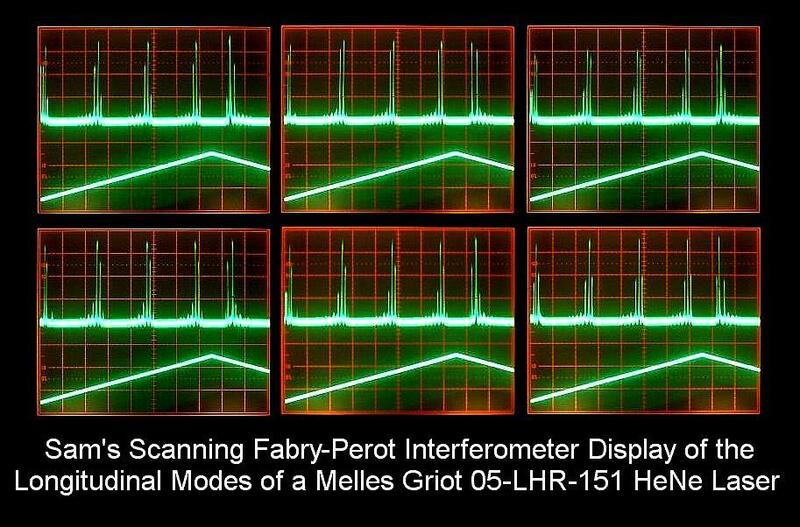 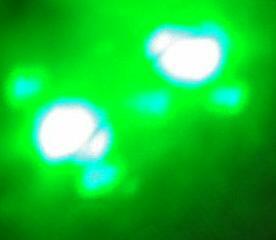 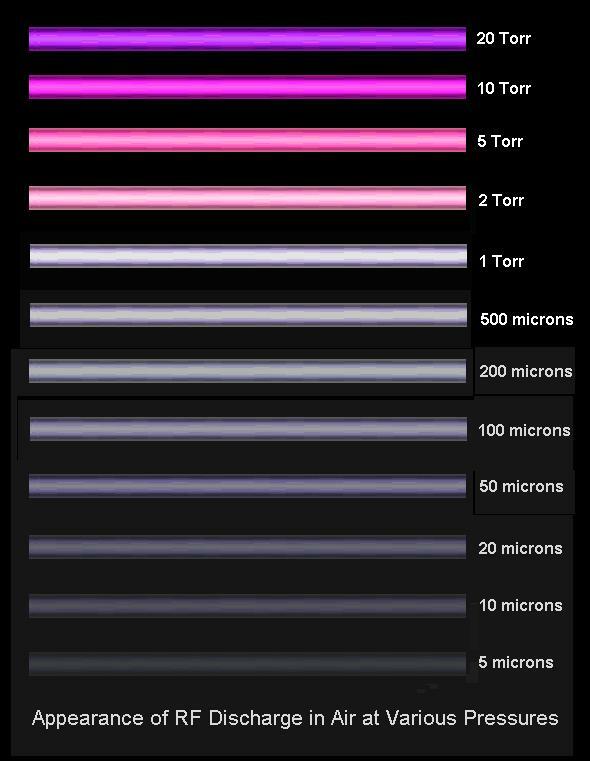 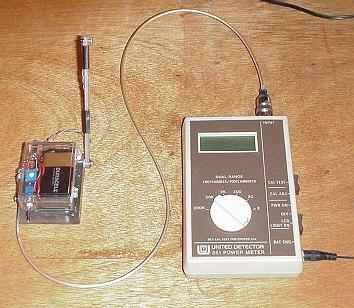 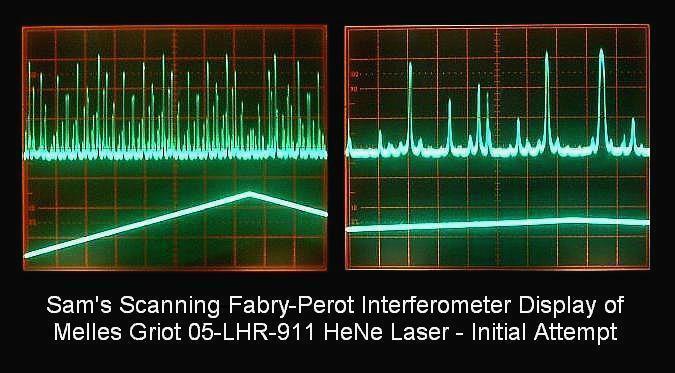 HeNe Laser Mode Sweep (henems1.ppt). 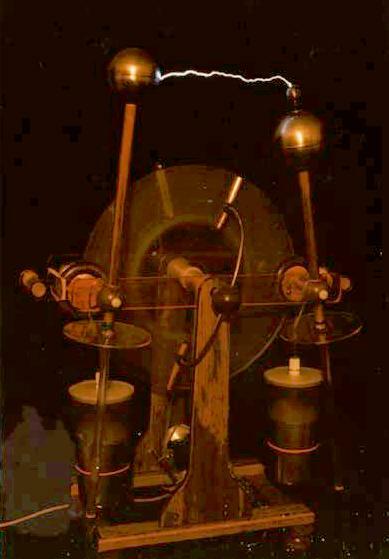 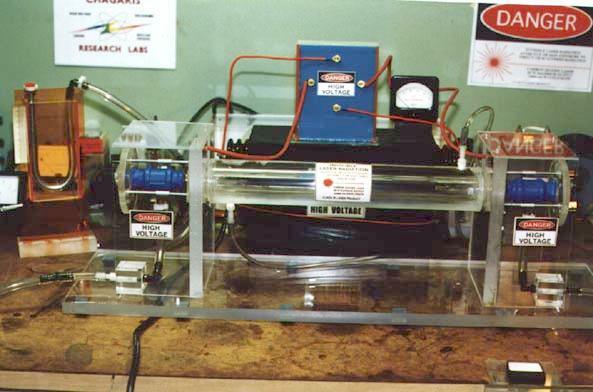 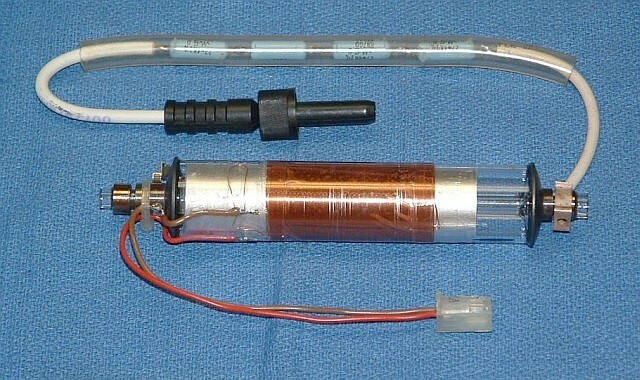 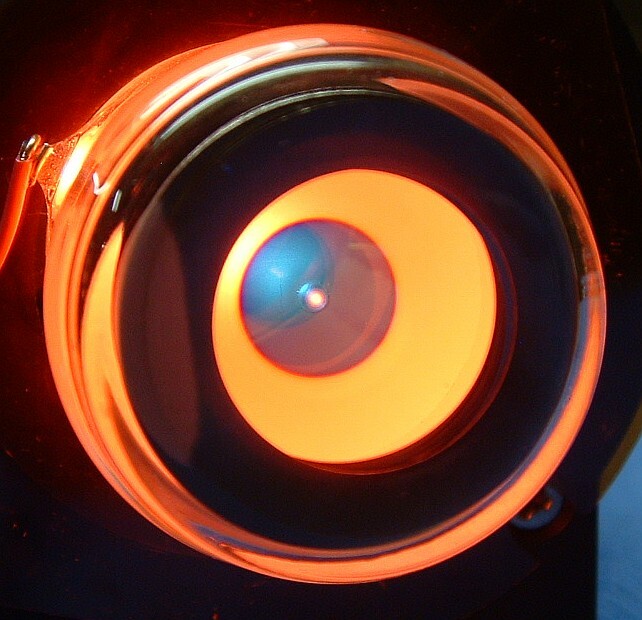 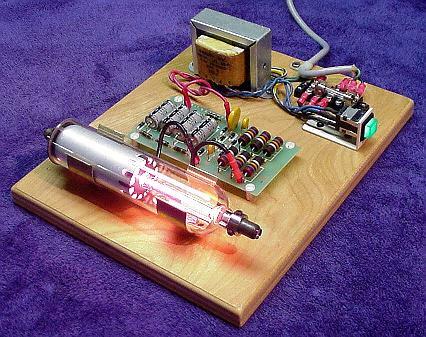 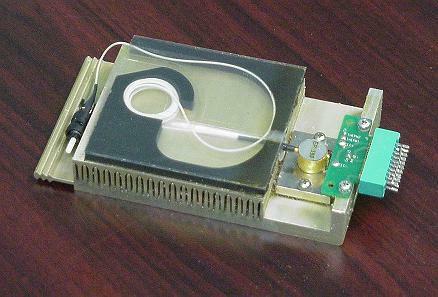 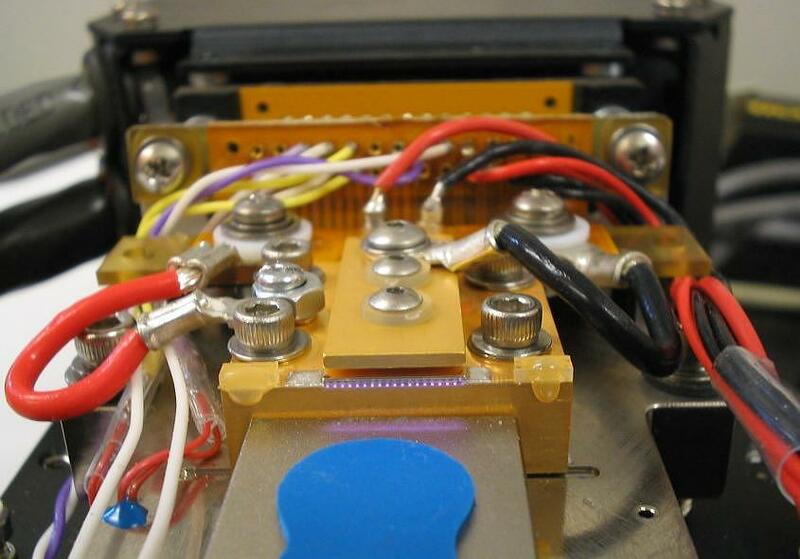 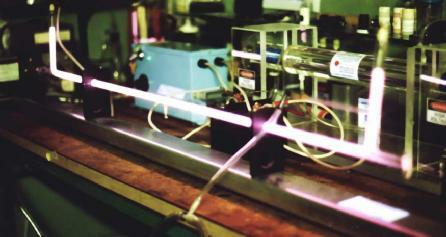 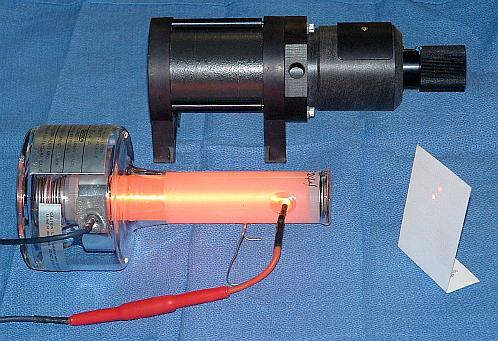 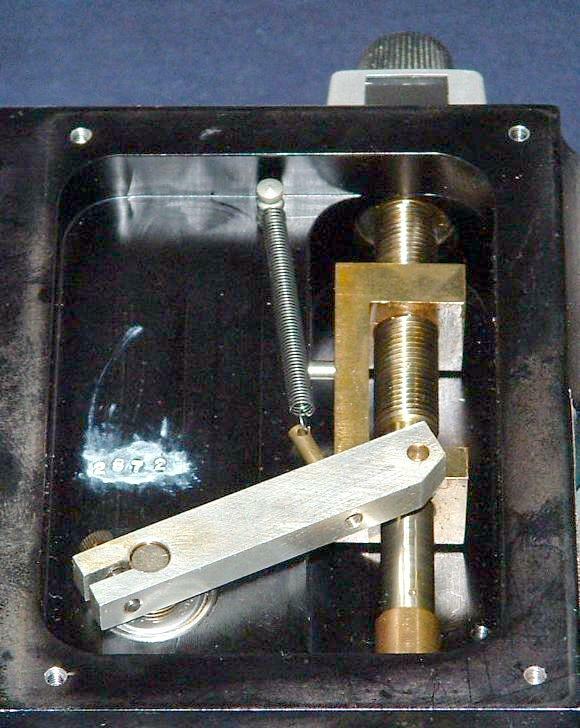 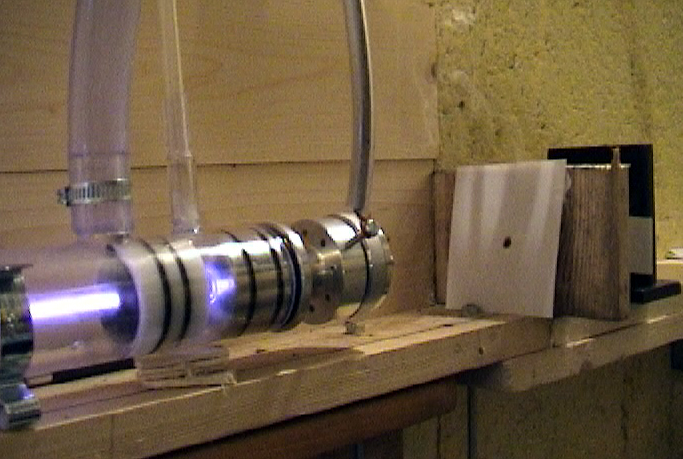 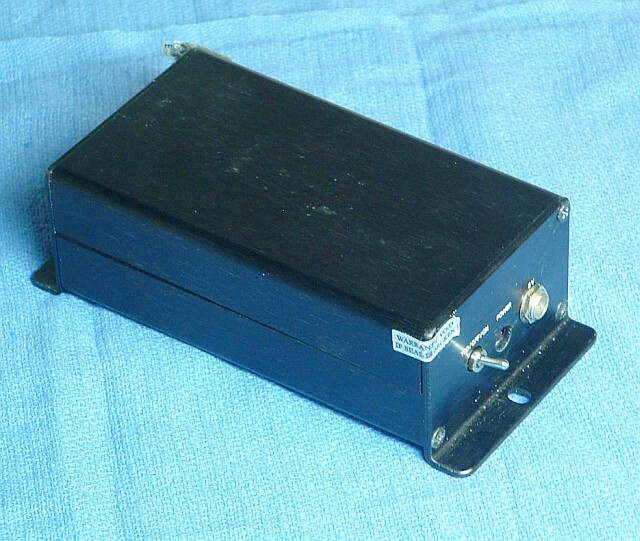 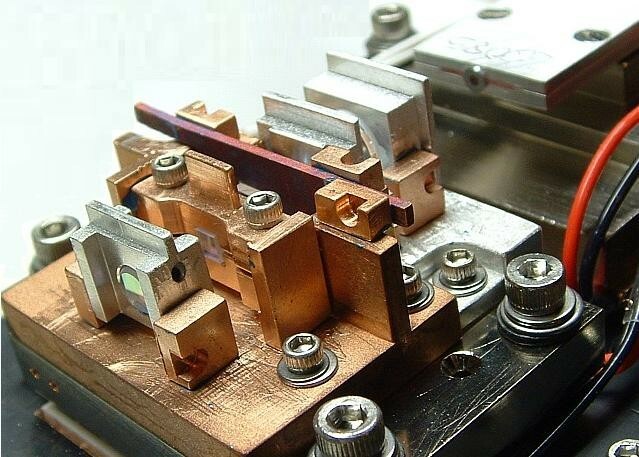 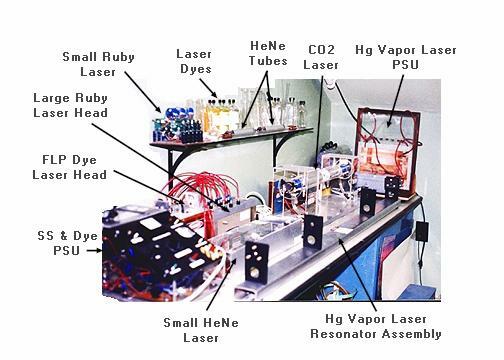 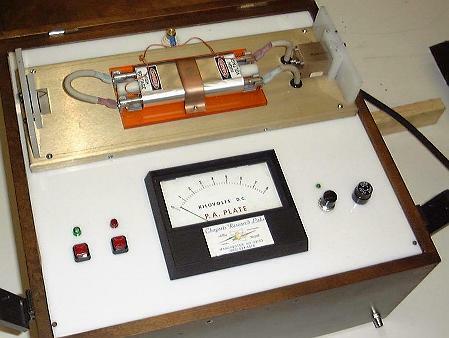 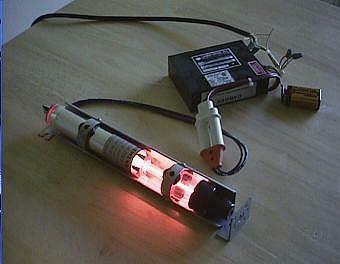 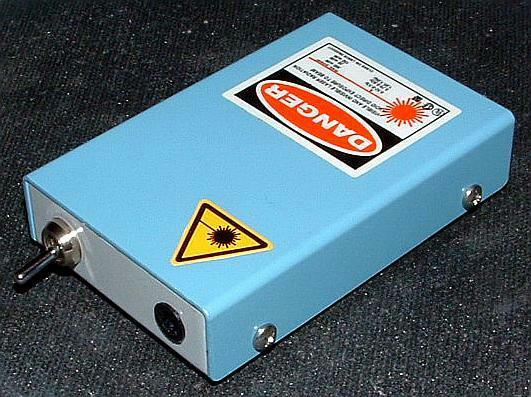 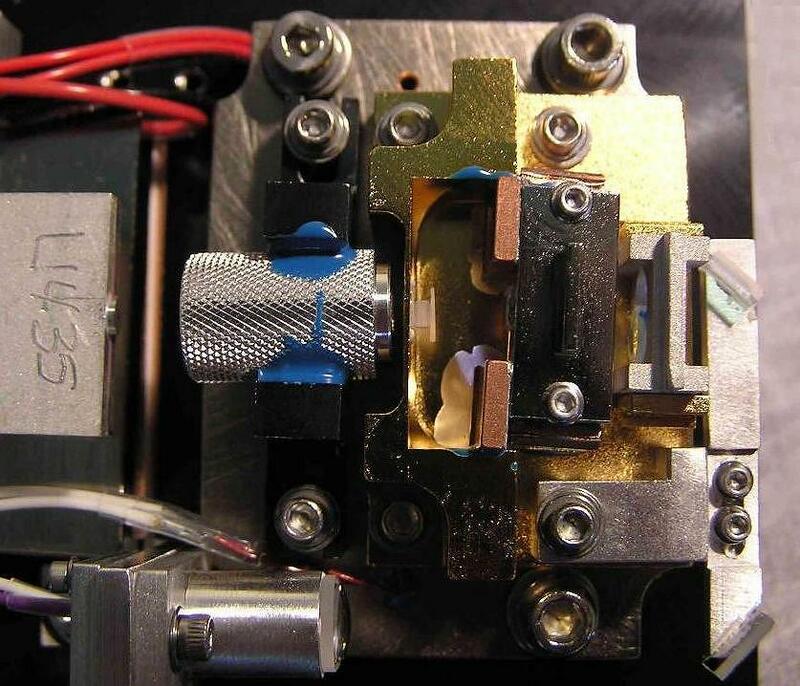 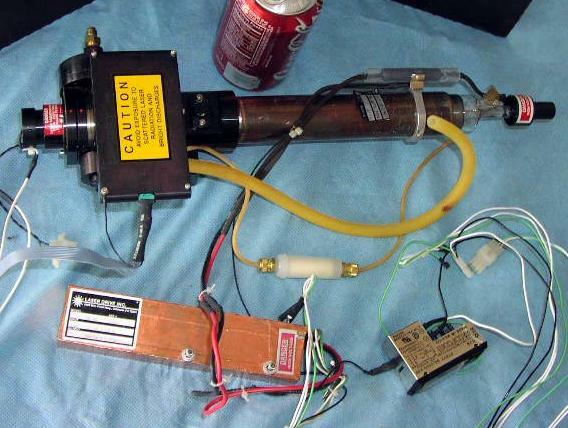 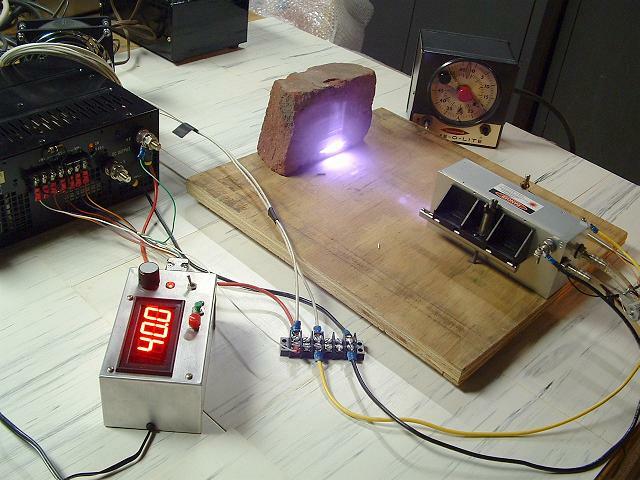 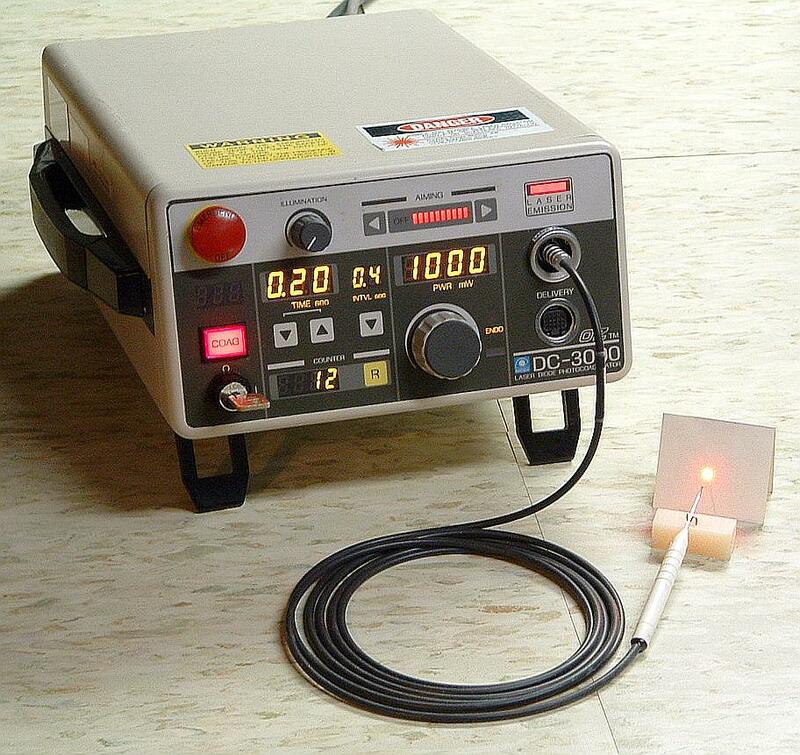 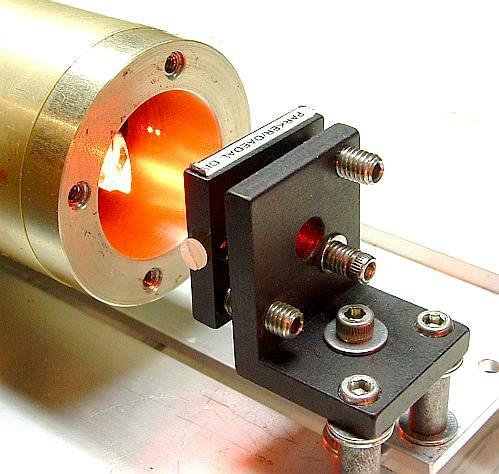 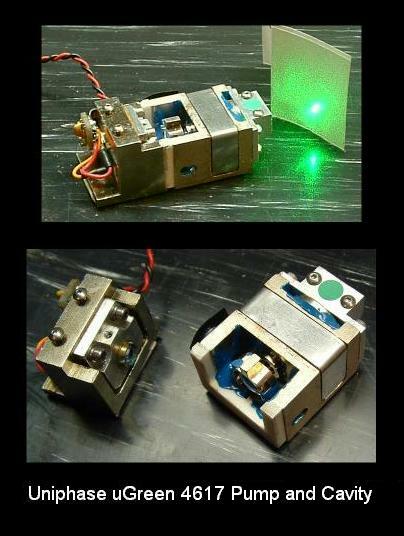 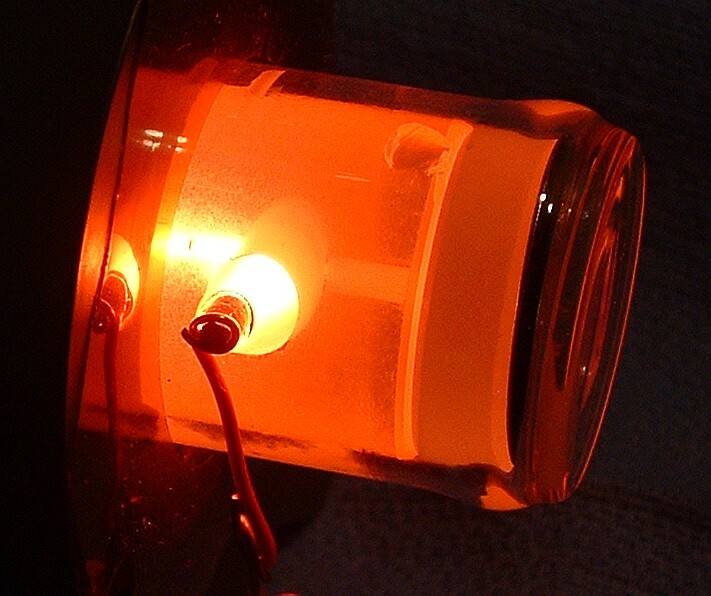 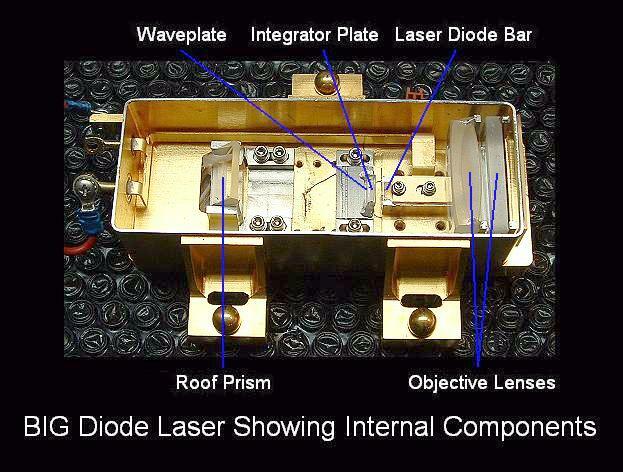 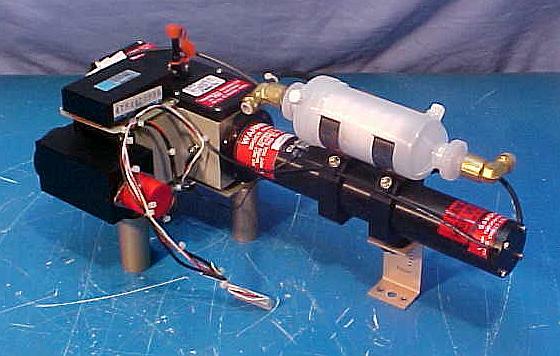 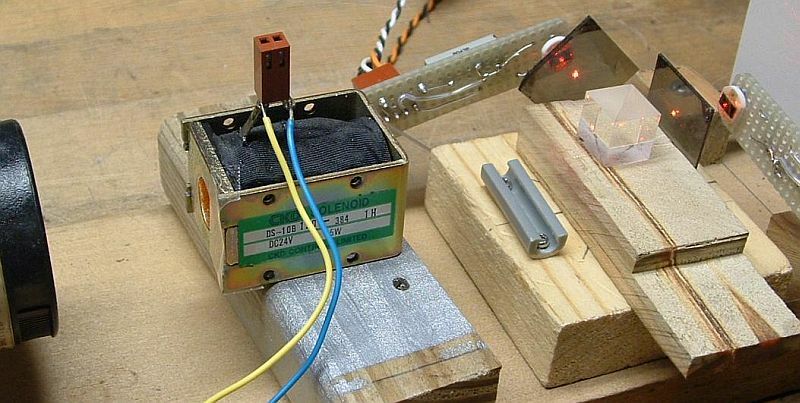 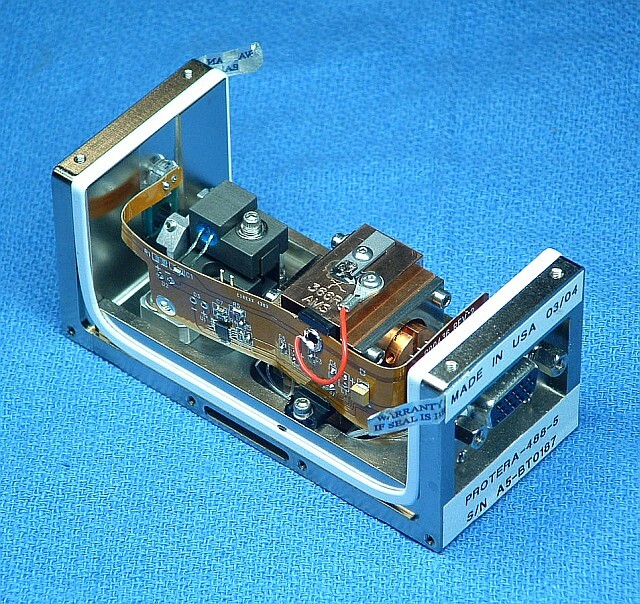 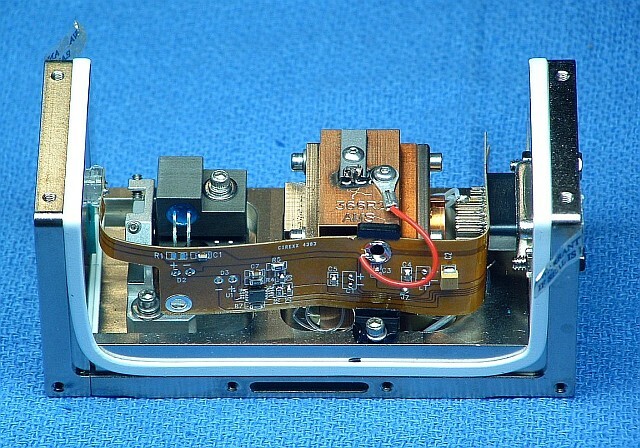 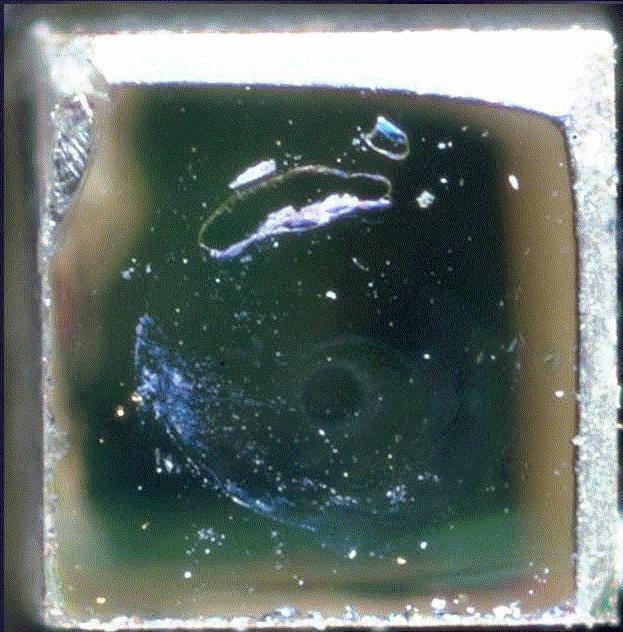 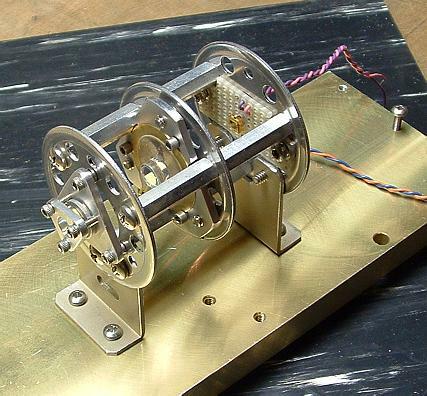 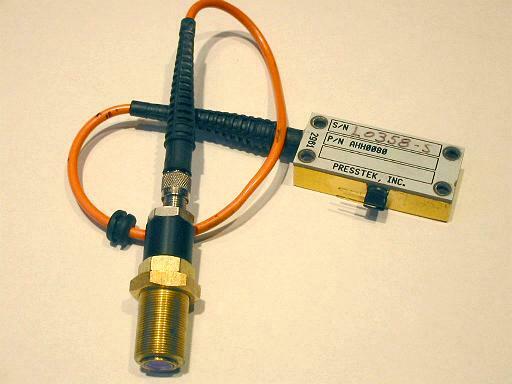 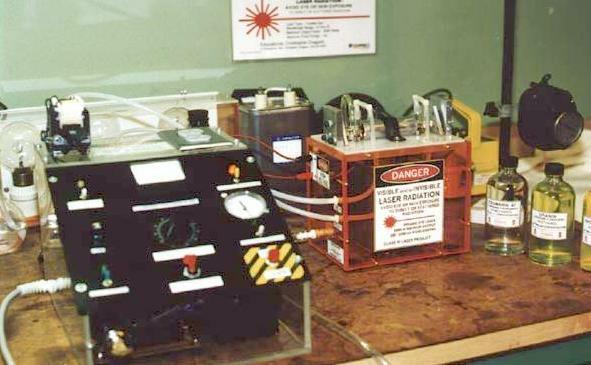 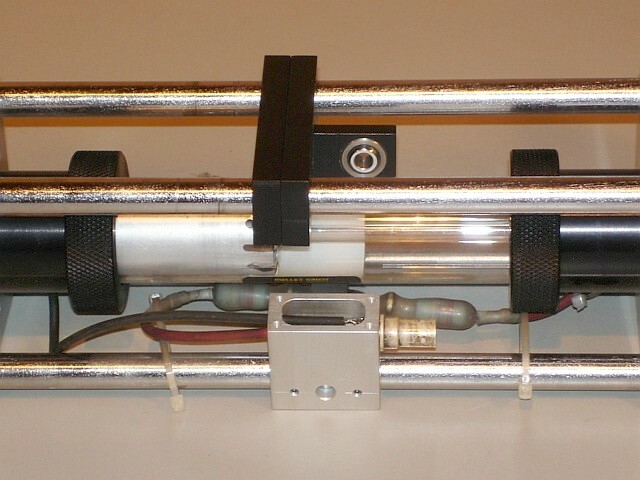 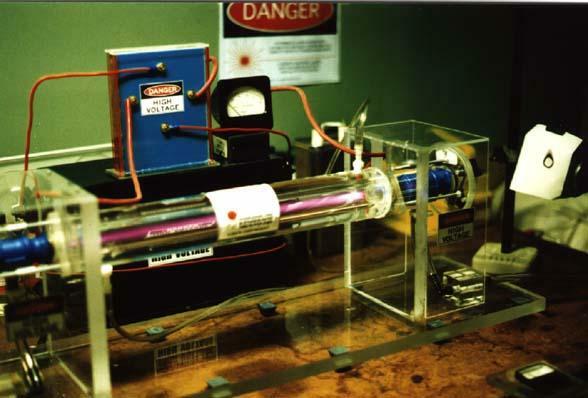 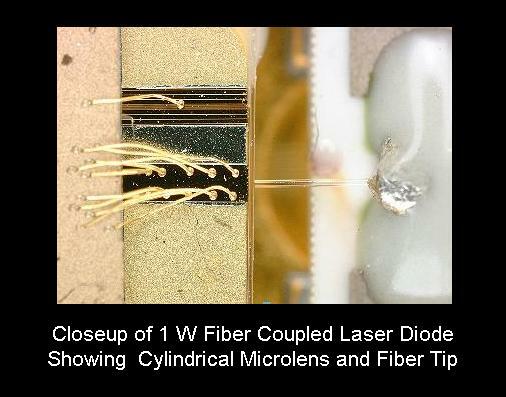 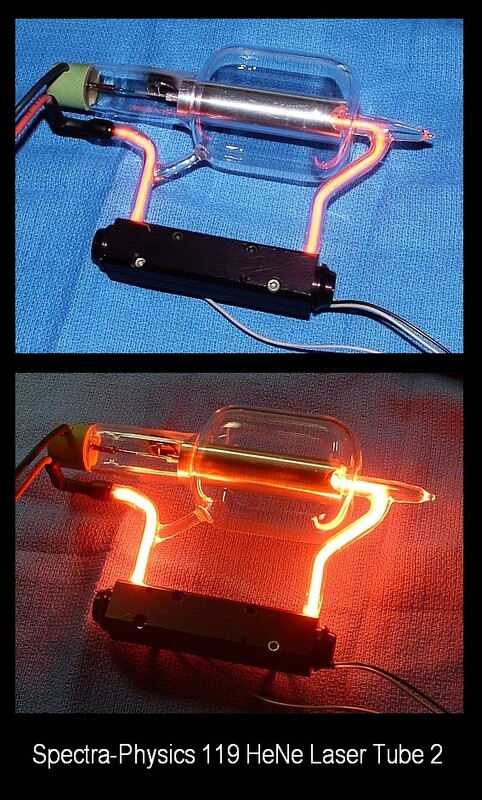 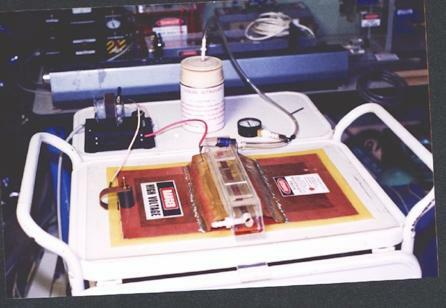 Iodine Stabilized HeNe Laser Resonator - Overall View. 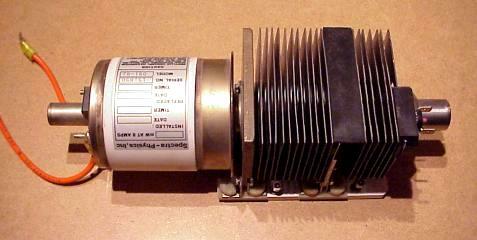 This is a rather massive metal structure about 18 inches long. 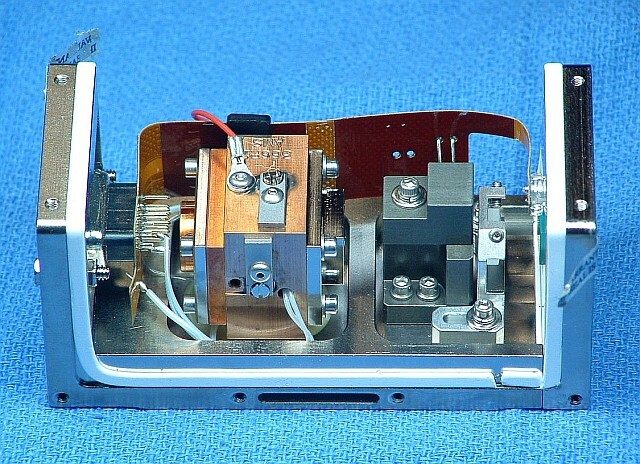 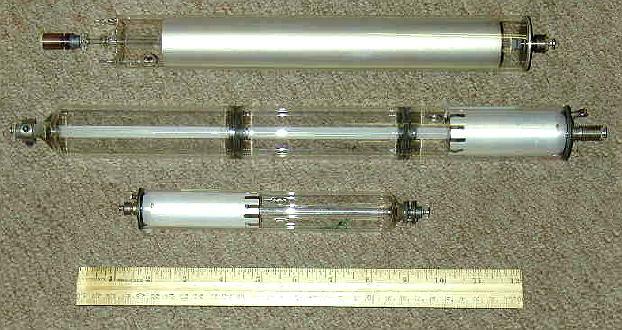 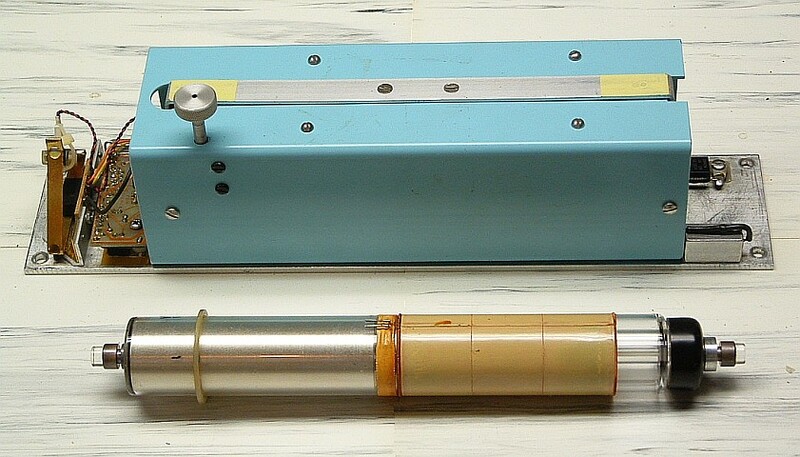 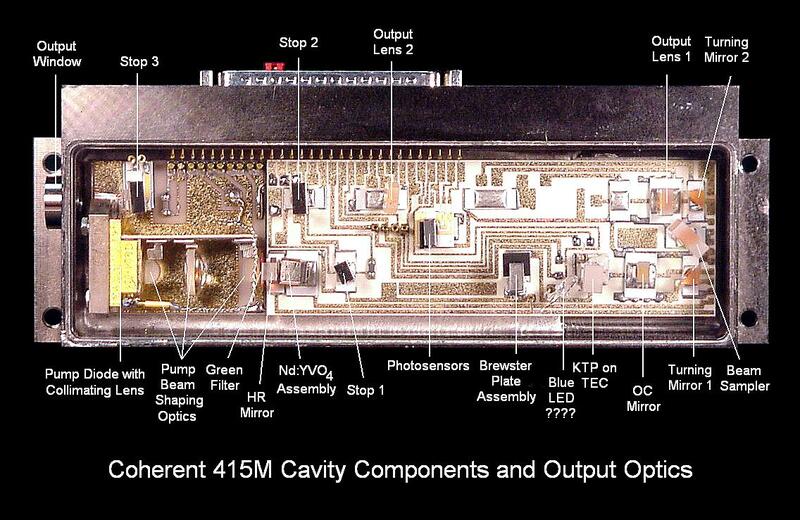 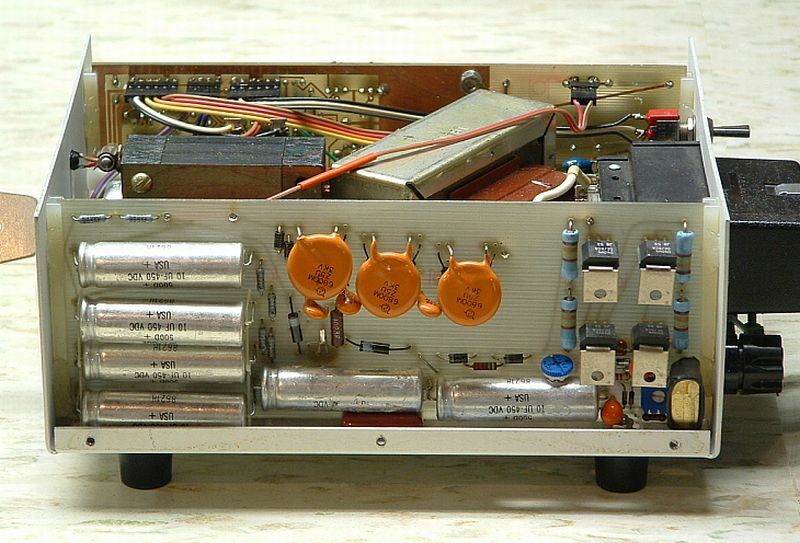 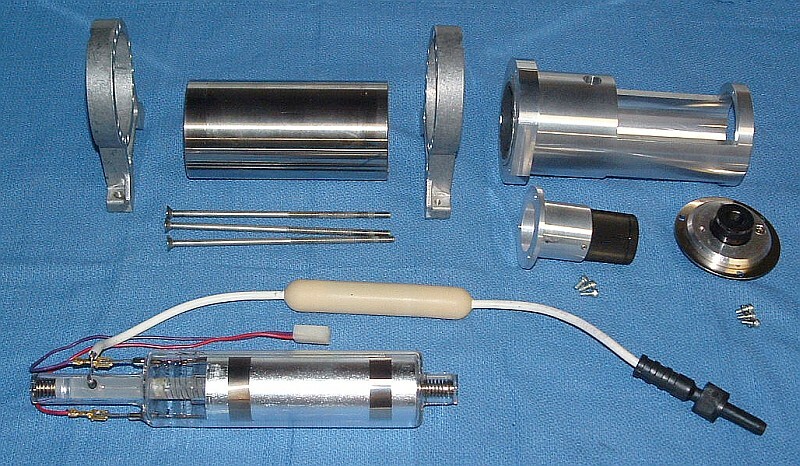 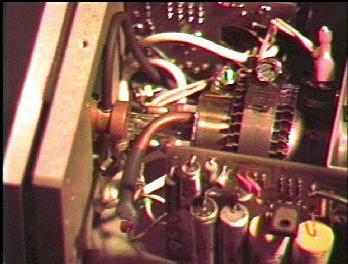 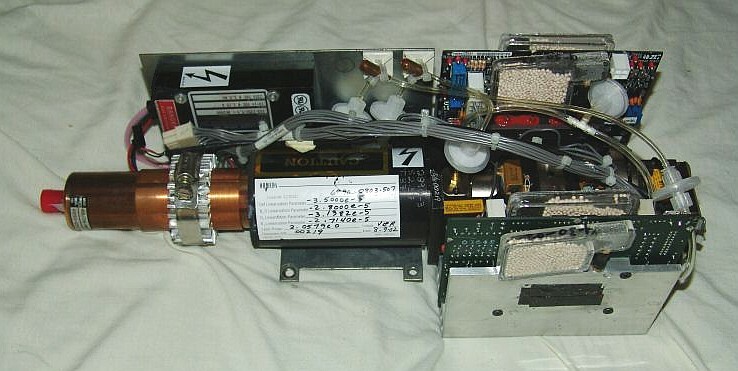 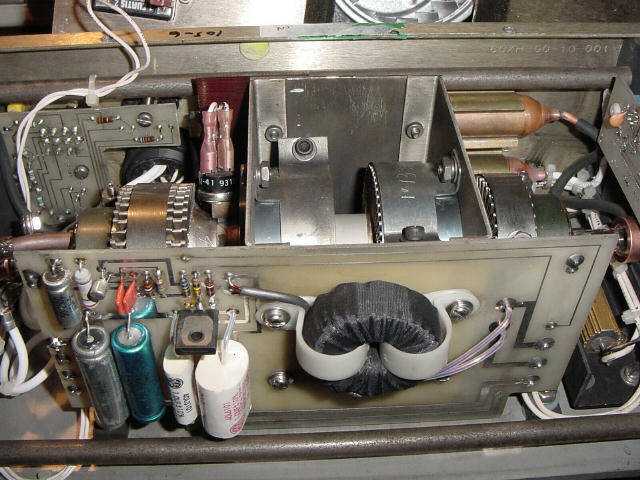 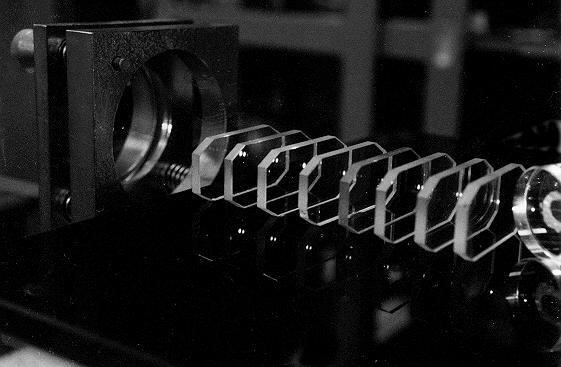 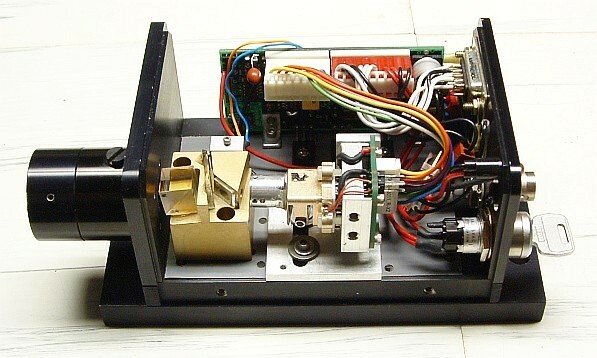 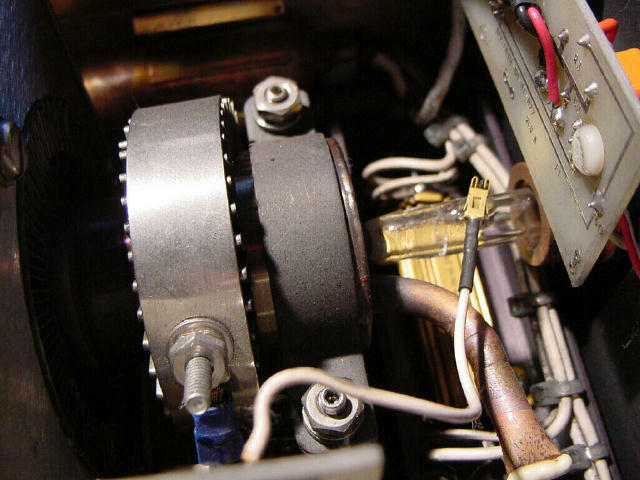 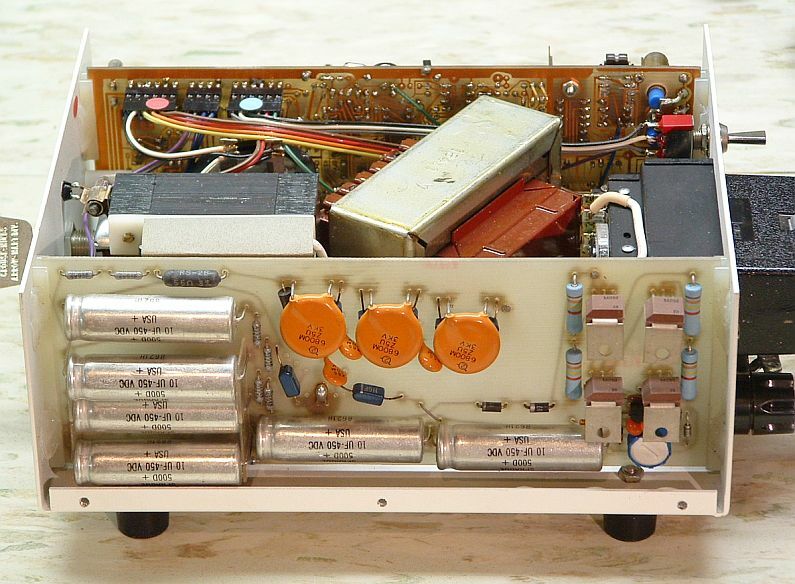 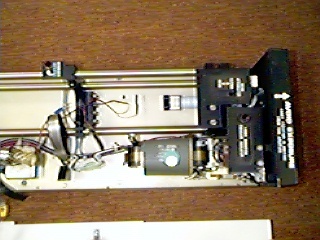 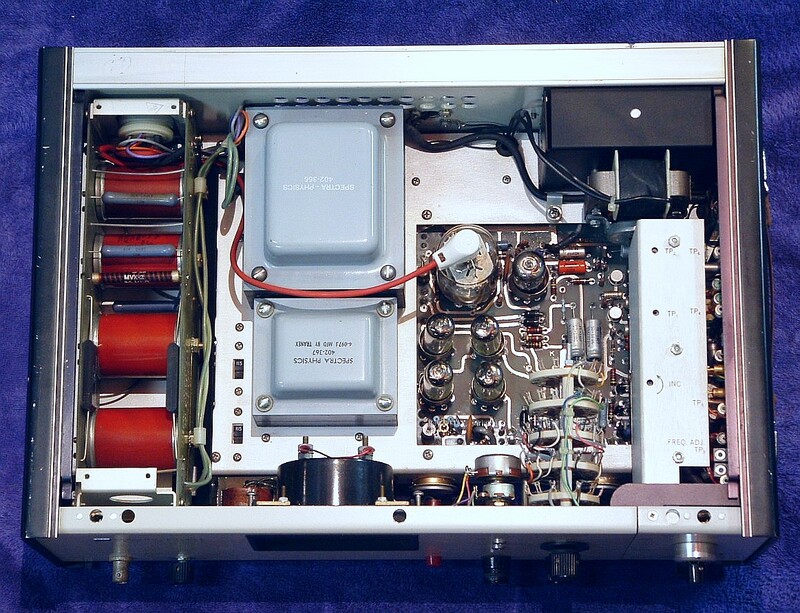 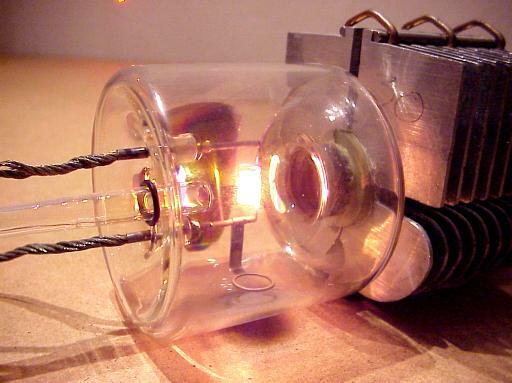 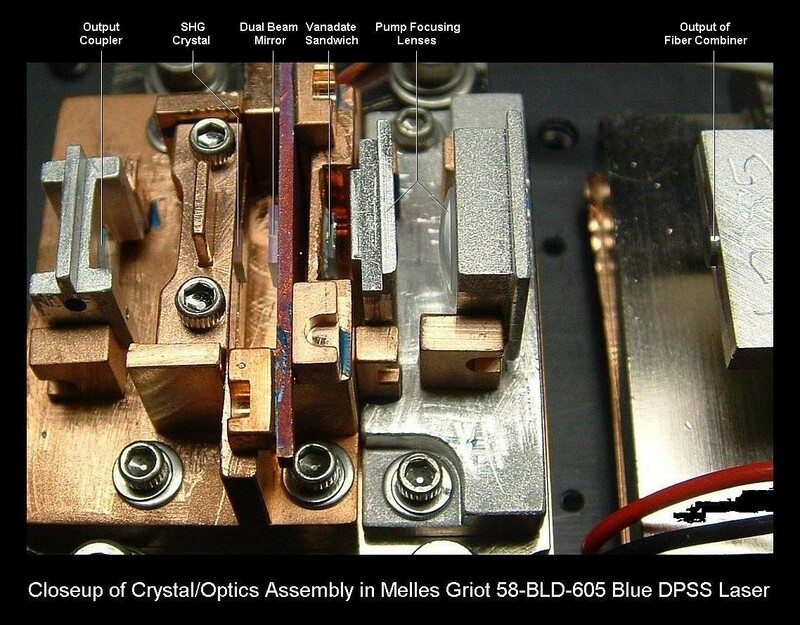 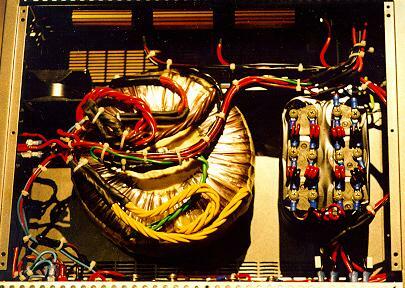 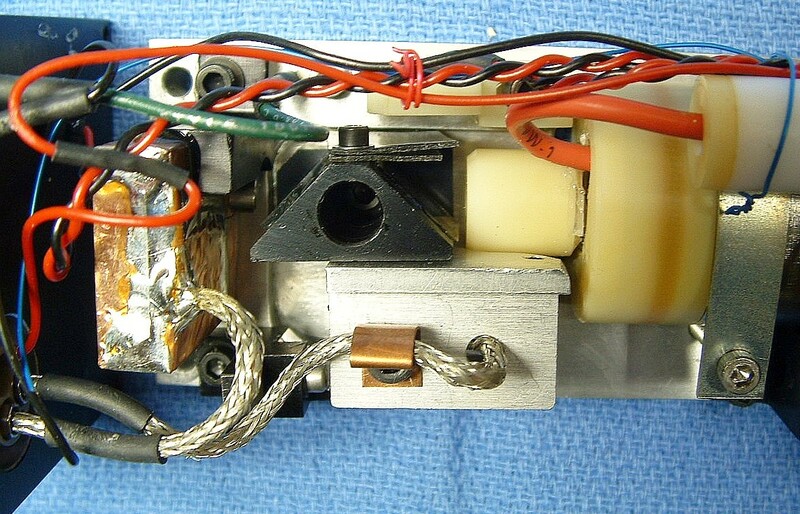 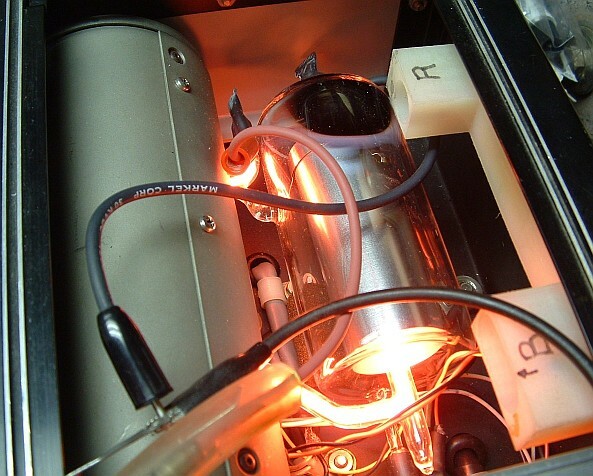 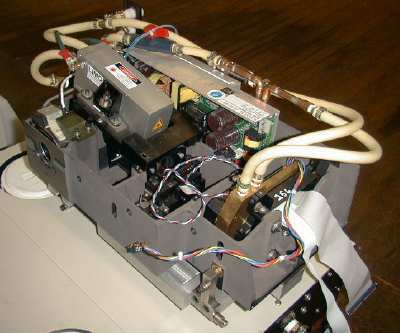 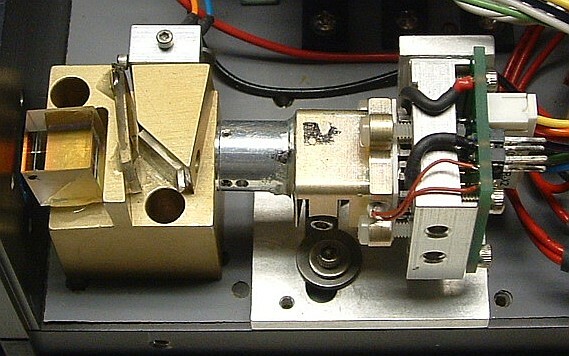 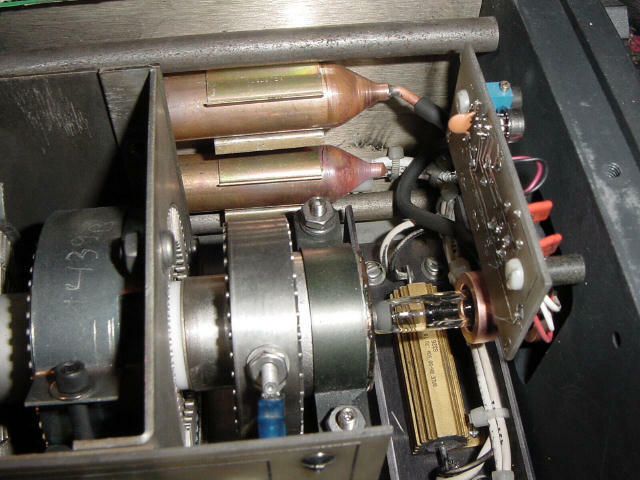 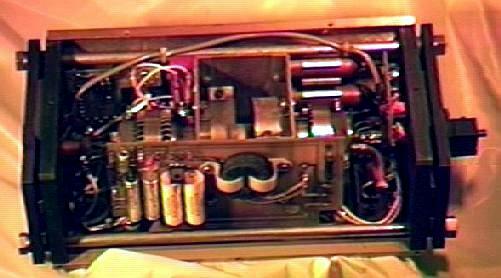 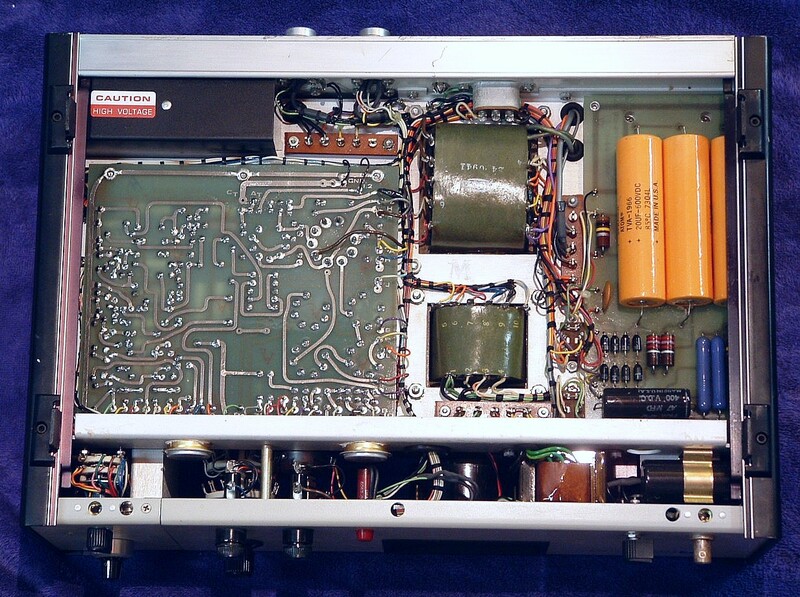 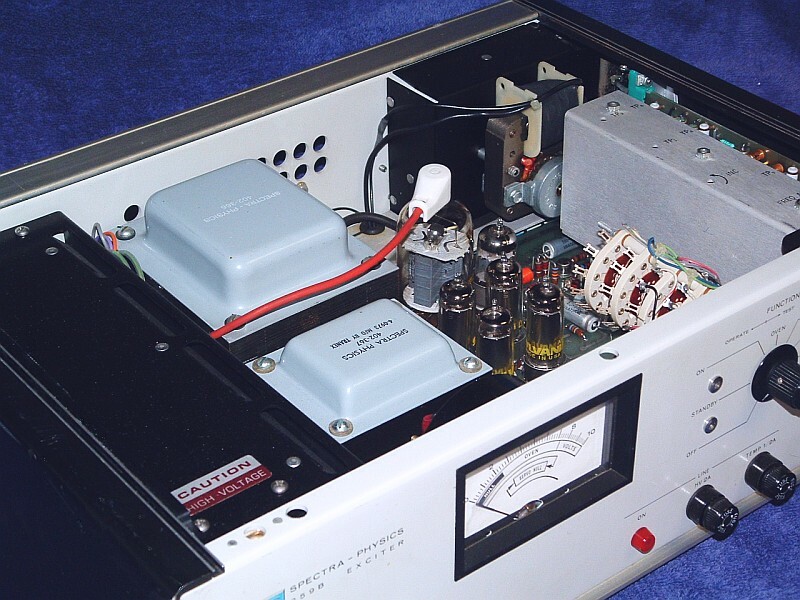 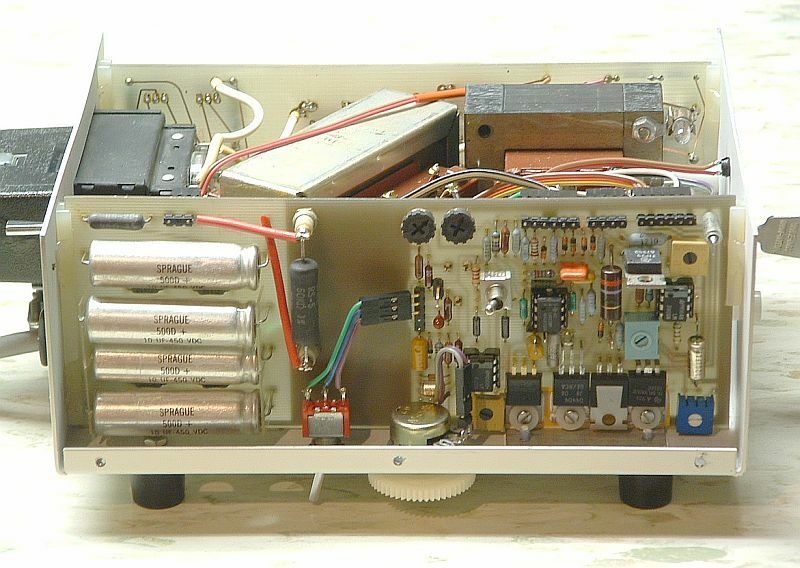 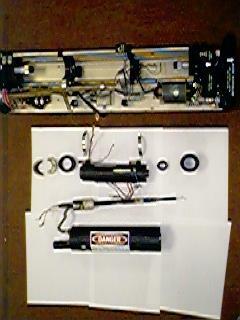 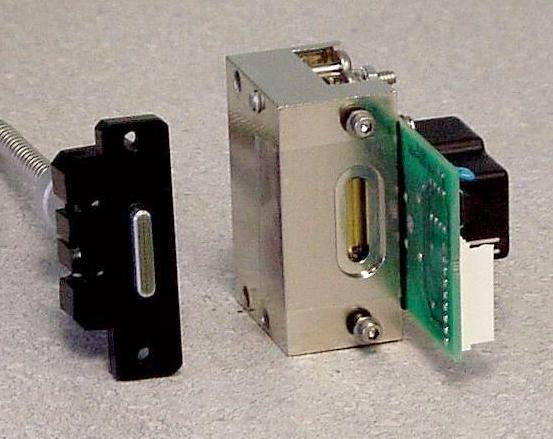 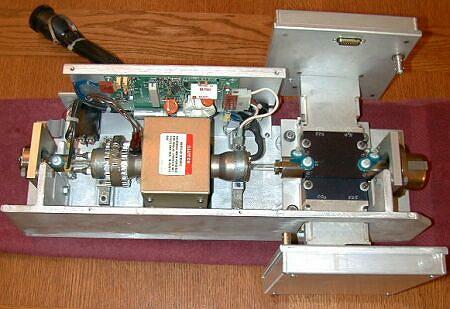 Internal Structure of Hewlett Packard/Agilent 5501B and 5517B/C/D Laser Tube Assemblies (hp5517t1.gif). 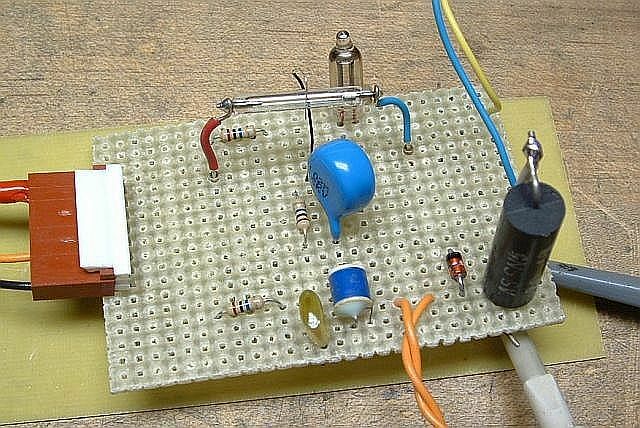 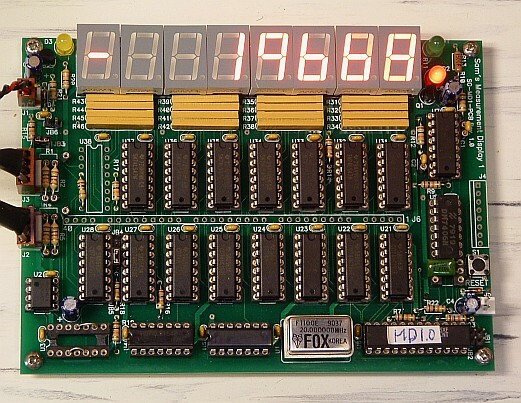 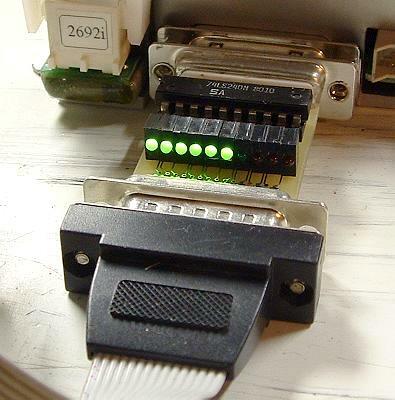 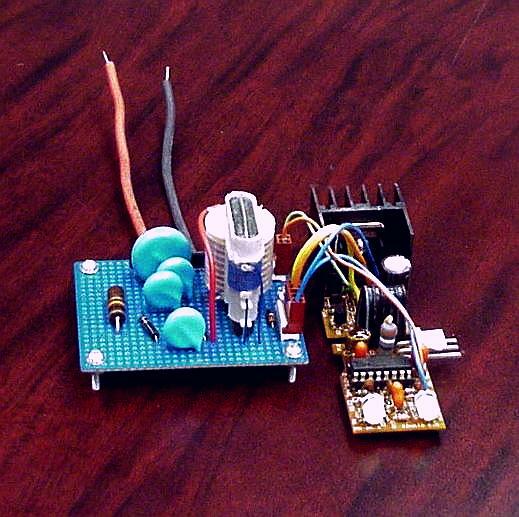 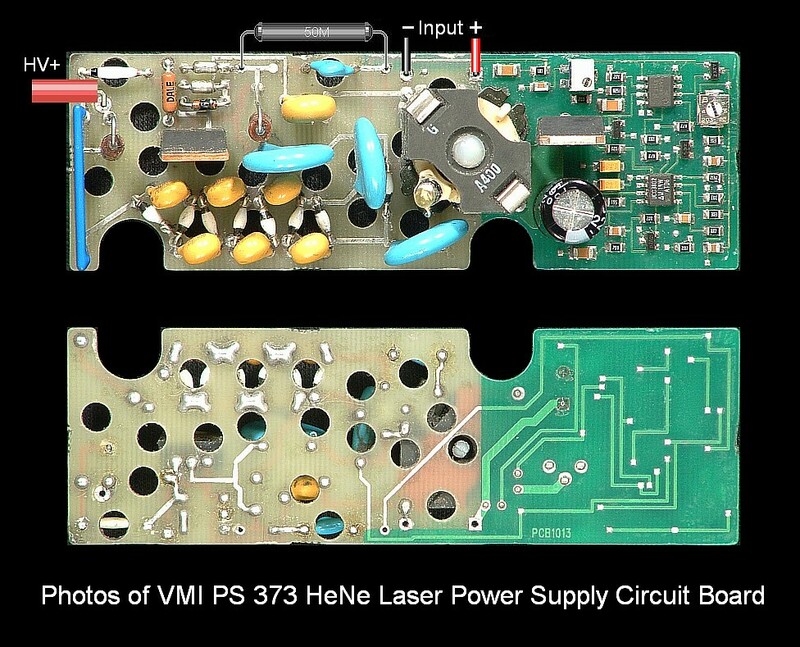 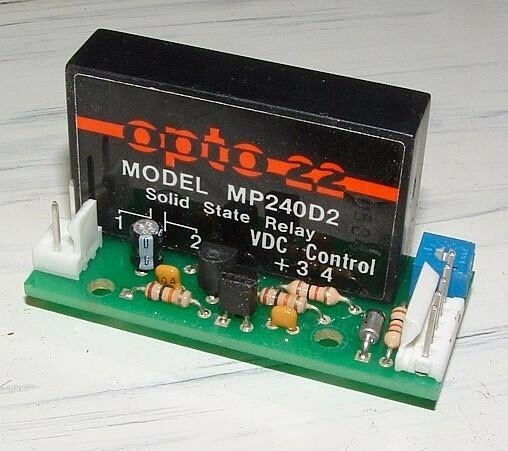 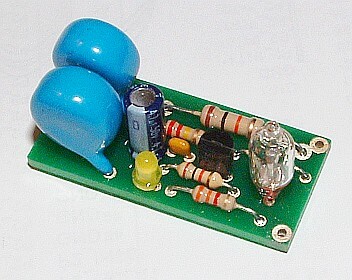 Older Hewlett Packard 5517 Laser Analog Control PCB (5517pcb1.jpg). 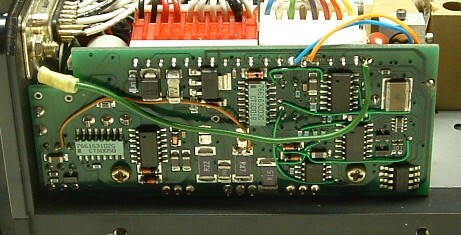 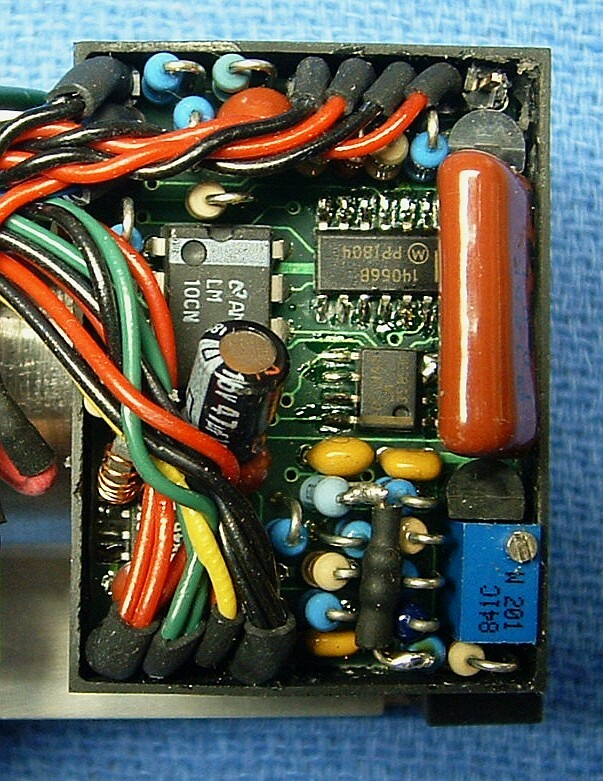 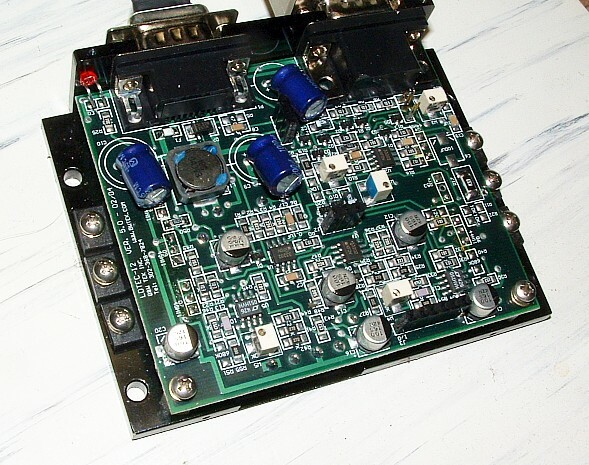 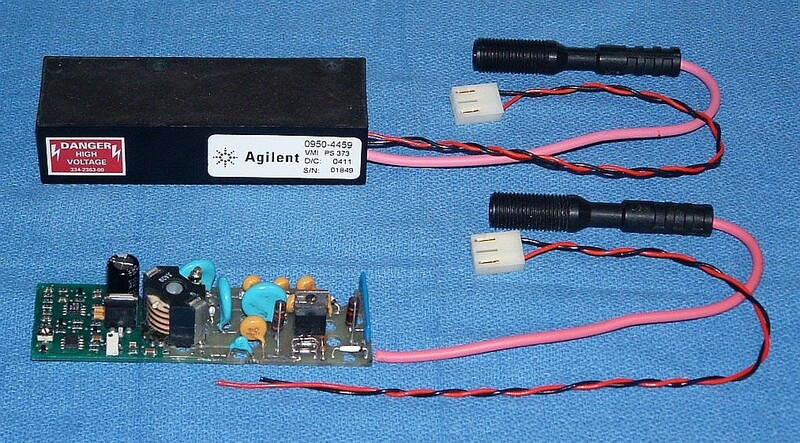 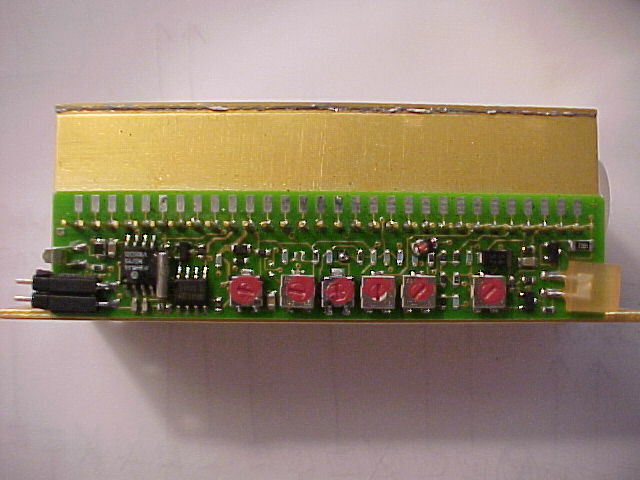 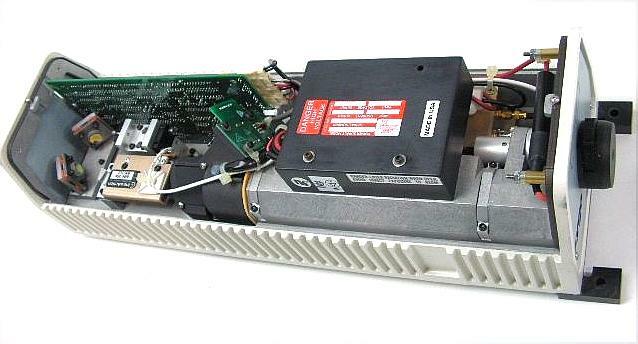 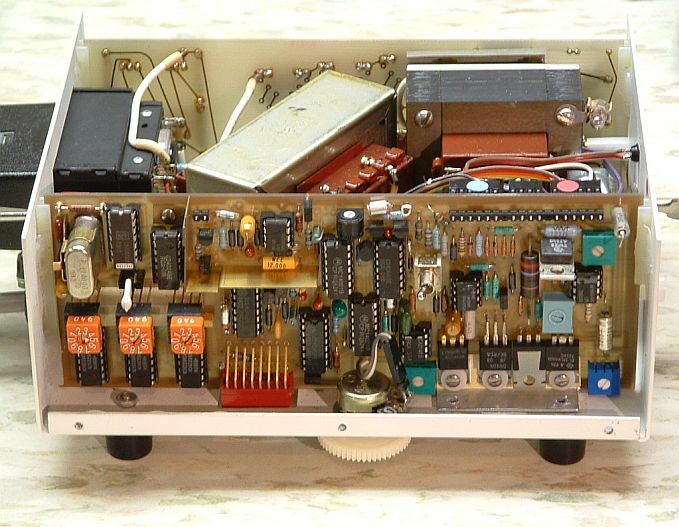 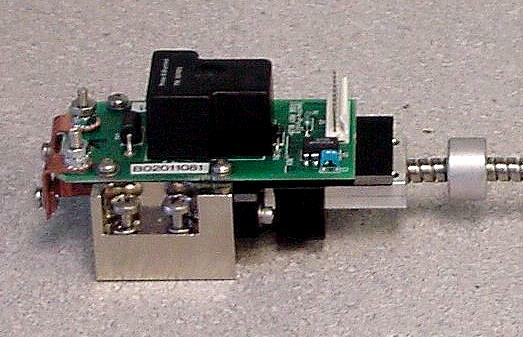 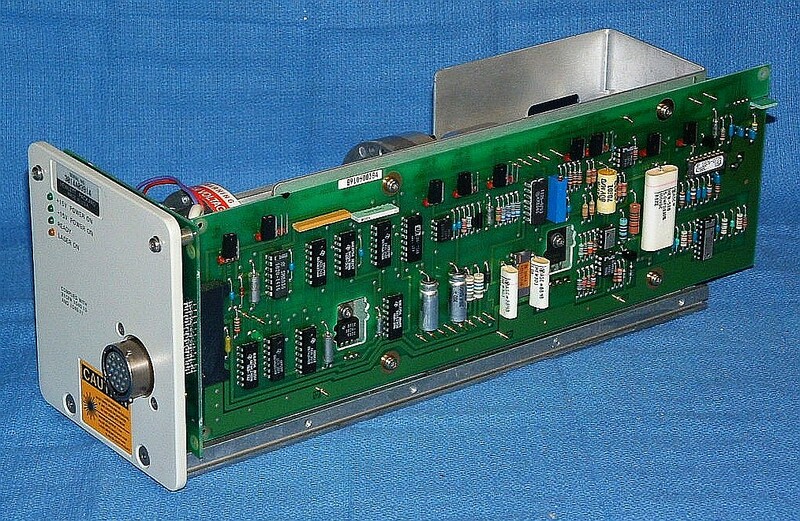 Newer Agilent 5517 Laser Digital Control PCB (5517pcb2.jpg). 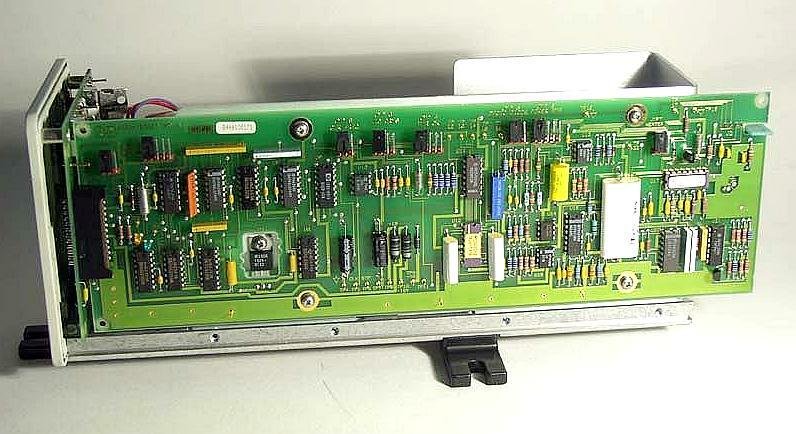 Newest Agilent 5517 Laser Digital Control PCB (5517pcb3.jpg). 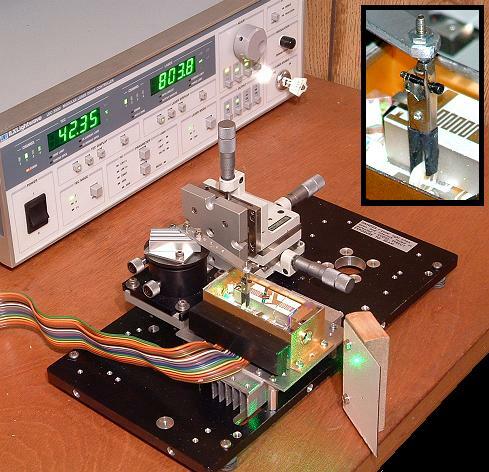 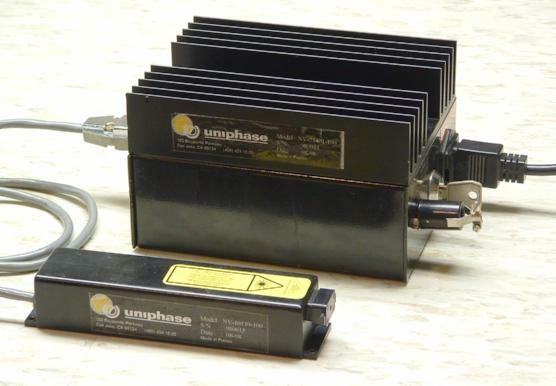 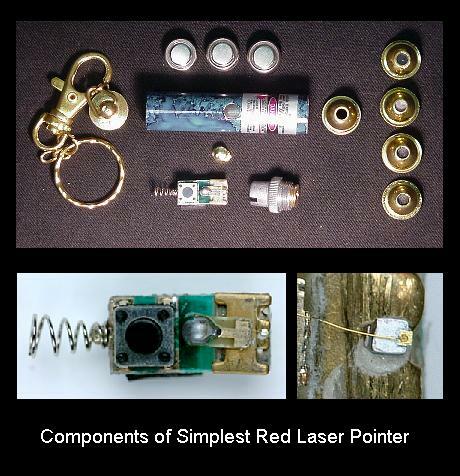 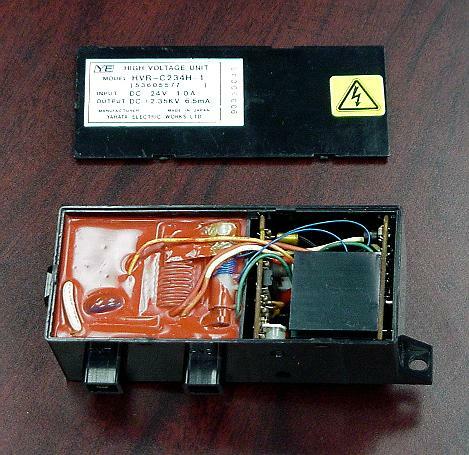 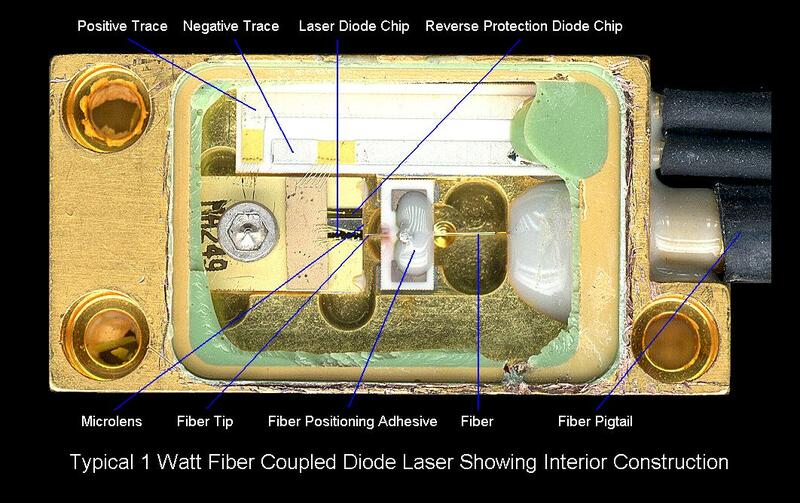 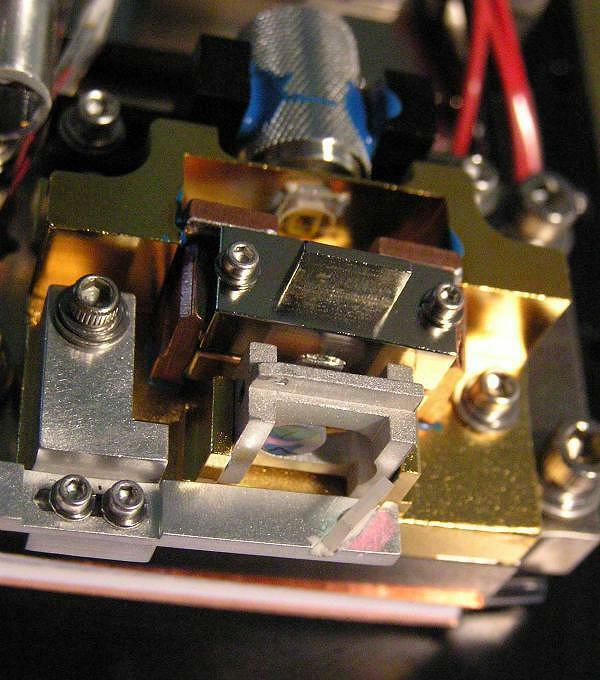 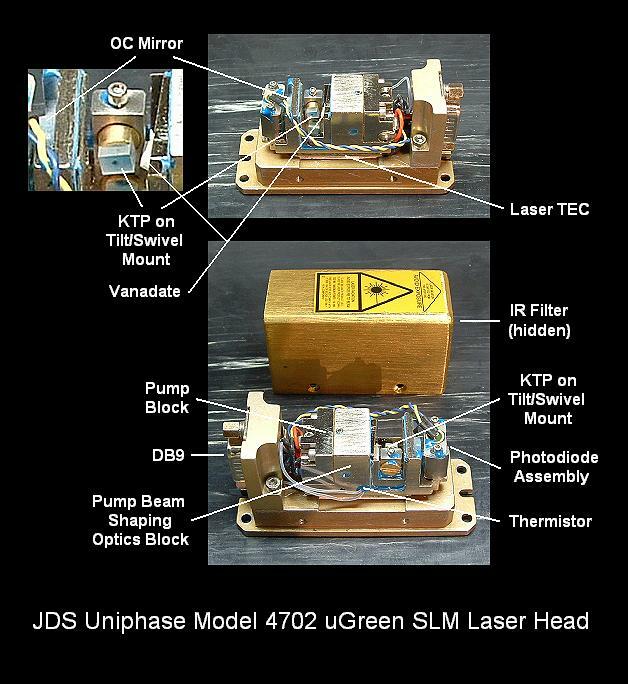 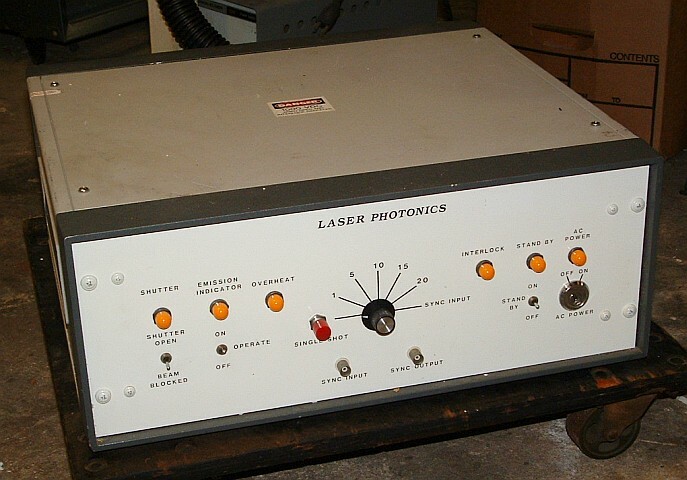 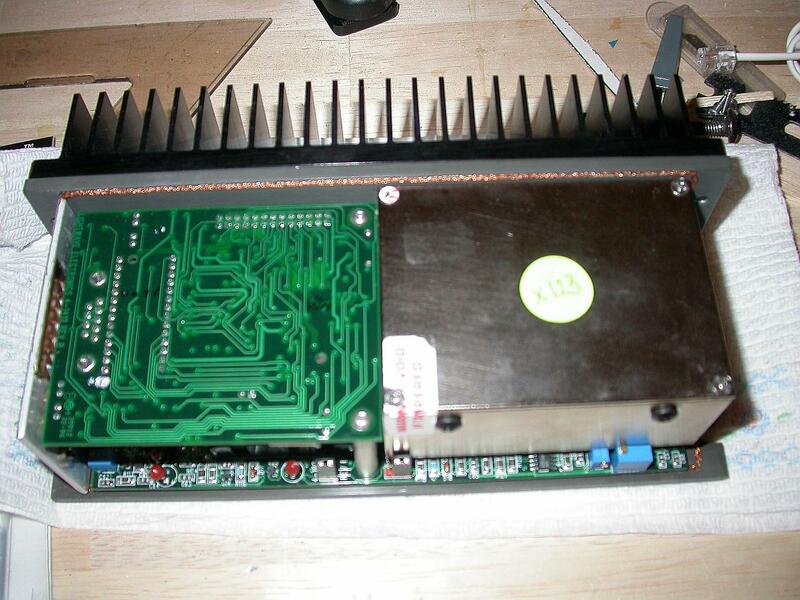 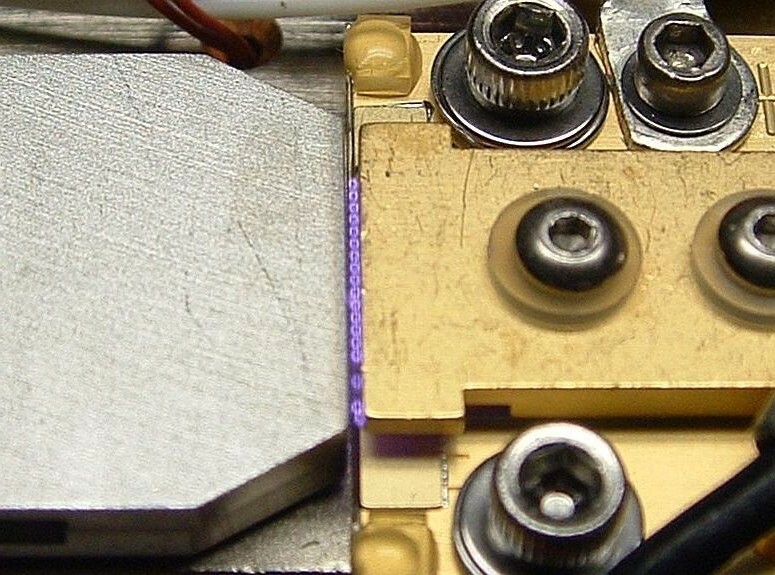 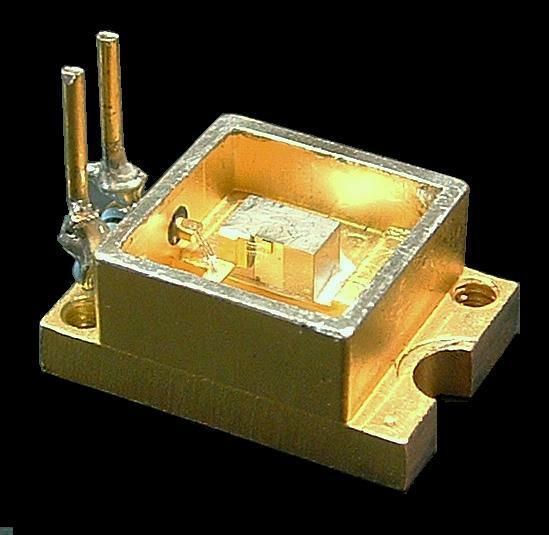 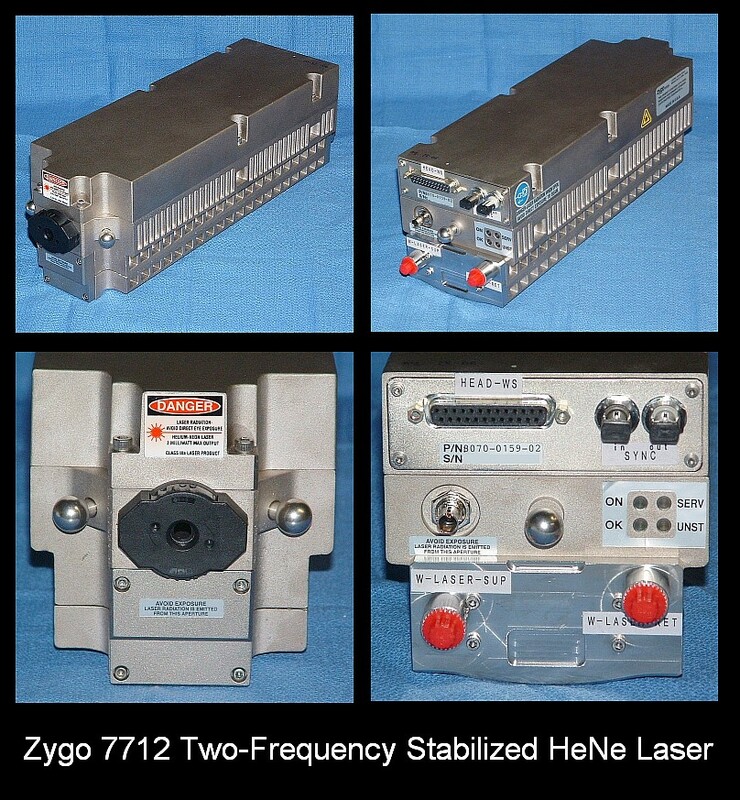 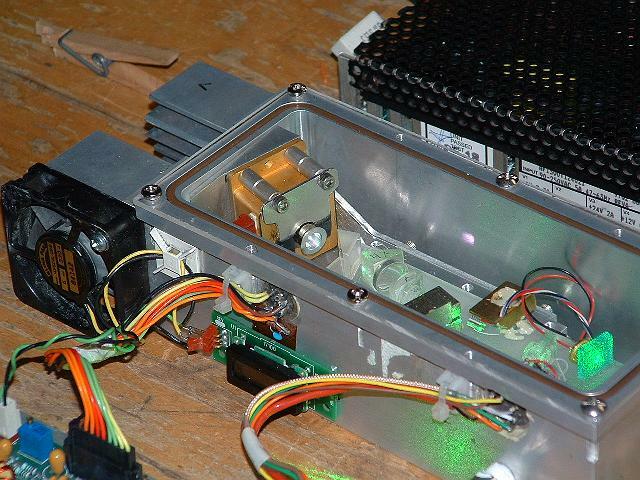 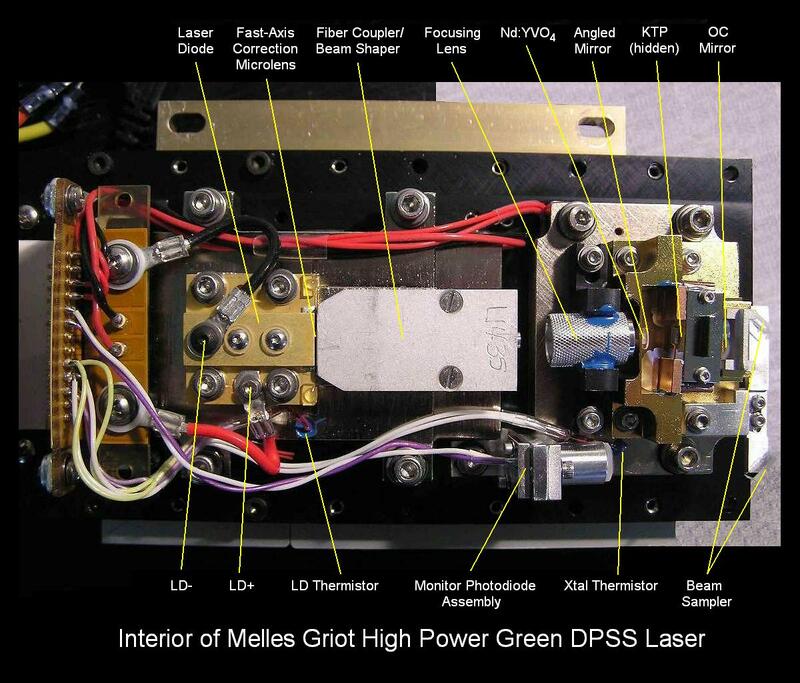 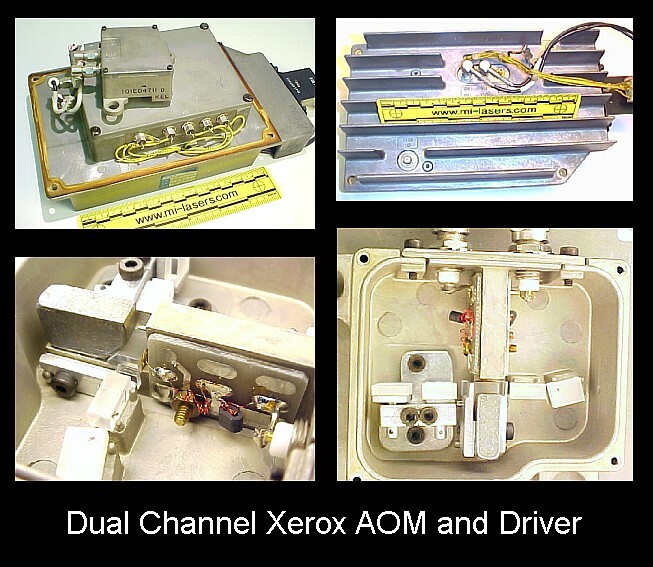 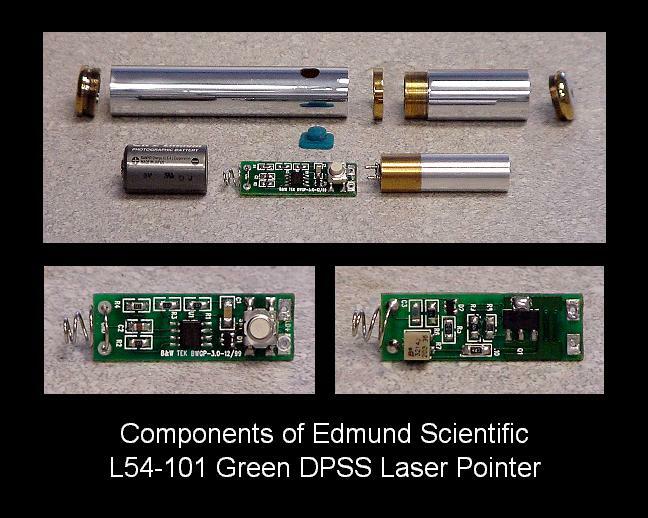 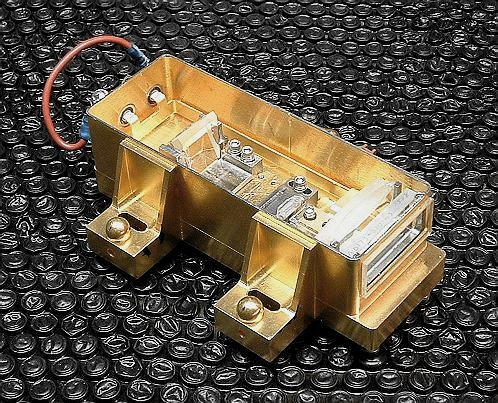 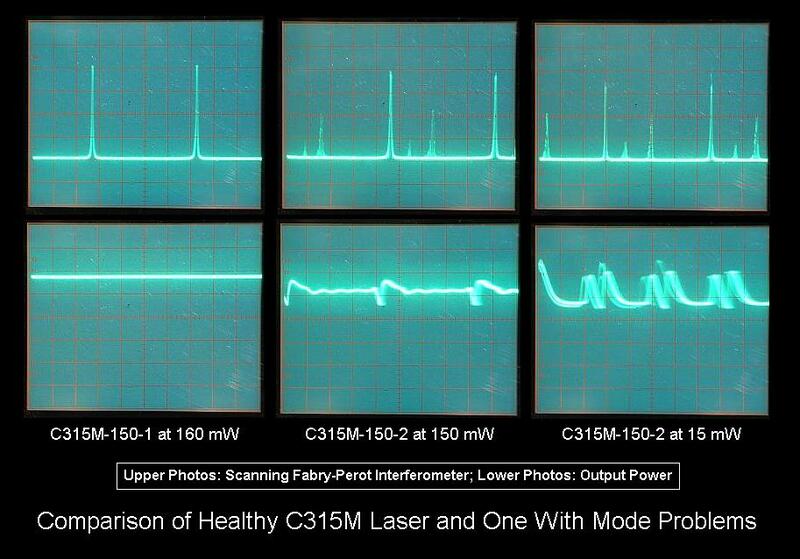 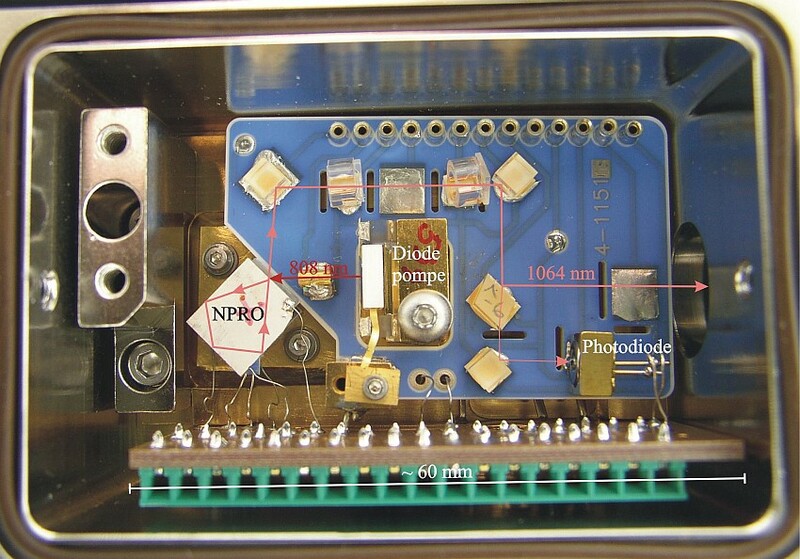 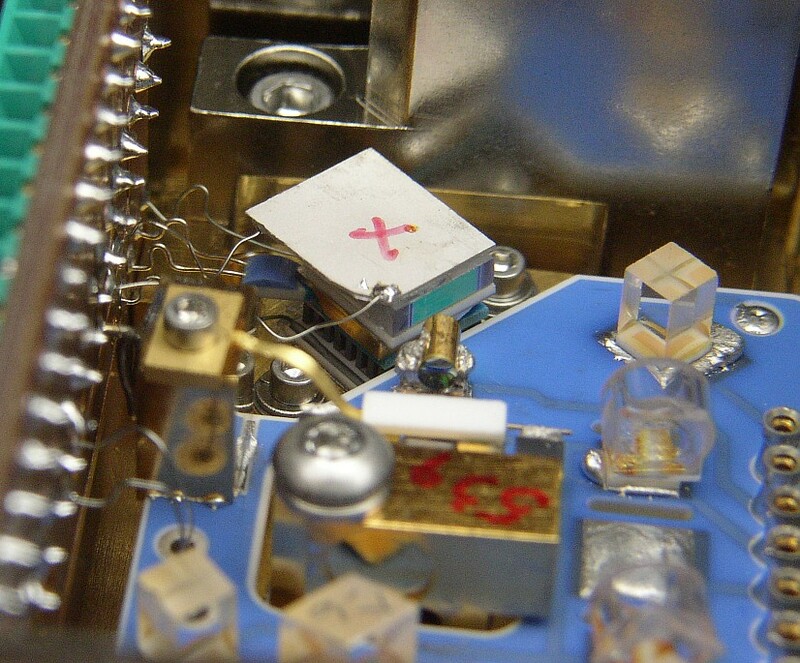 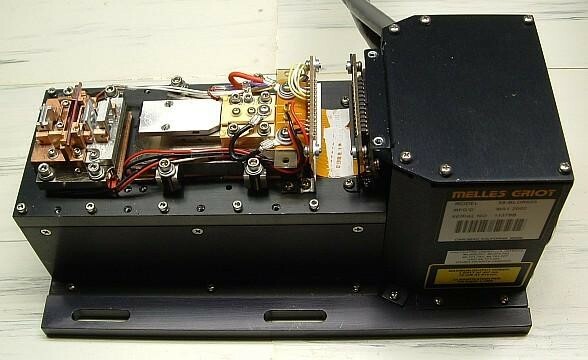 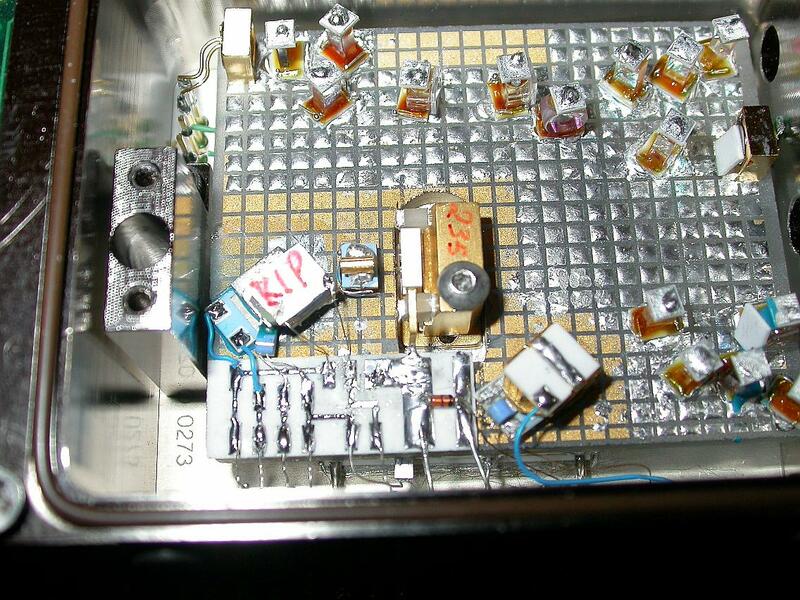 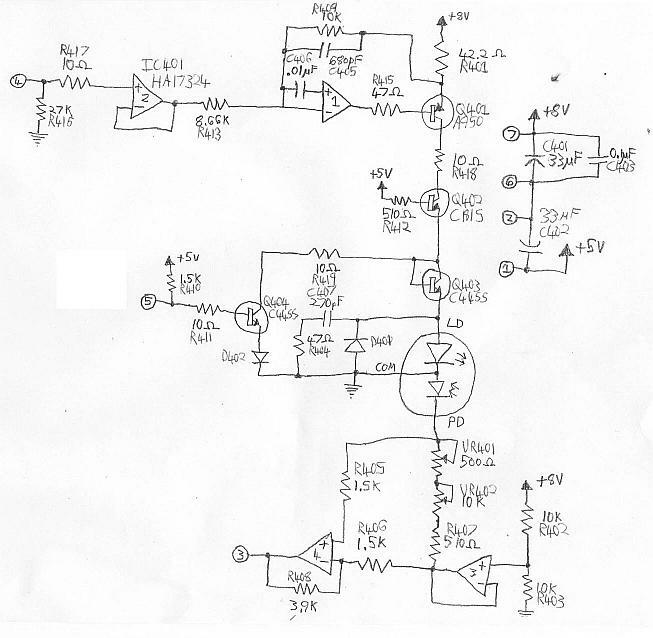 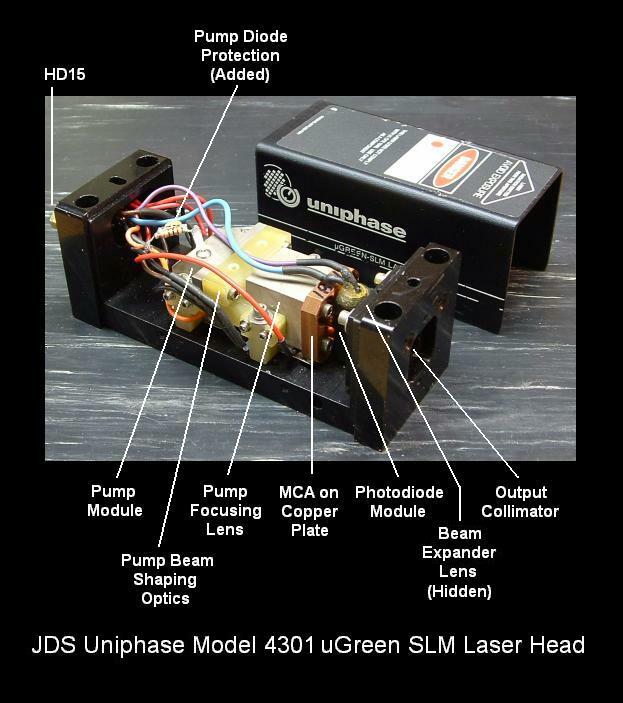 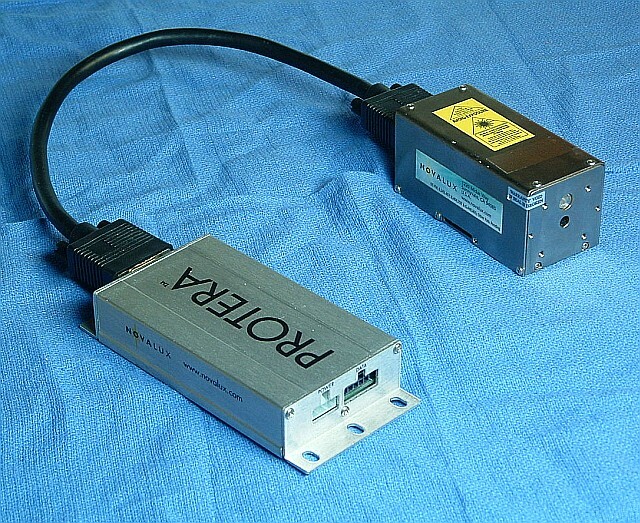 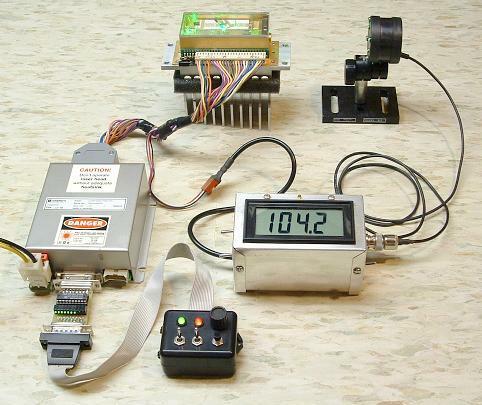 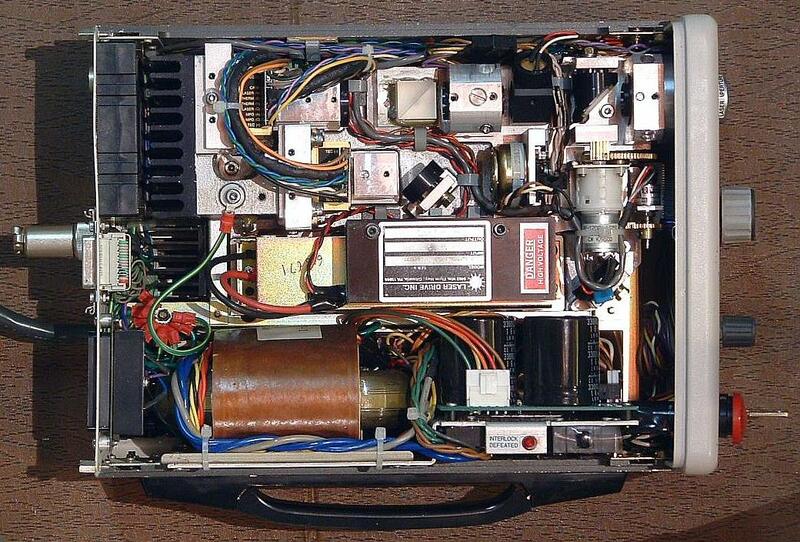 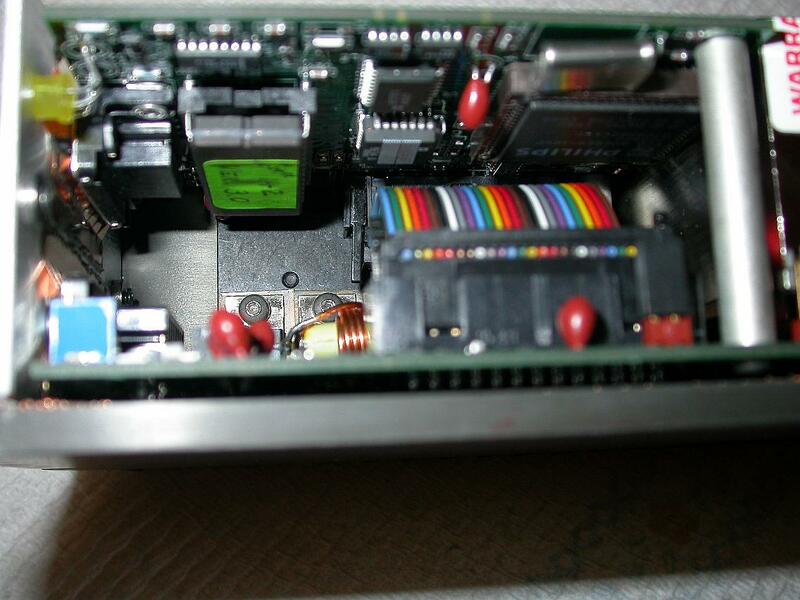 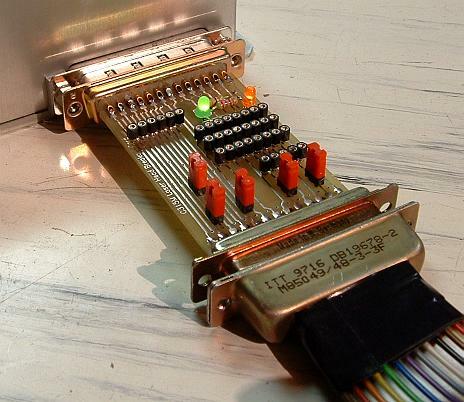 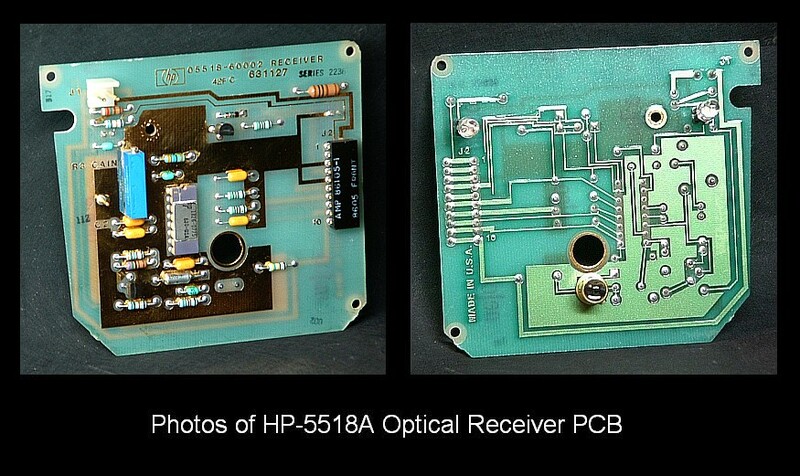 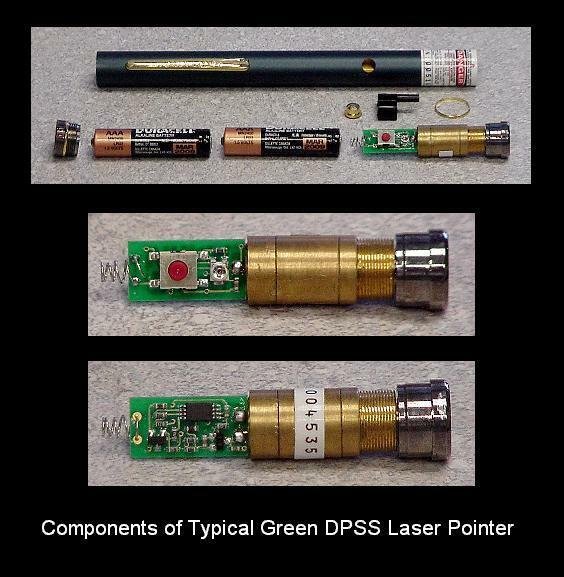 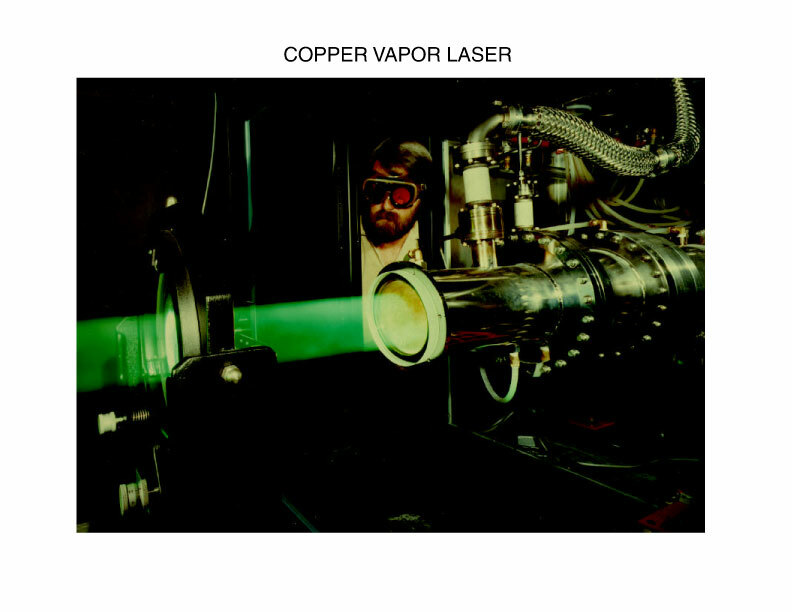 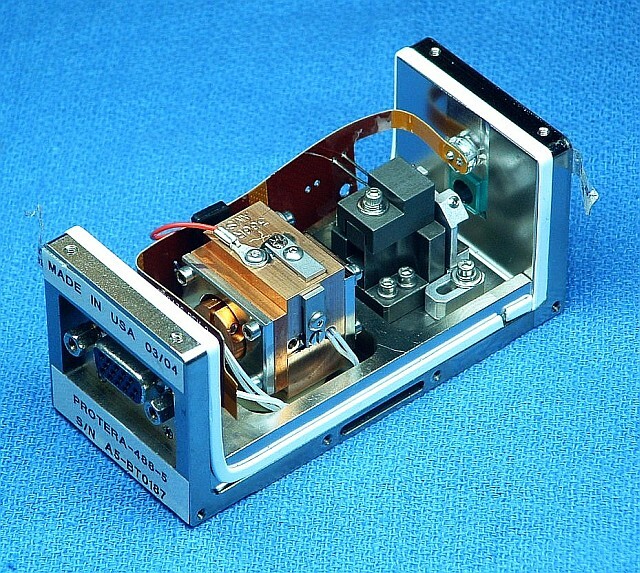 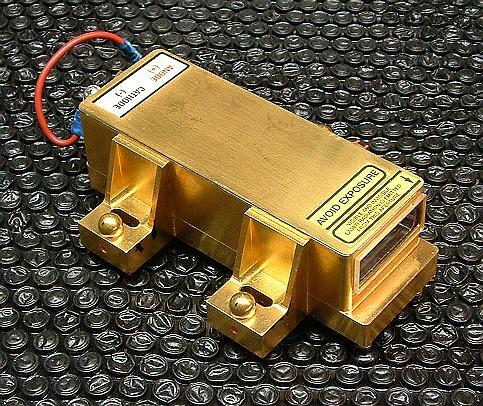 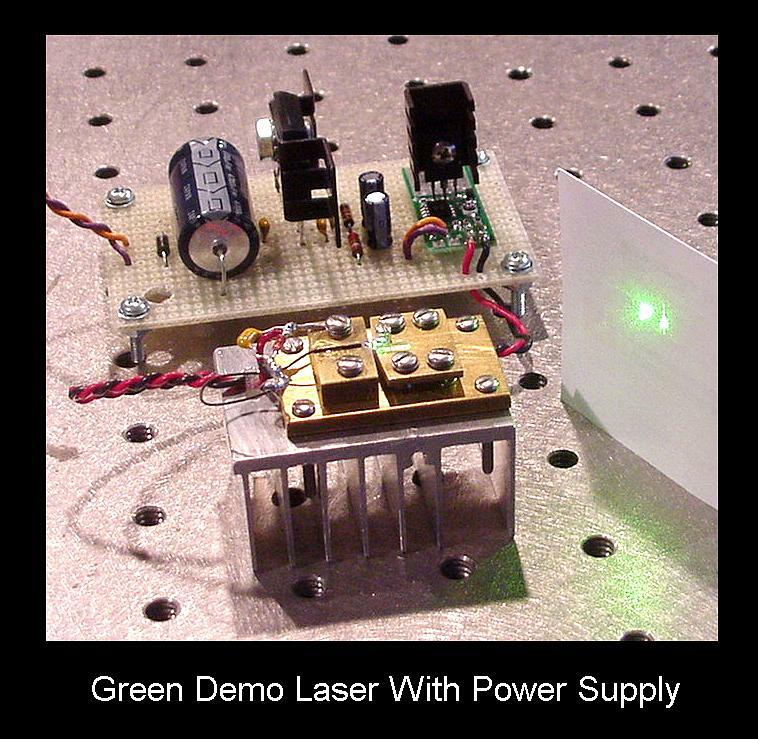 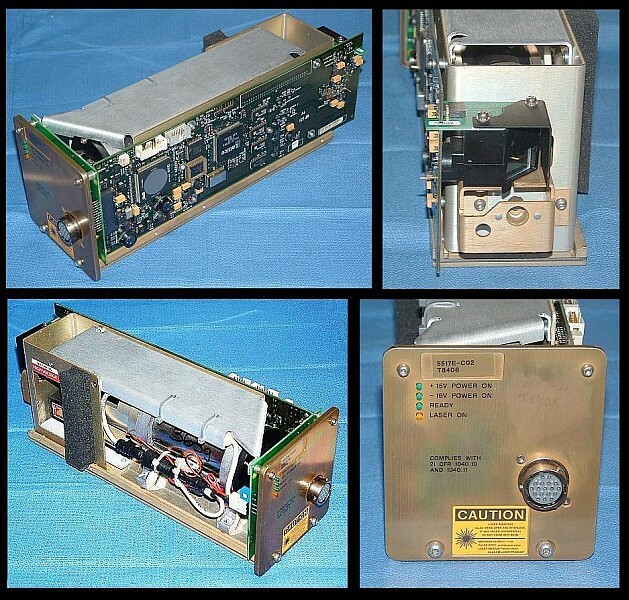 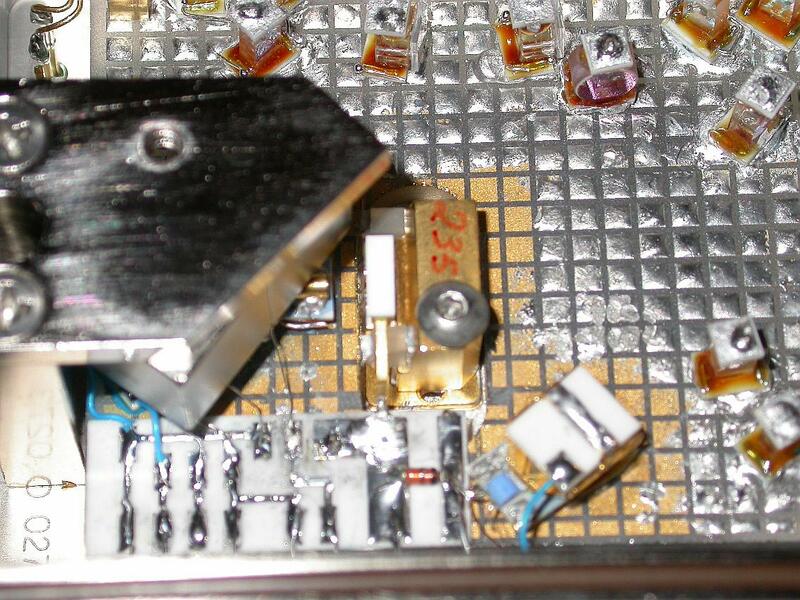 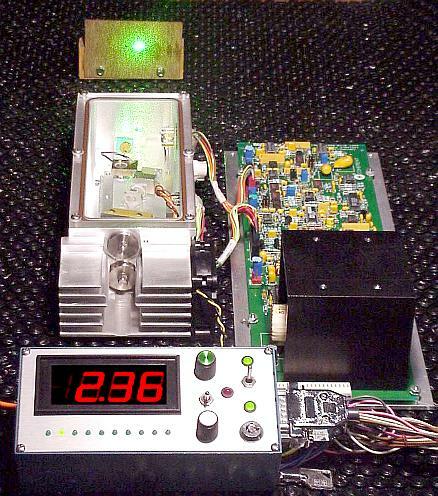 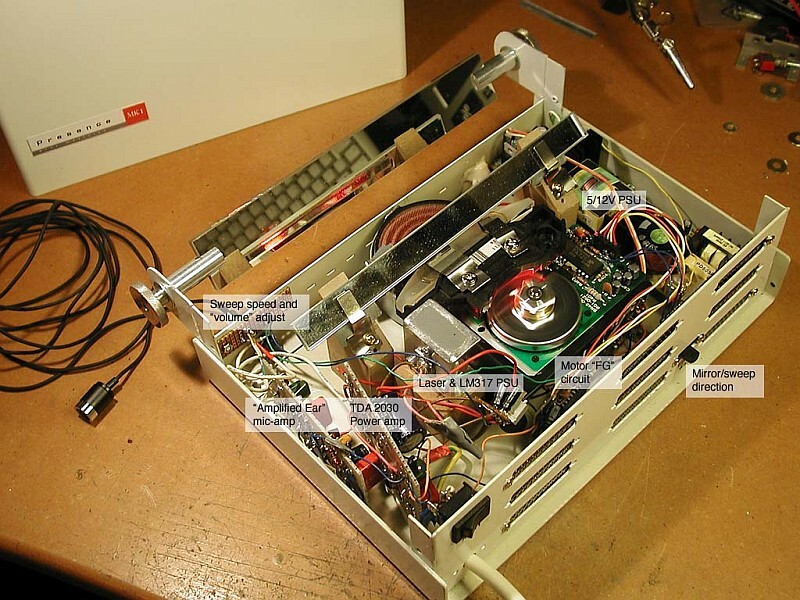 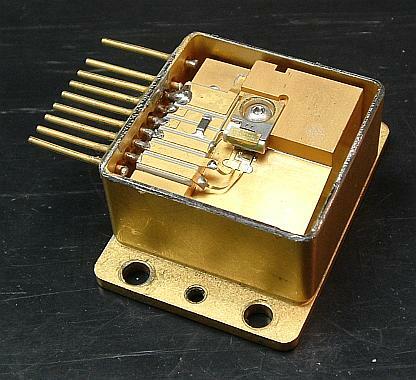 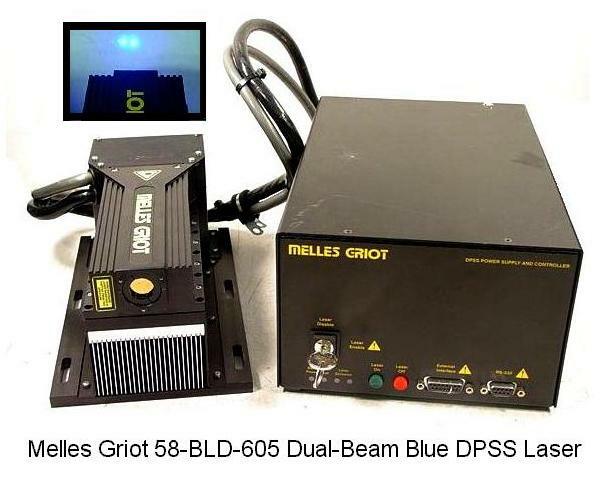 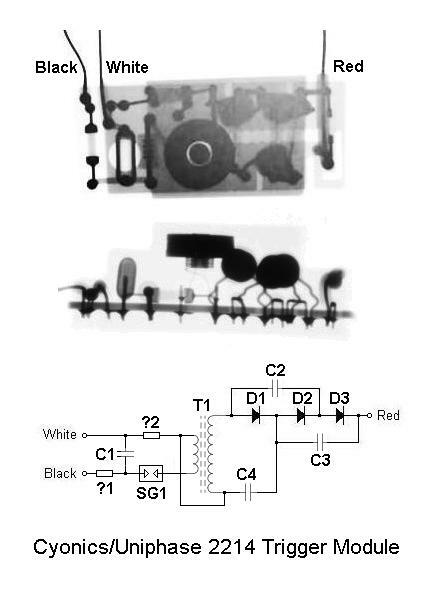 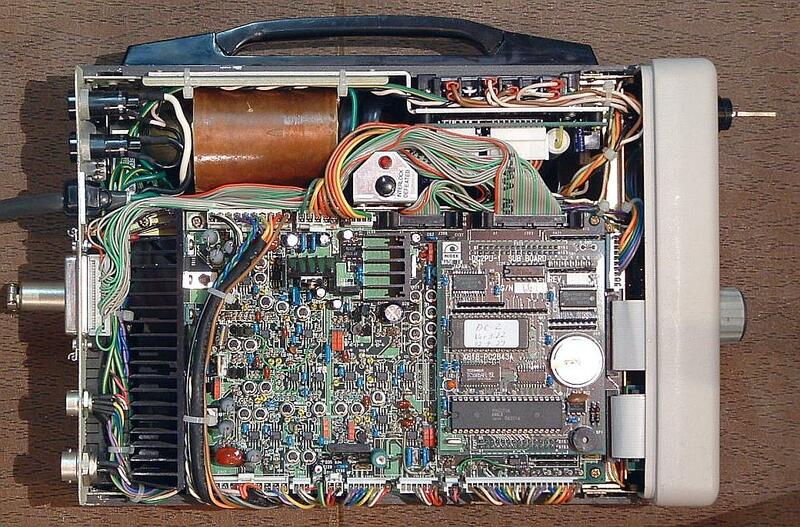 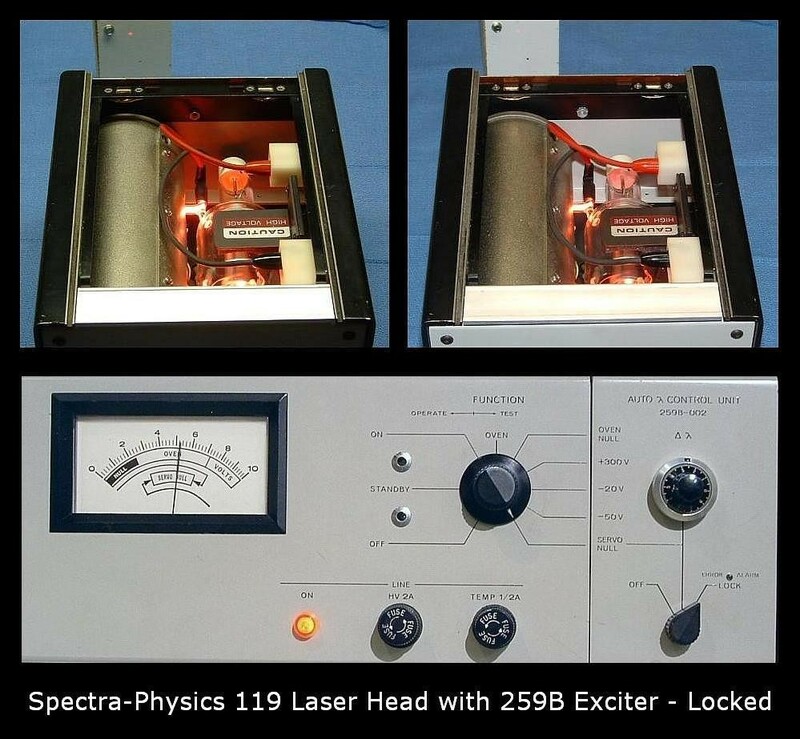 Upgraded Electronics for HP-5517 Lasers (hplm1sch.pdf). 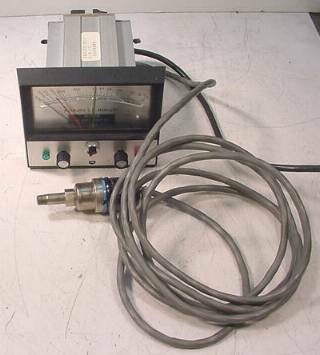 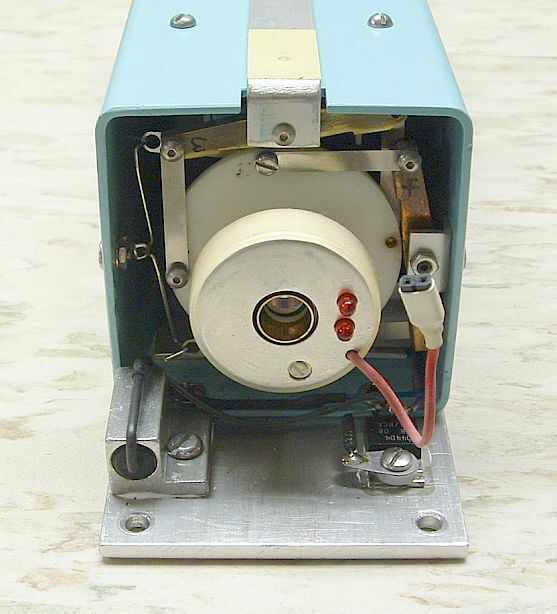 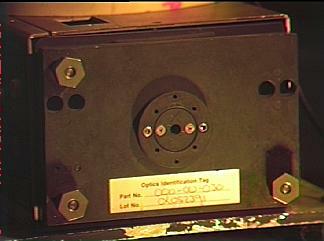 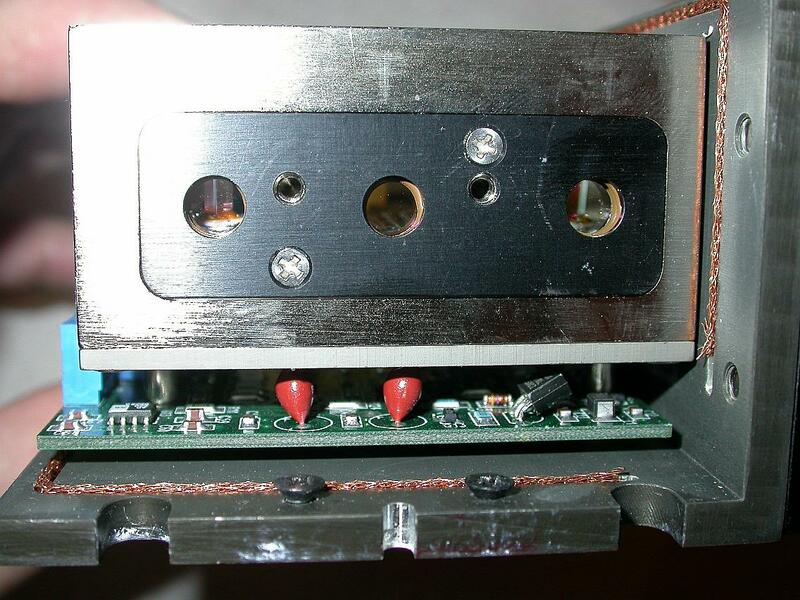 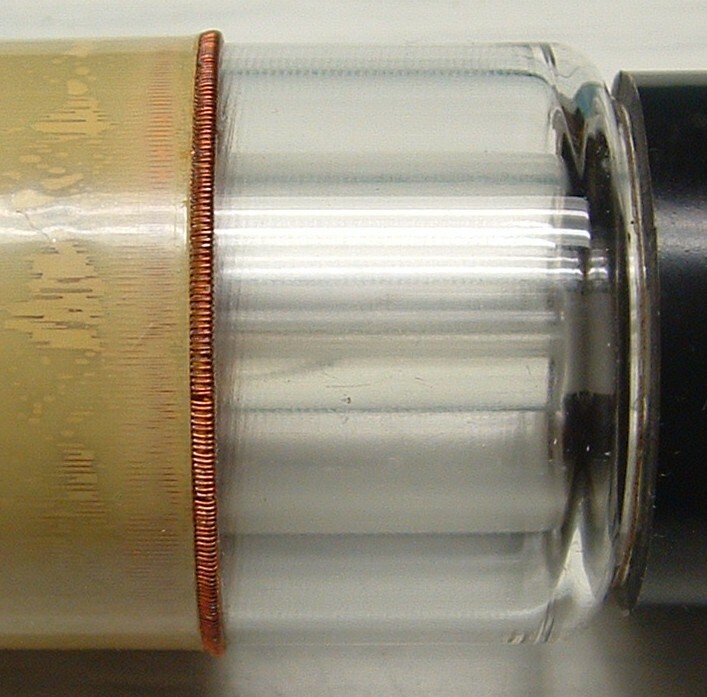 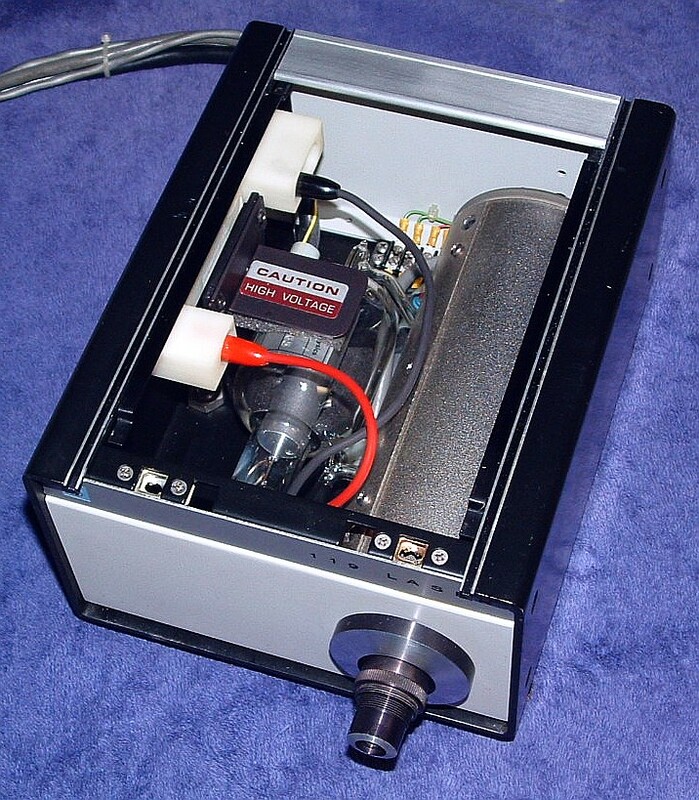 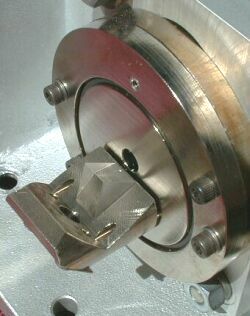 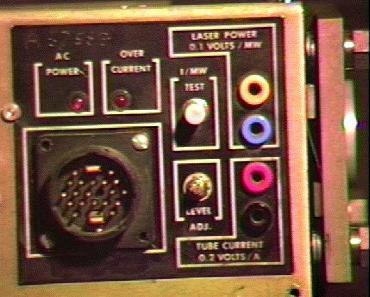 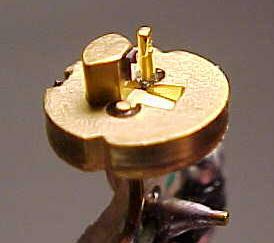 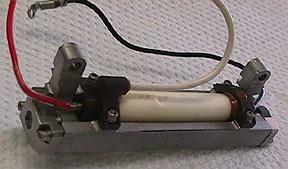 Tube Used in HP-5517B Two-Frequency HeNe Laser - View 1 (hp5517ta.jpg). 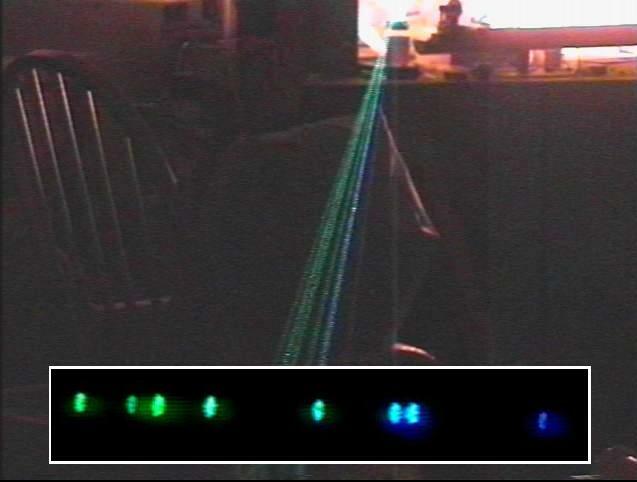 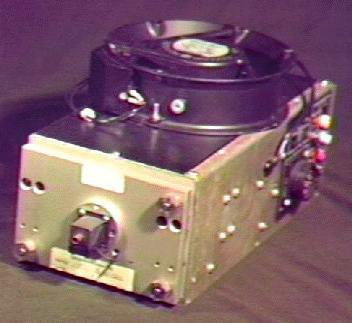 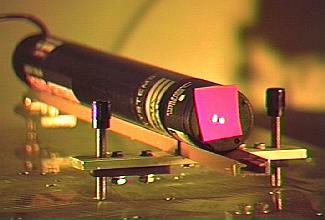 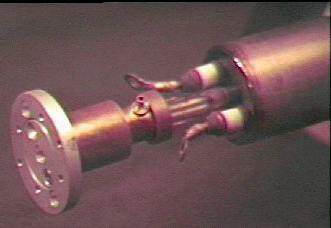 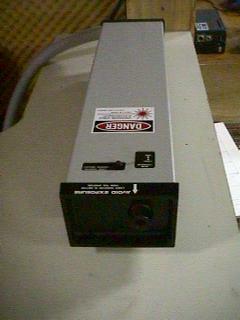 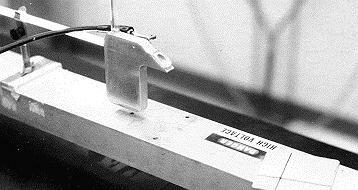 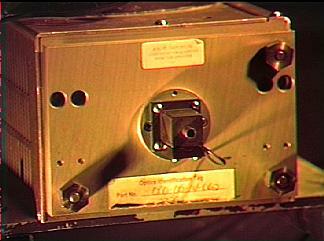 Tube Used in HP-5517B Two-Frequency HeNe Laser - View 2 (hp5517tb.jpg). 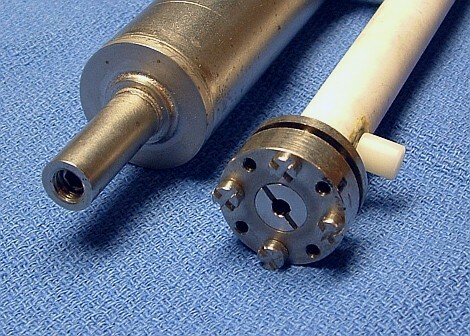 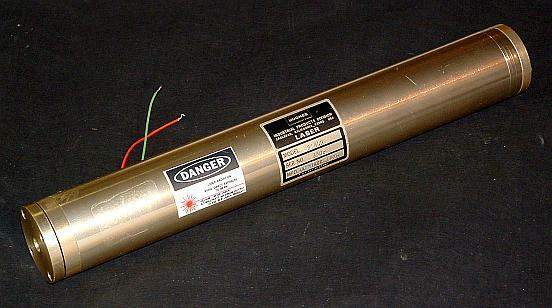 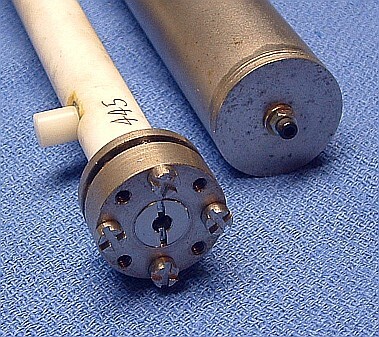 Tube Used in HP-5517D Two-Frequency HeNe Laser (hp5517t1.jpg). 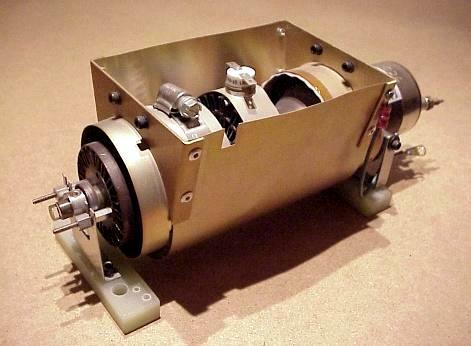 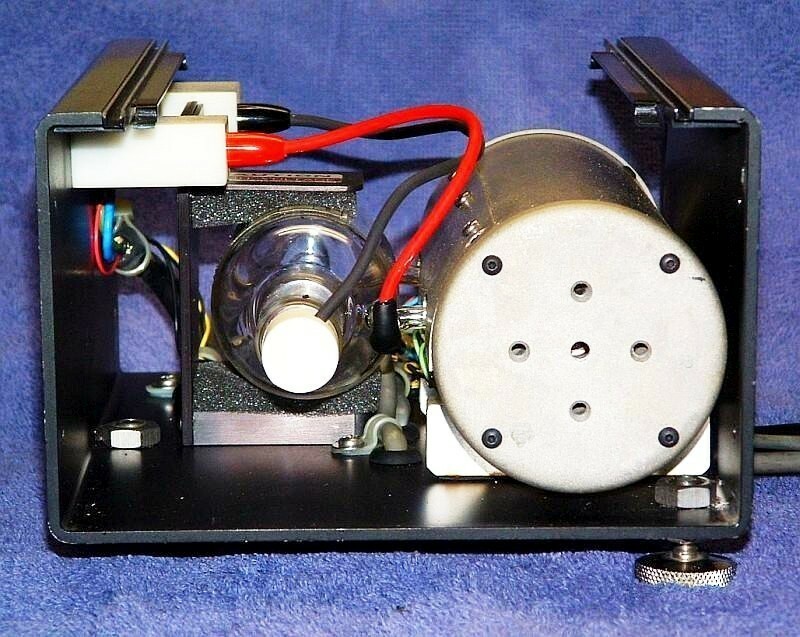 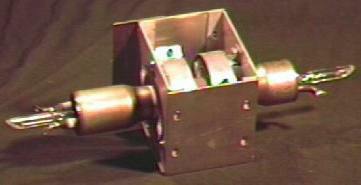 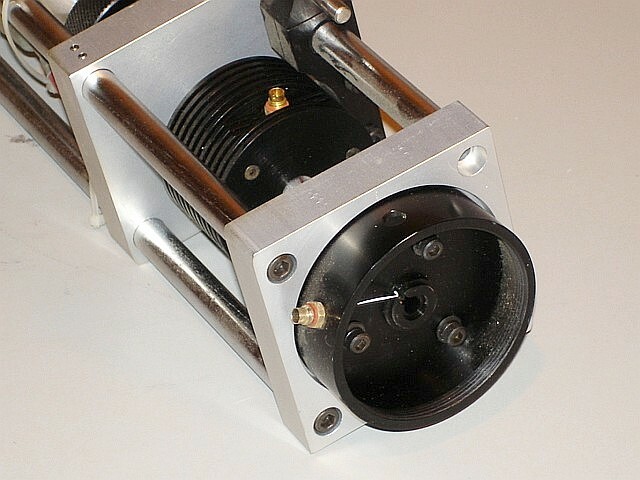 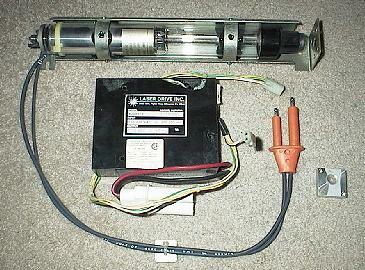 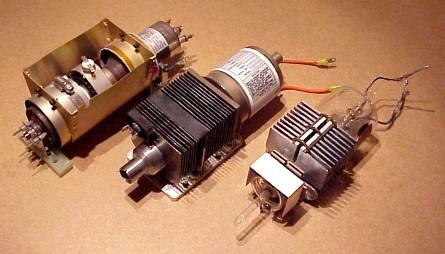 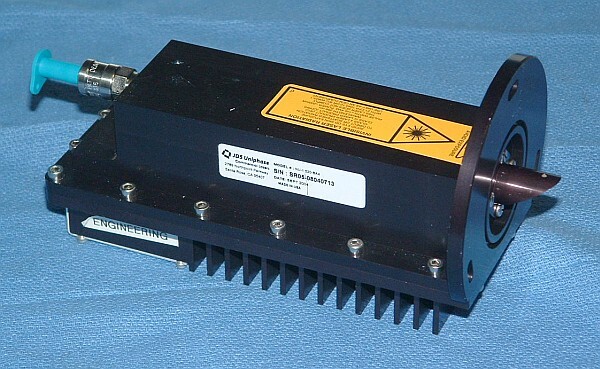 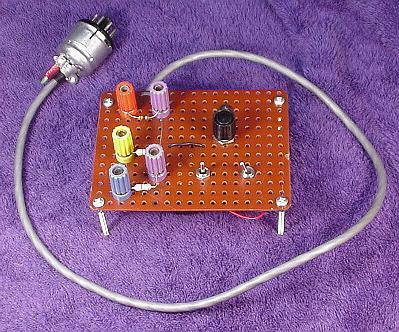 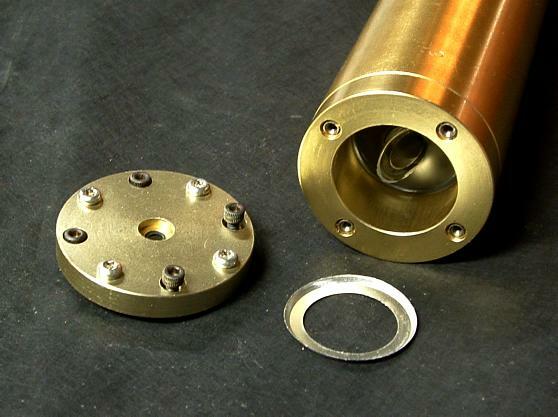 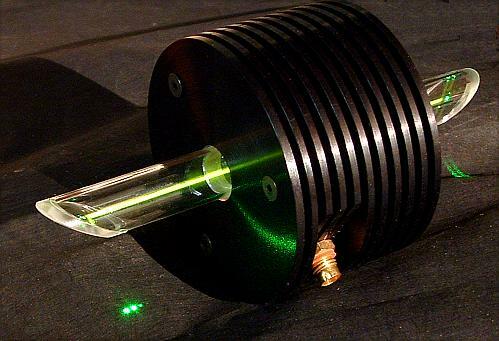 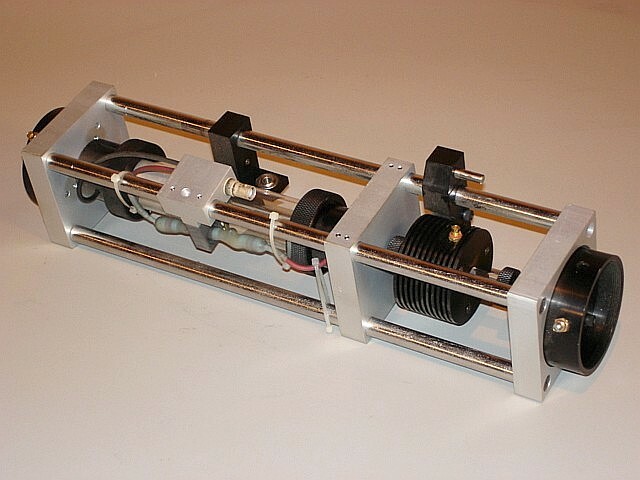 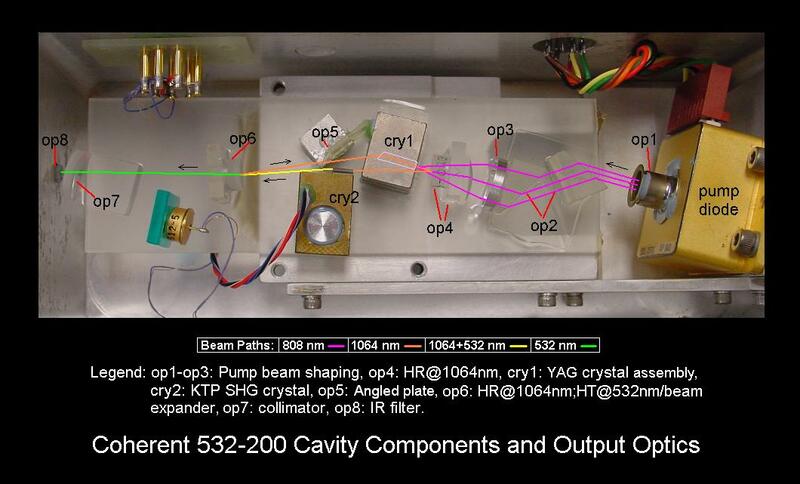 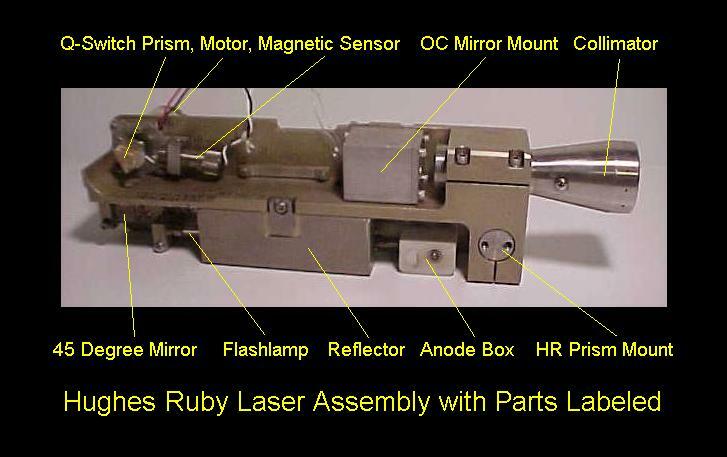 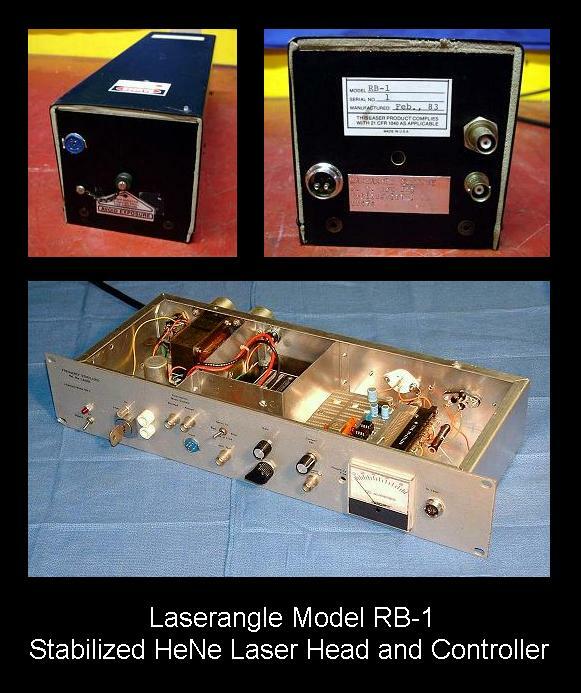 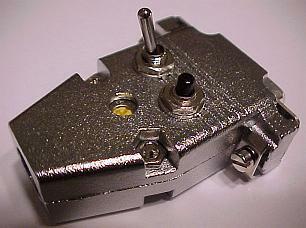 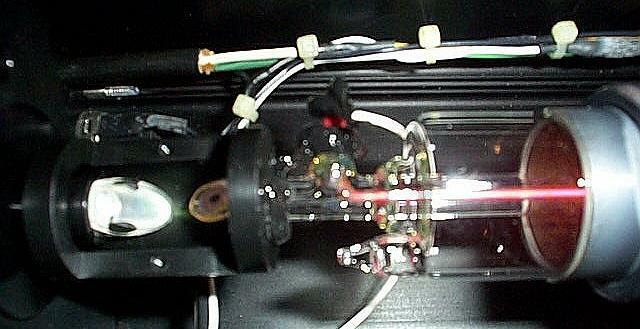 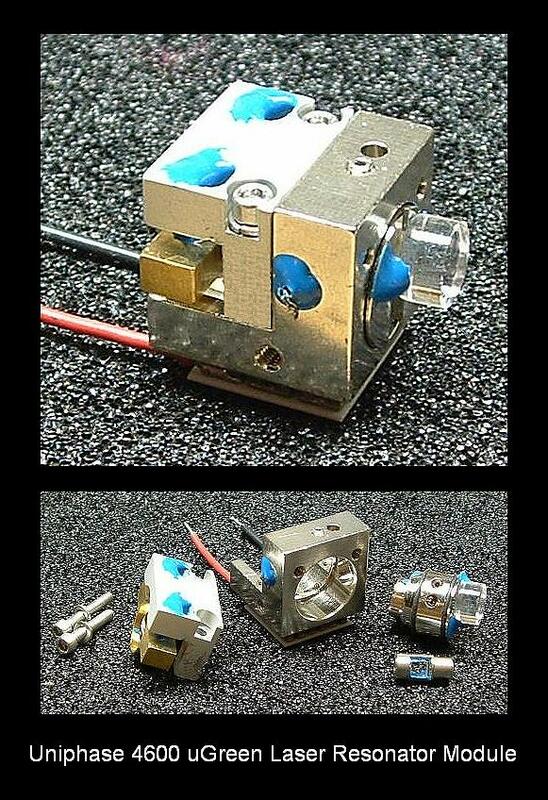 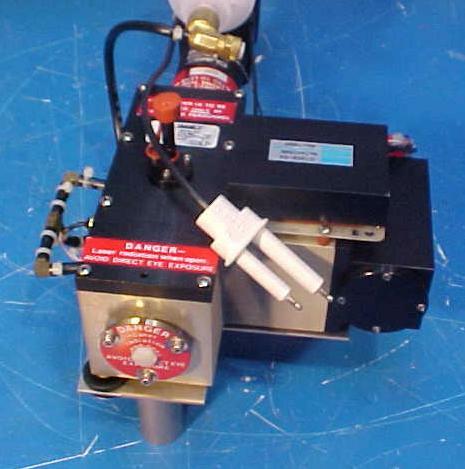 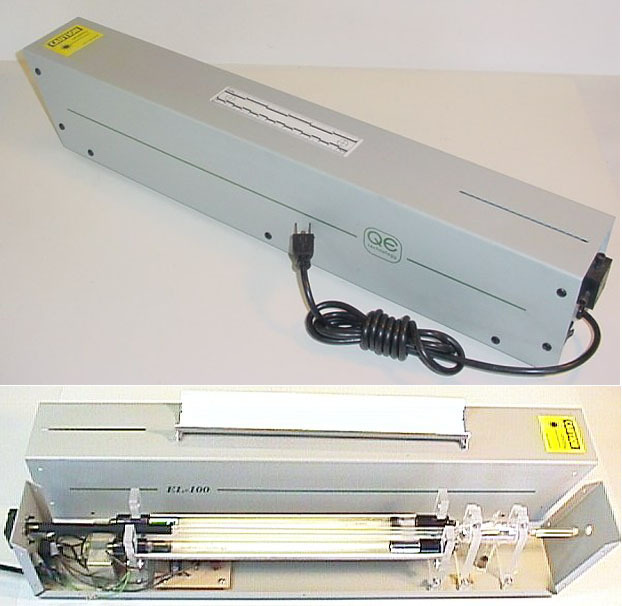 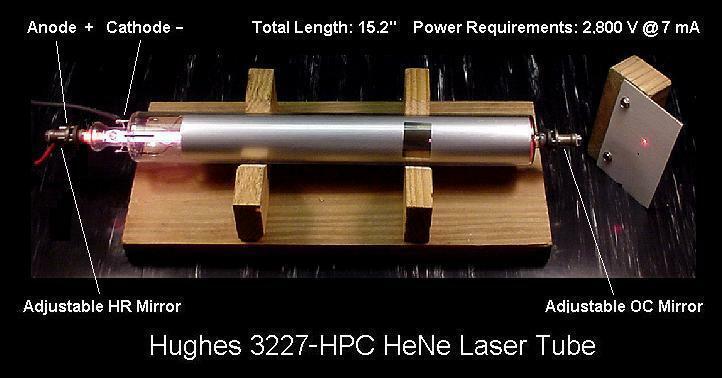 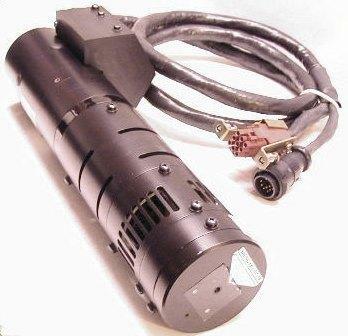 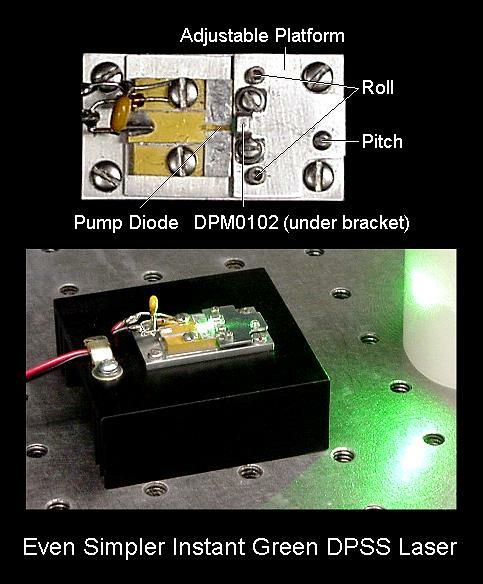 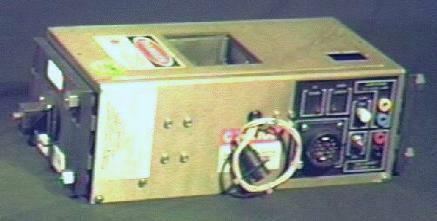 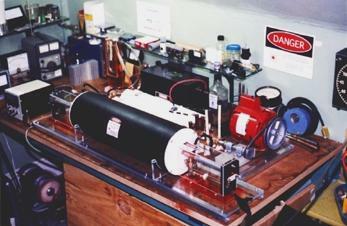 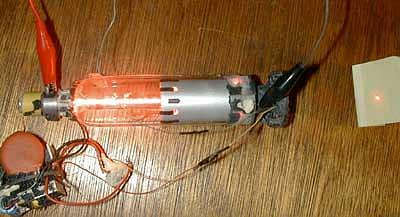 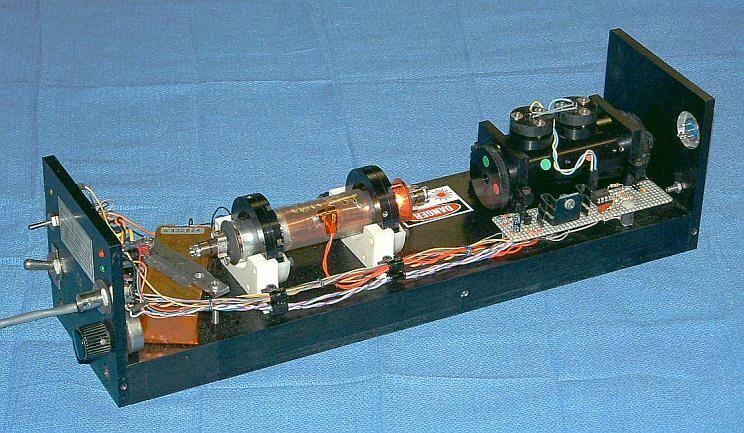 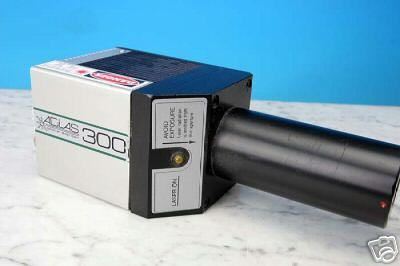 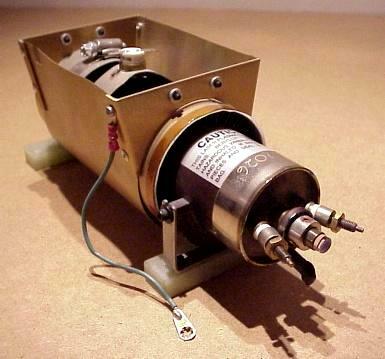 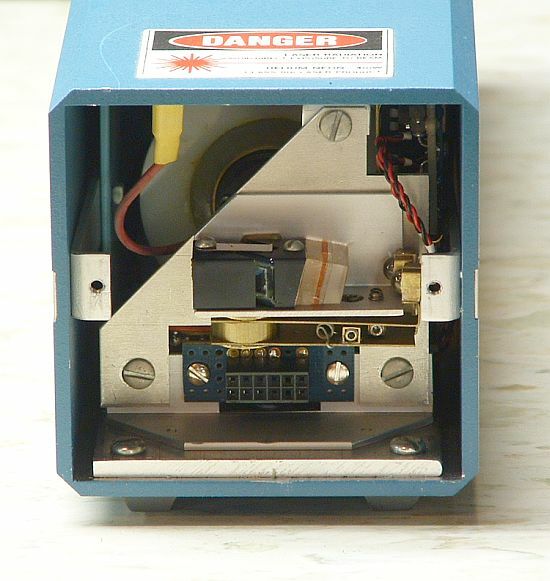 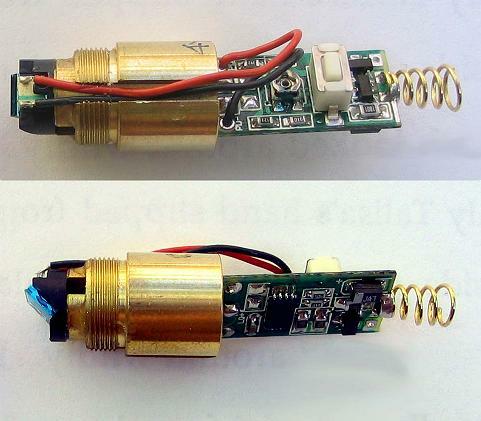 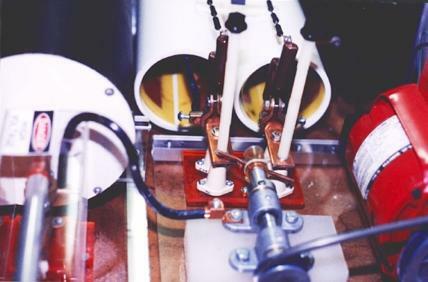 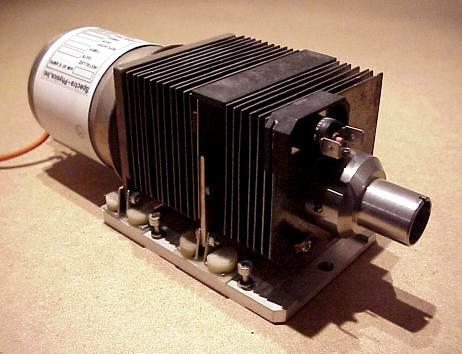 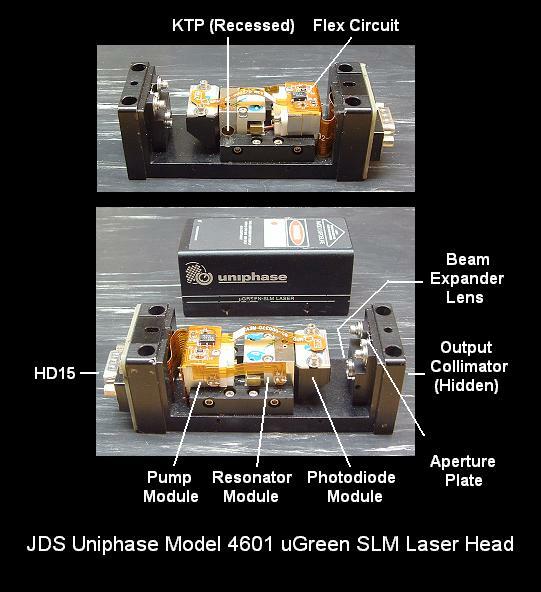 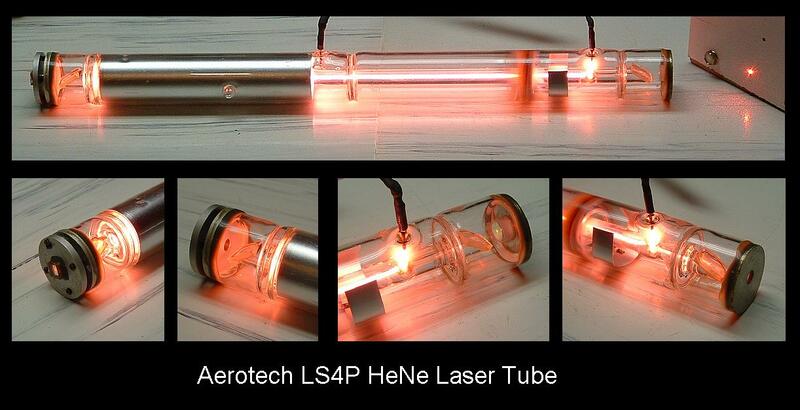 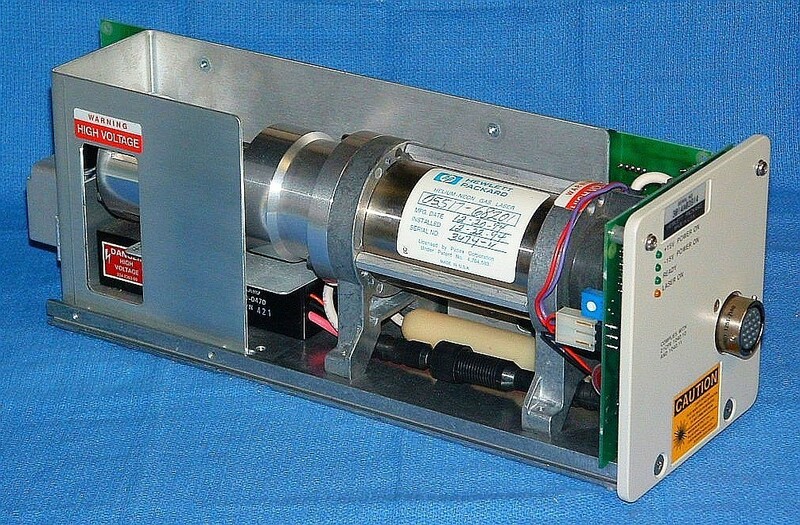 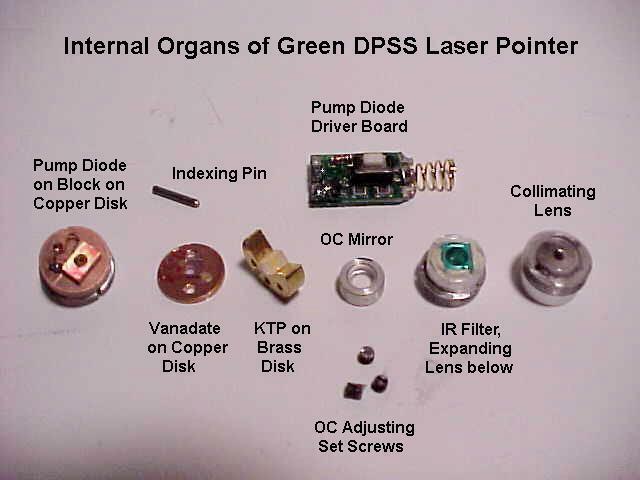 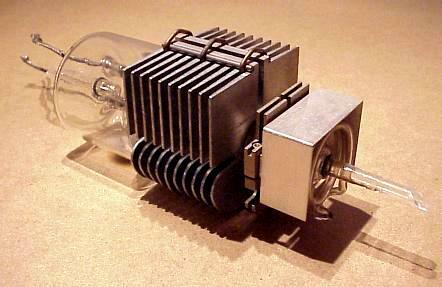 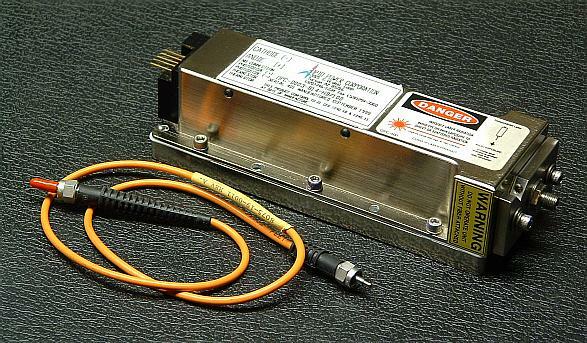 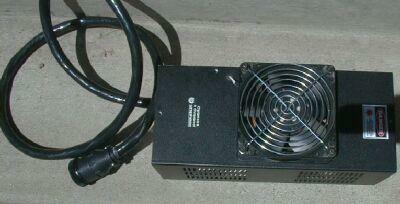 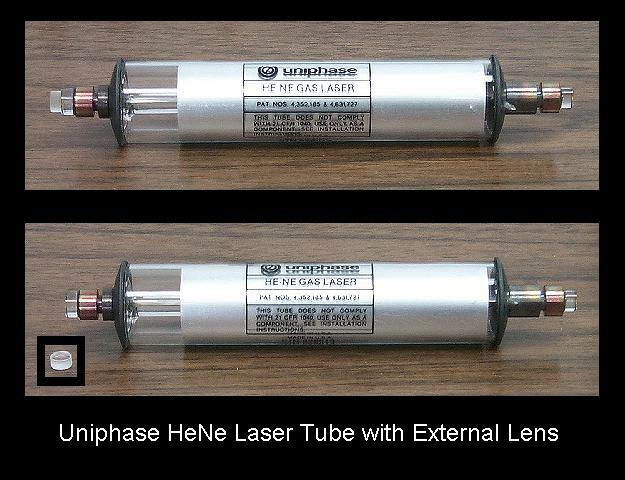 Tube Assembly Used in HP-5501B and HP-5517B/C/D Two-Frequency HeNe Lasers (5517b-t1.jpg). 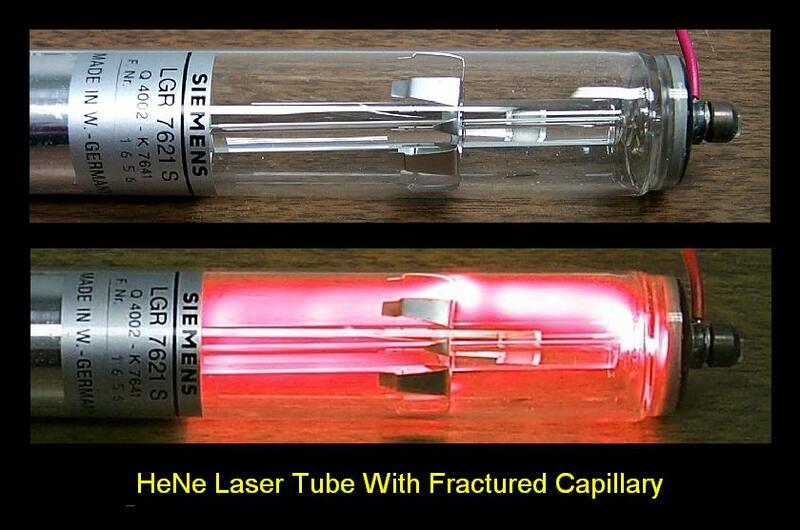 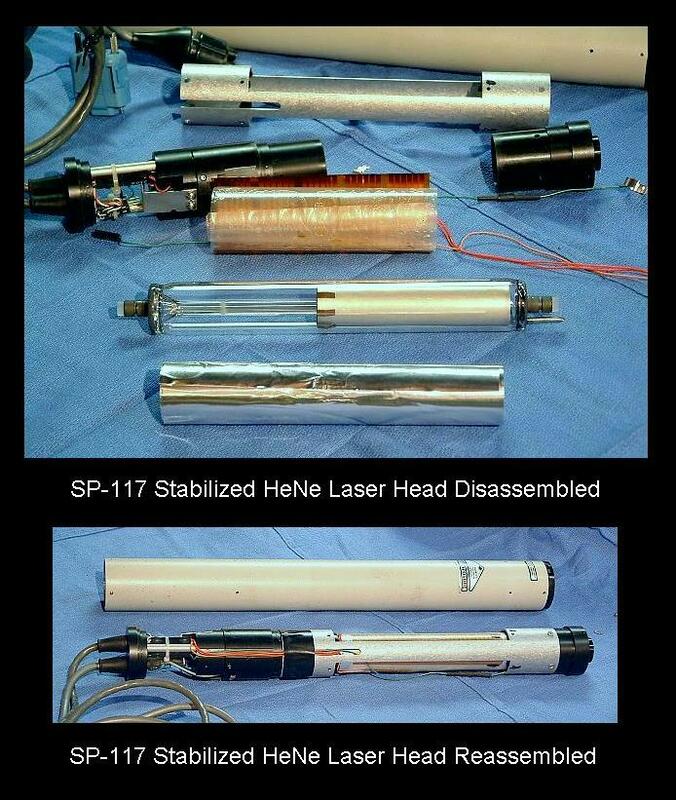 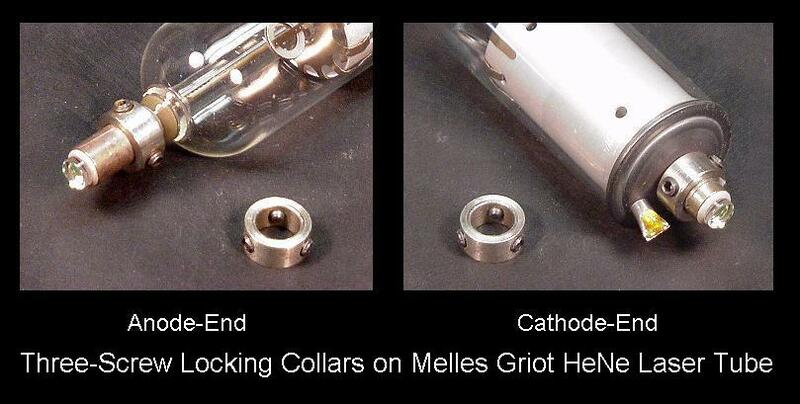 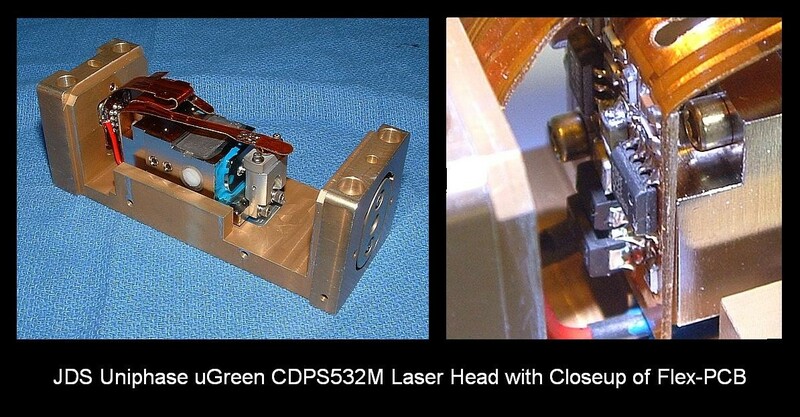 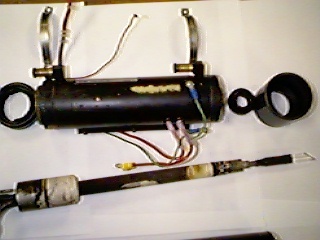 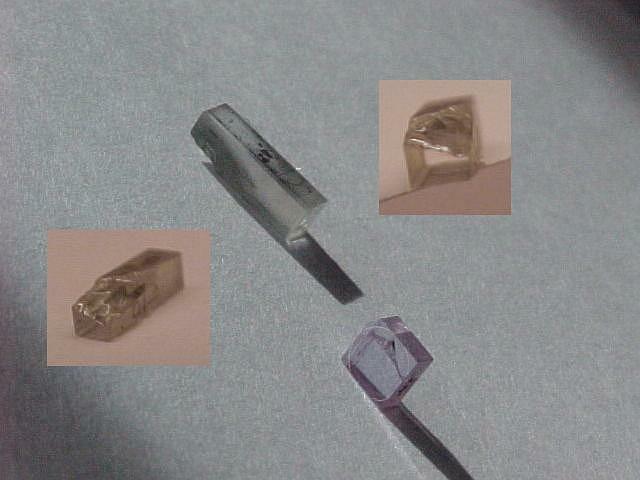 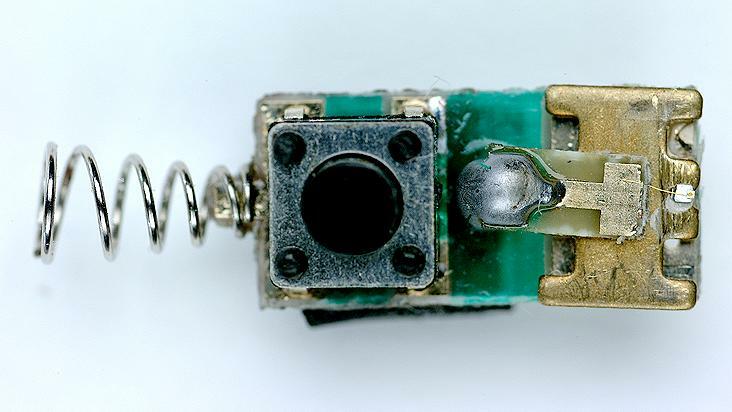 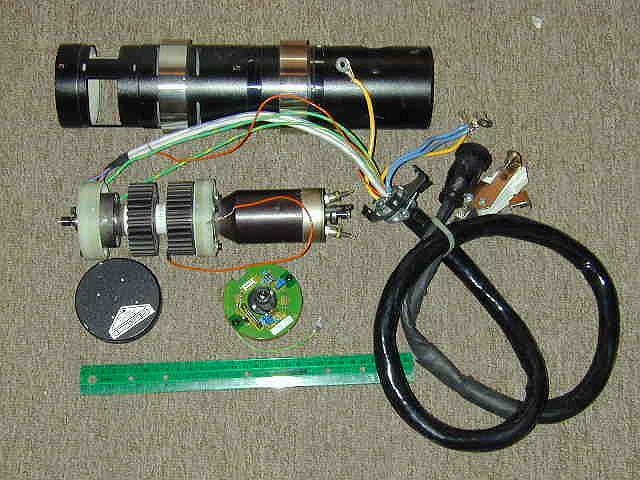 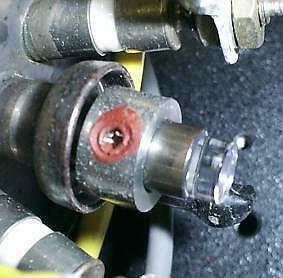 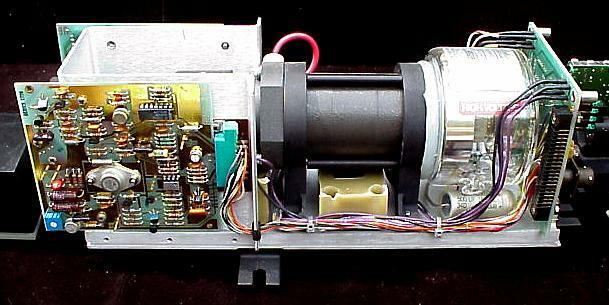 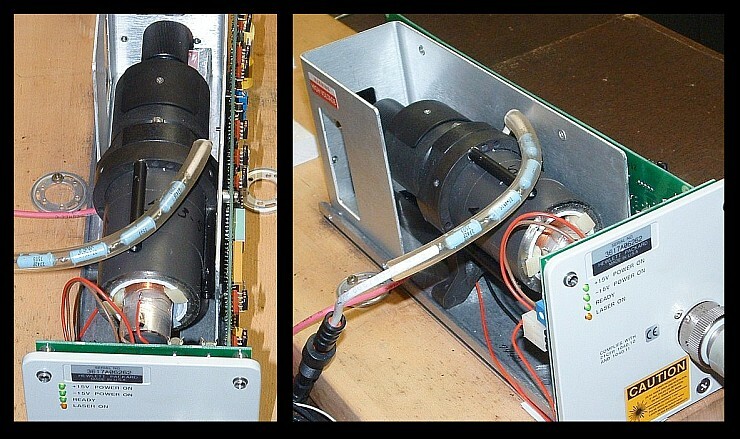 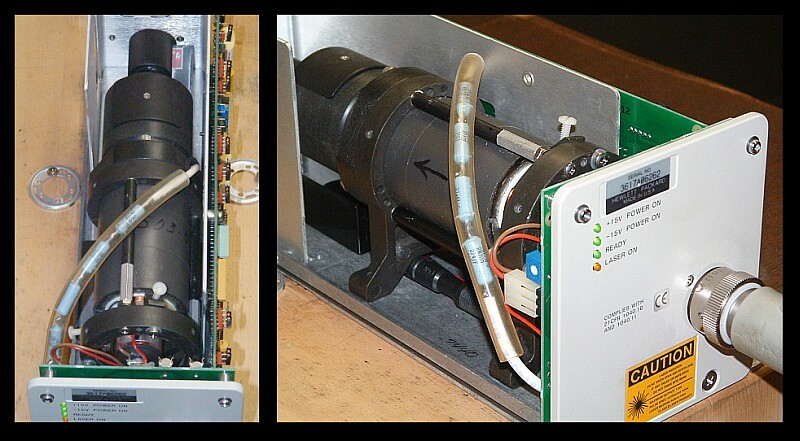 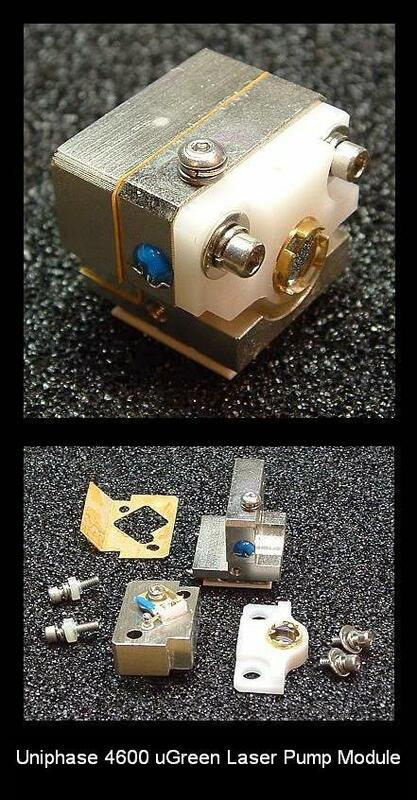 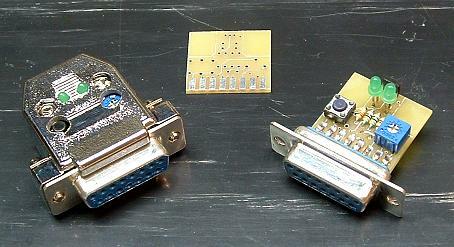 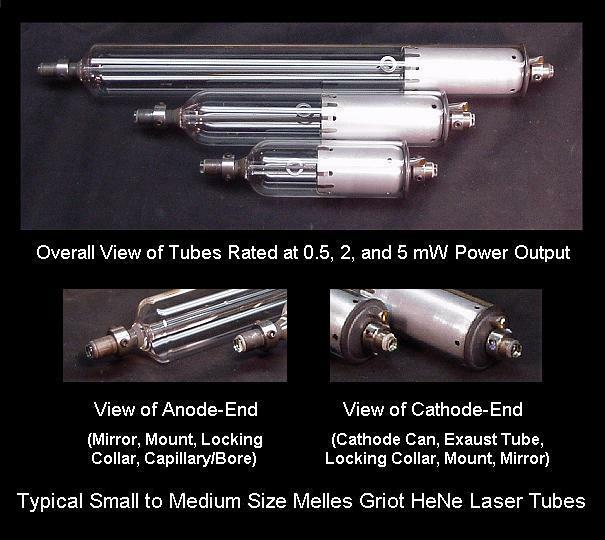 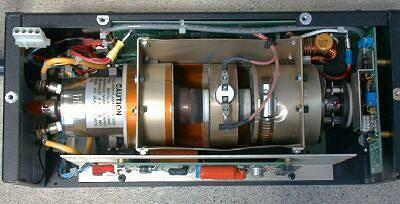 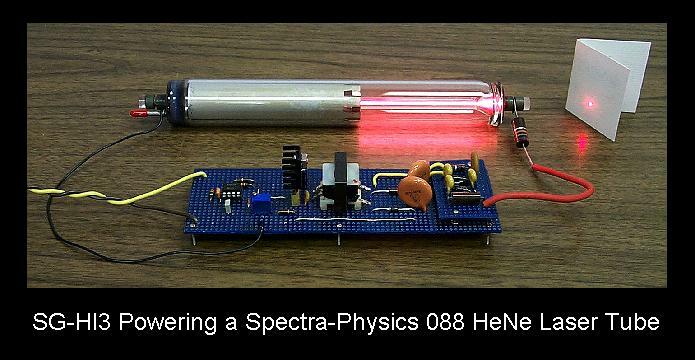 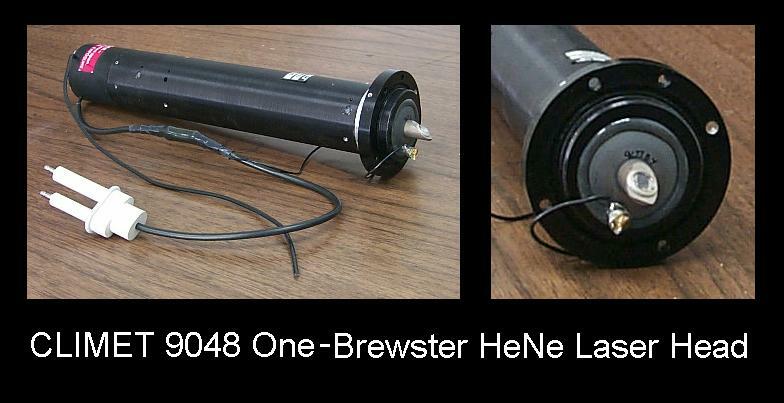 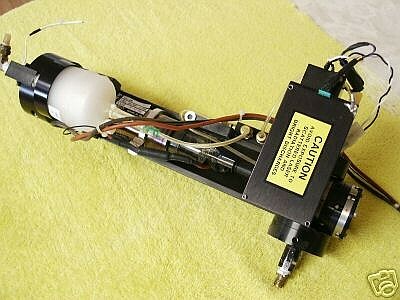 Hewlett Packard/Agilent5501B and 5517B/C/D HeNe Laser Tube Removed from Magnet/Optics Assembly (hp5517g1.jpg). 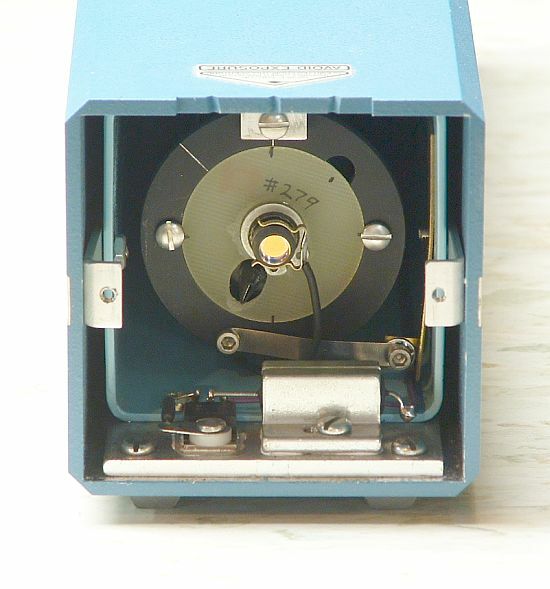 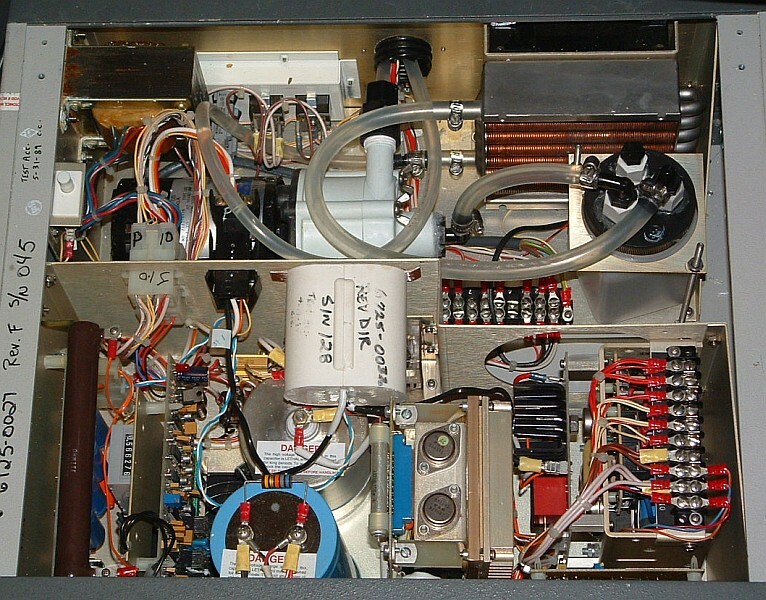 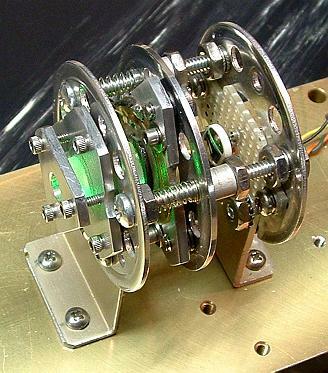 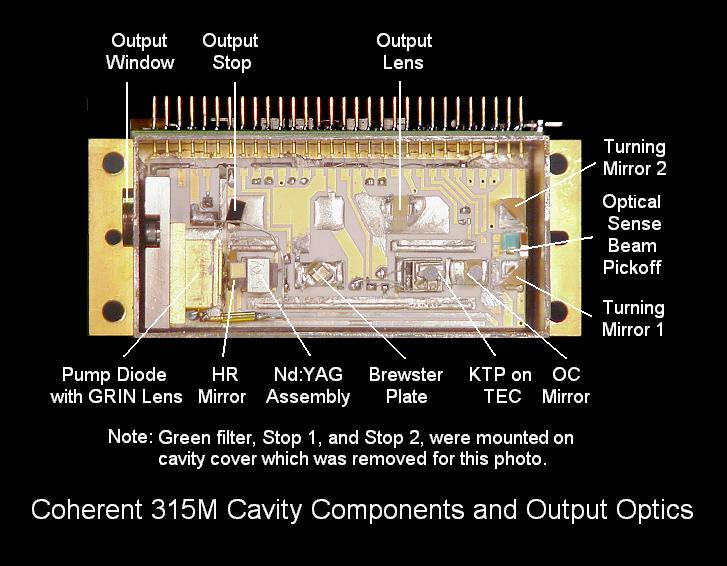 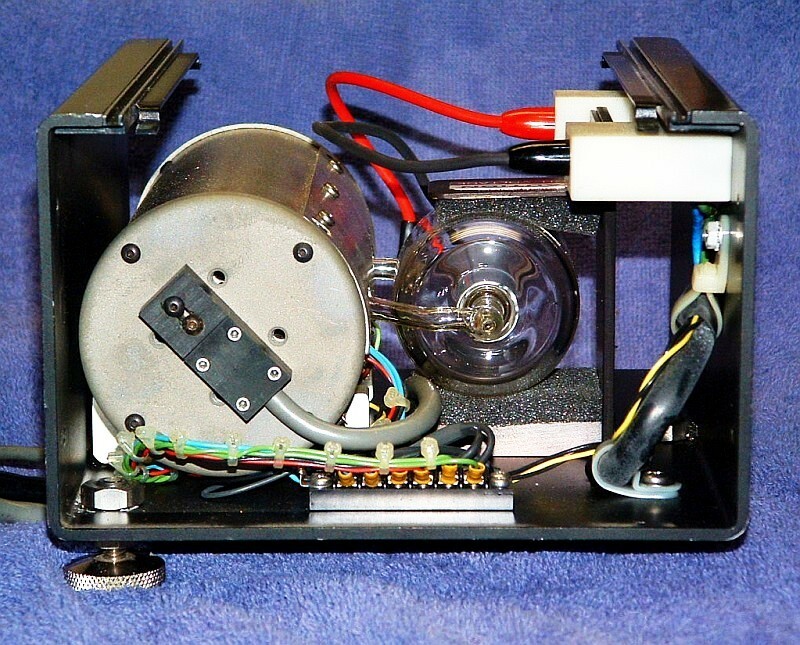 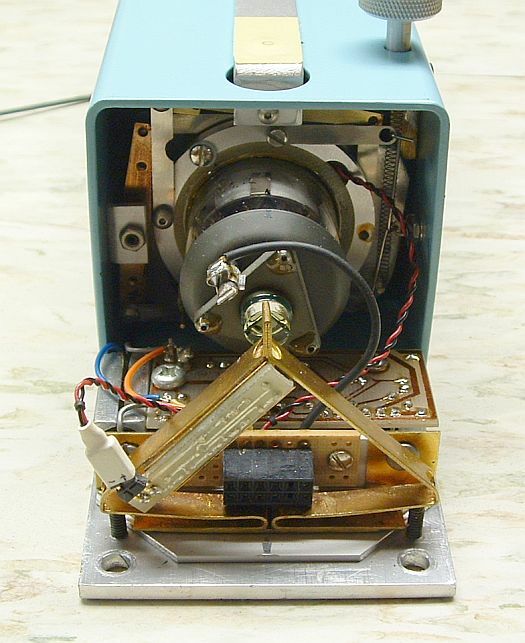 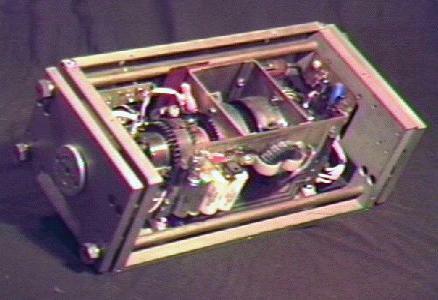 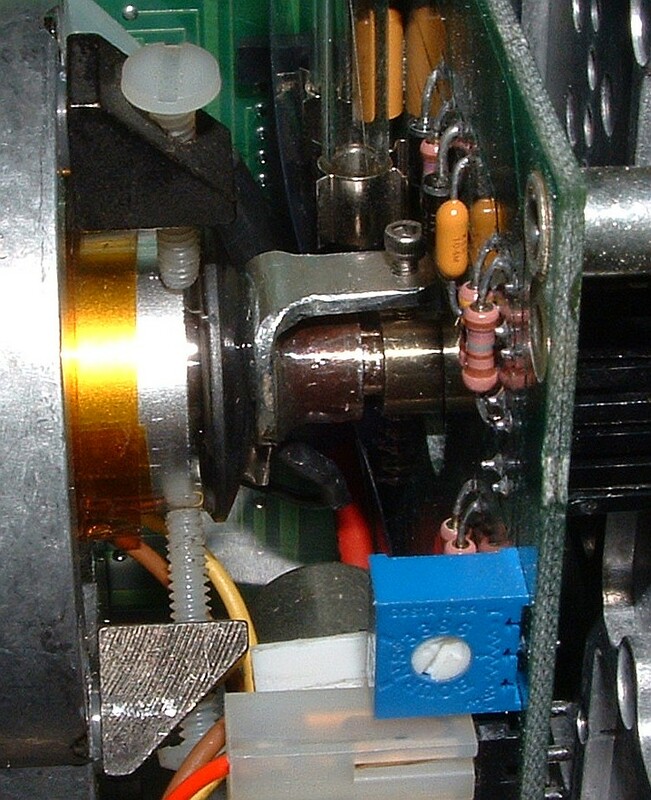 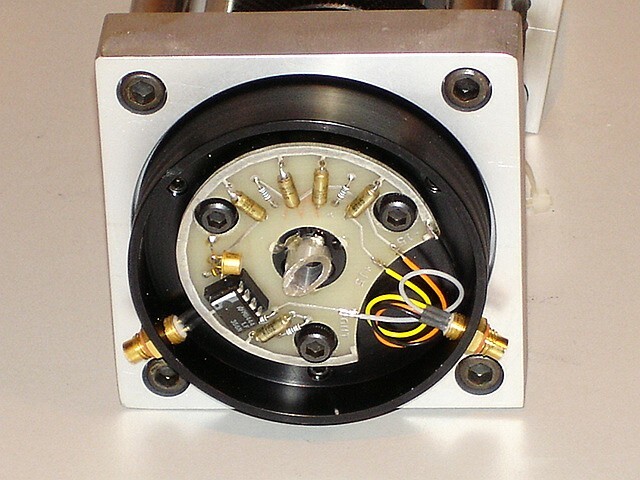 Interior of Coherent Compass 532-400 Laser Cavity (c532cav4.jpg). 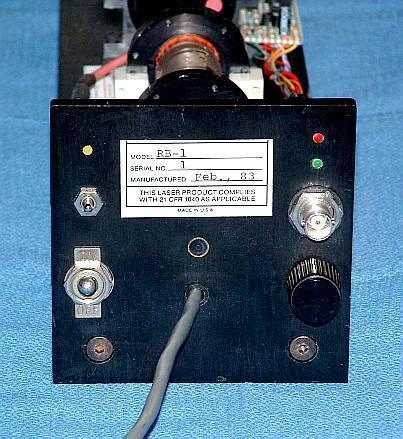 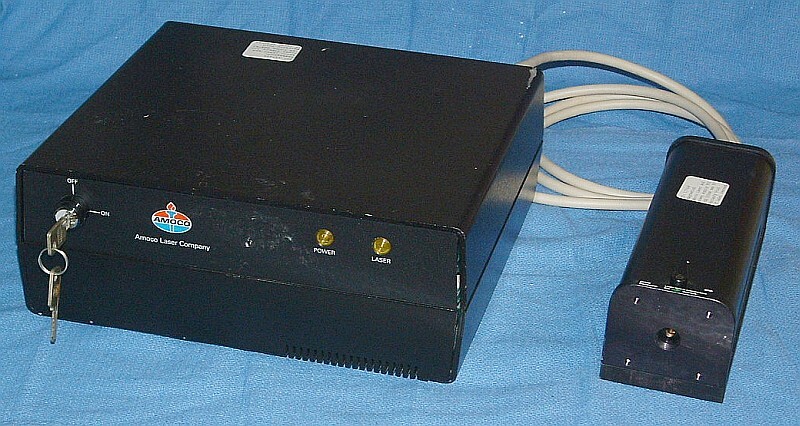 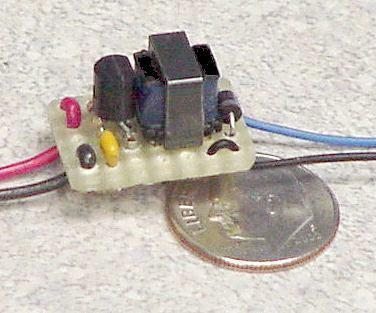 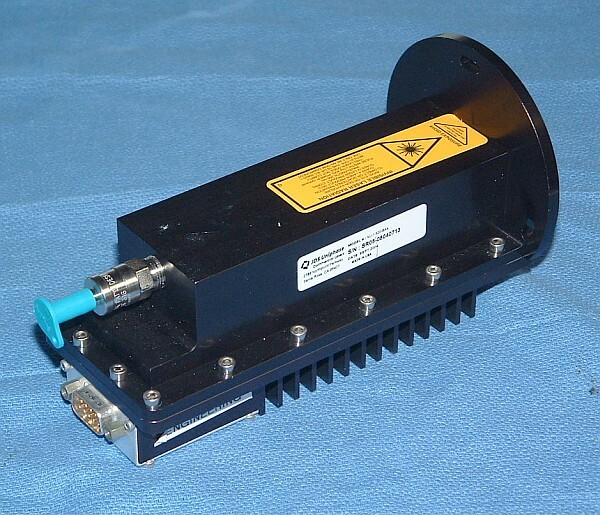 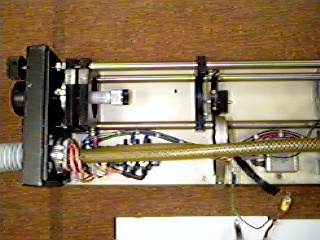 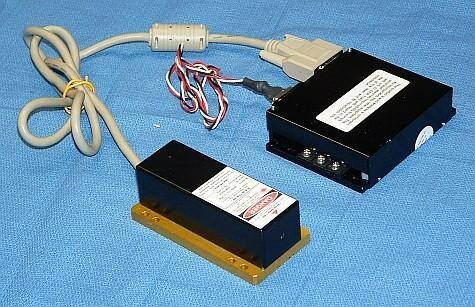 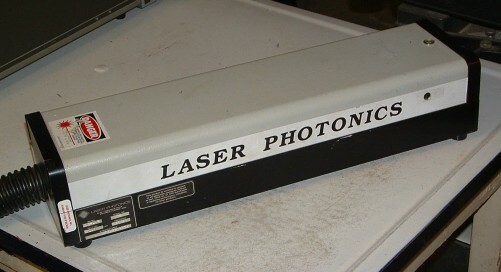 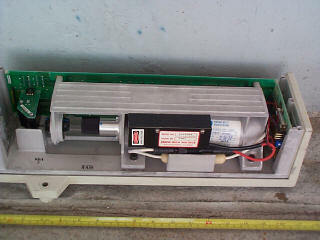 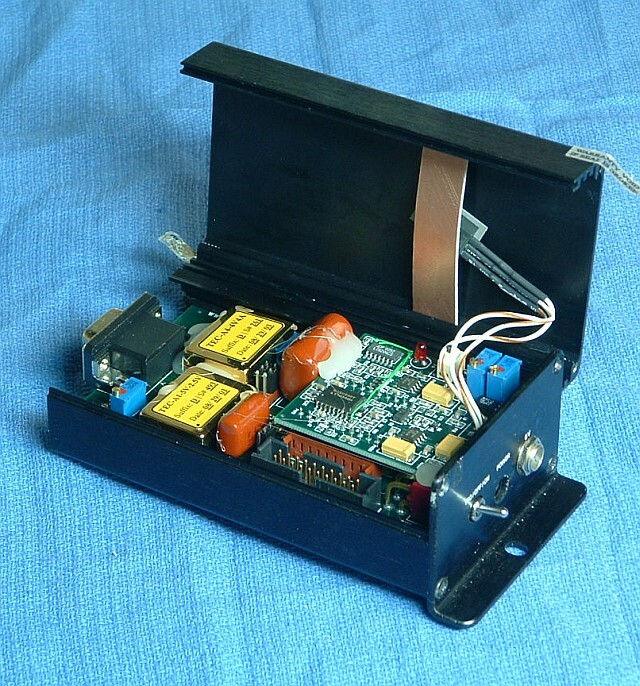 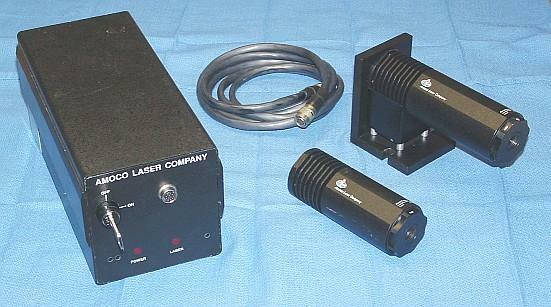 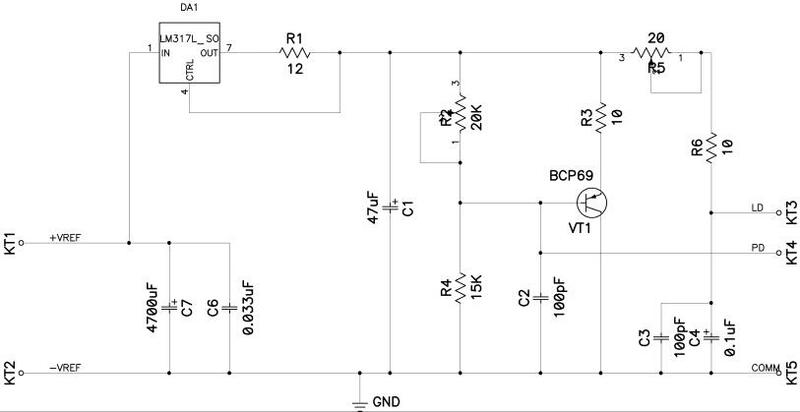 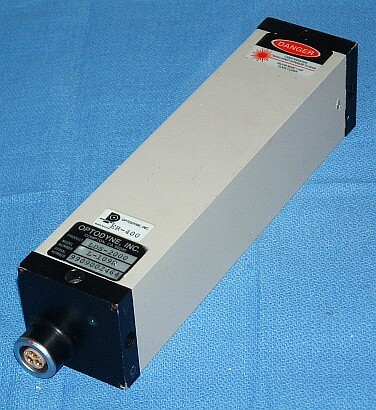 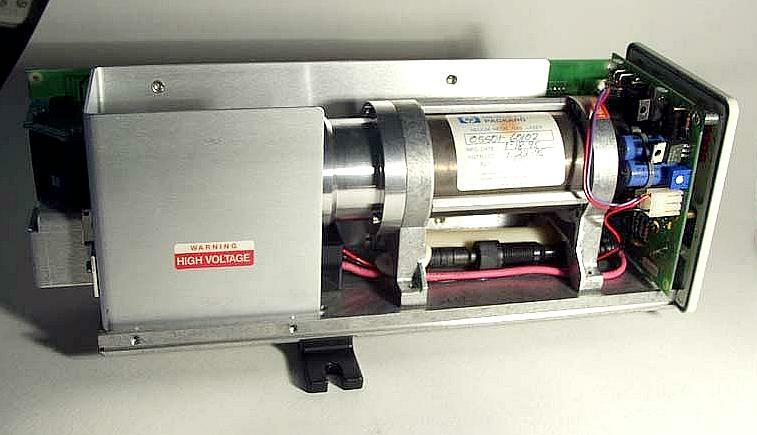 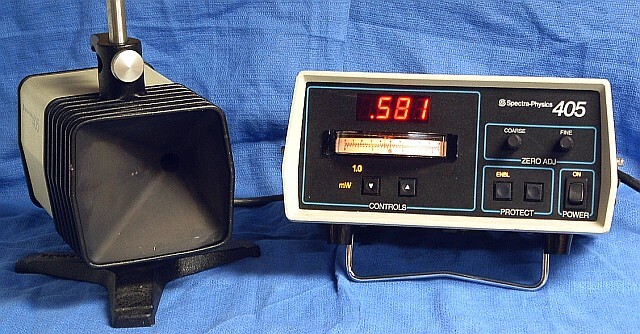 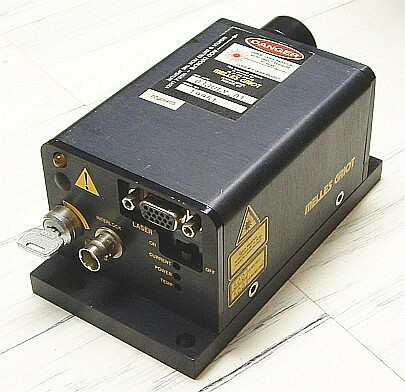 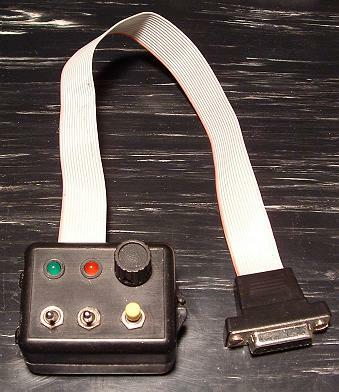 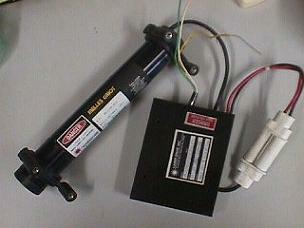 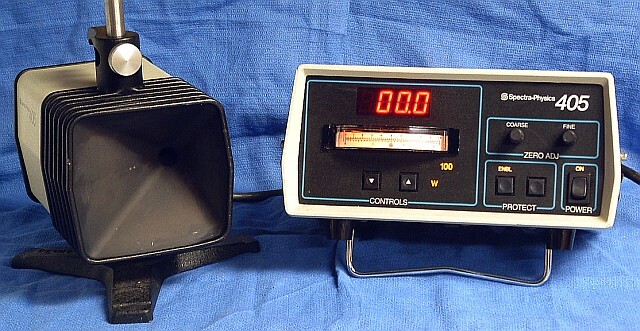 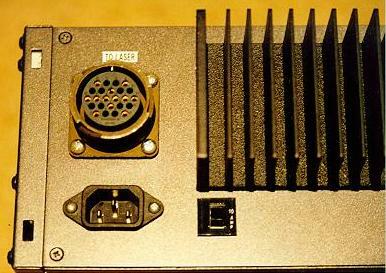 B&W Tek 532-10-OEM DPSS Laser Controller (bwtekcb1.jpg).